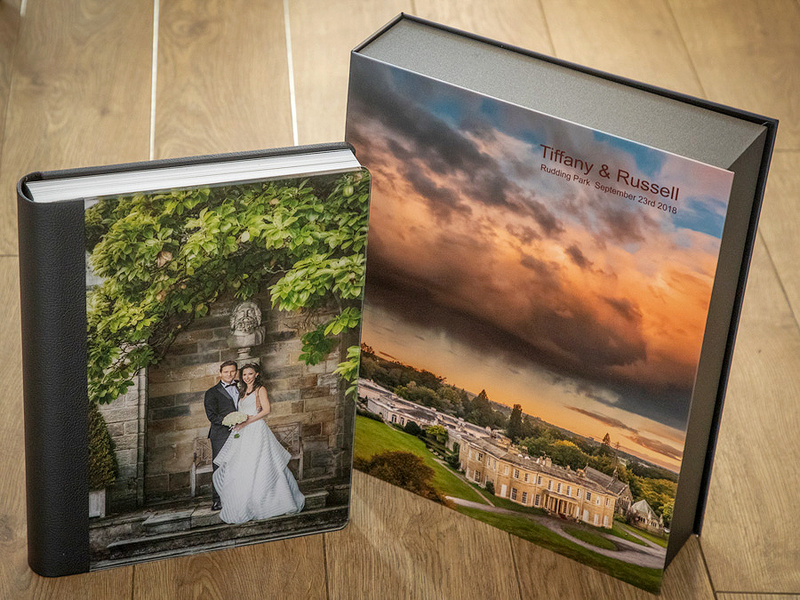 Another arrival to the office this week was Tiffany and Russell’s Exclusive Storybook Wedding Album featuring their wedding photographs from their wedding day at Rudding Park near Harrogate. 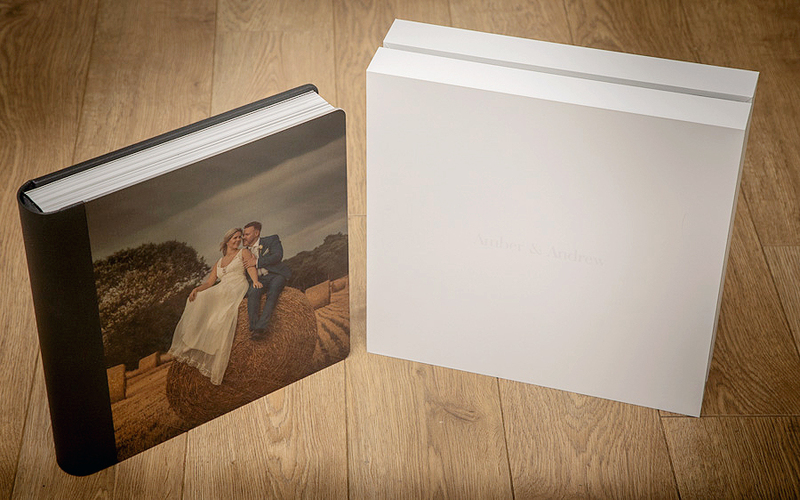 The exclusive portrait album measures 25x35cm and features a leather and acrylic cover, the high gloss acrylic creating a glass like feel to the cover. 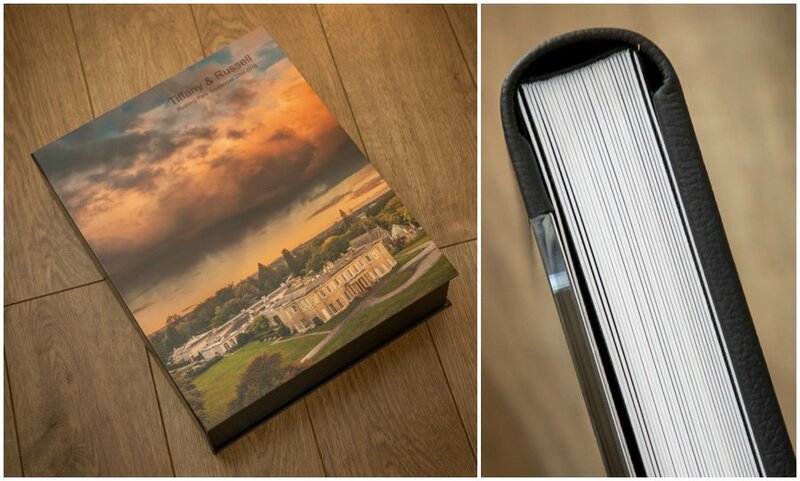 The album is boxed in one of the beautiful maggot laminated Art Boxes and features a drone photograph taken at sunset of Rudding Park. 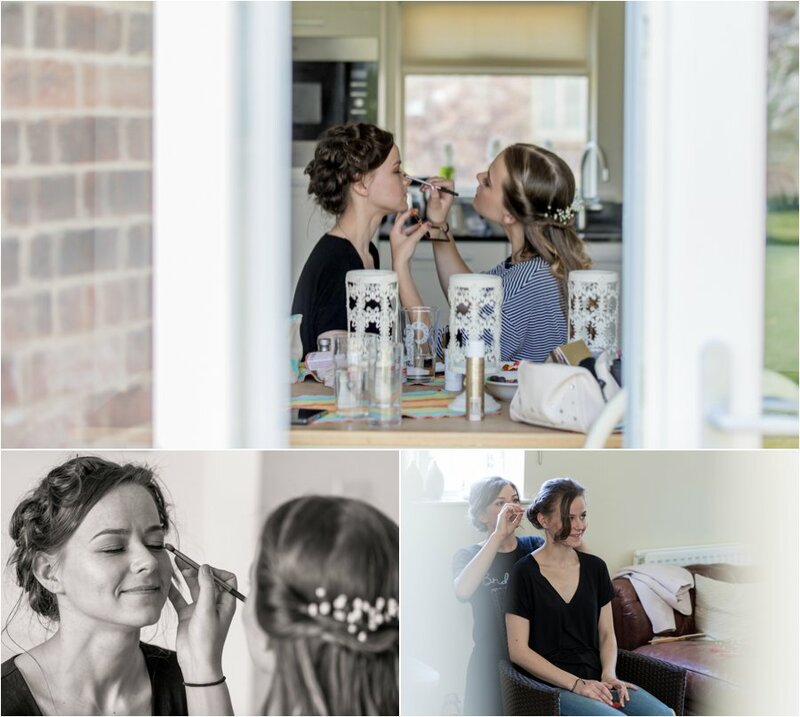 Inside the 60 pages of the wedding album include almost 120 wedding photographs from the bridal preparations to evening celebrations. 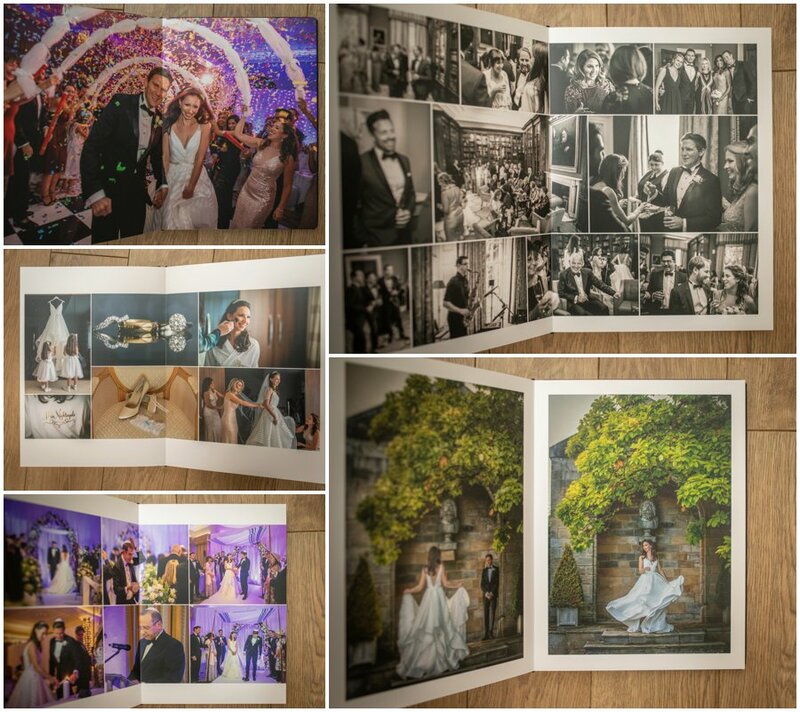 Each image printed on deep gloss metallic paper with matt lamination. 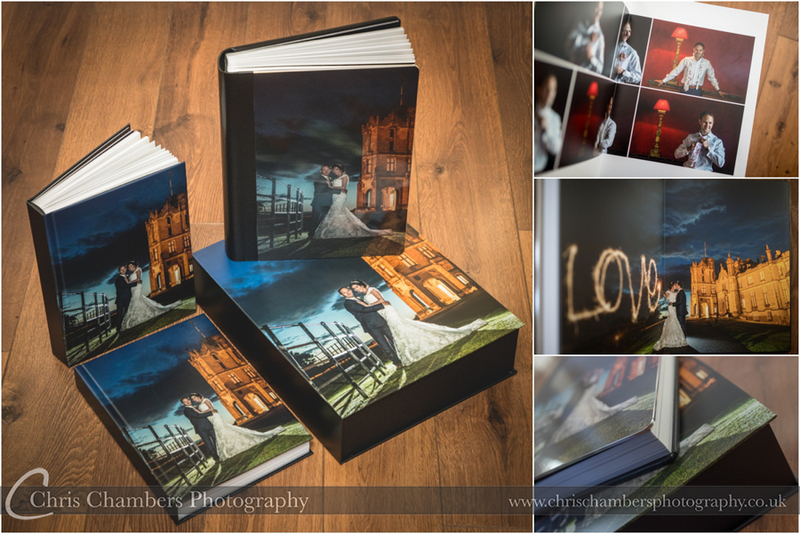 To view more of our storybook range and other wedding albums we have available contact me to arrange a meeting. 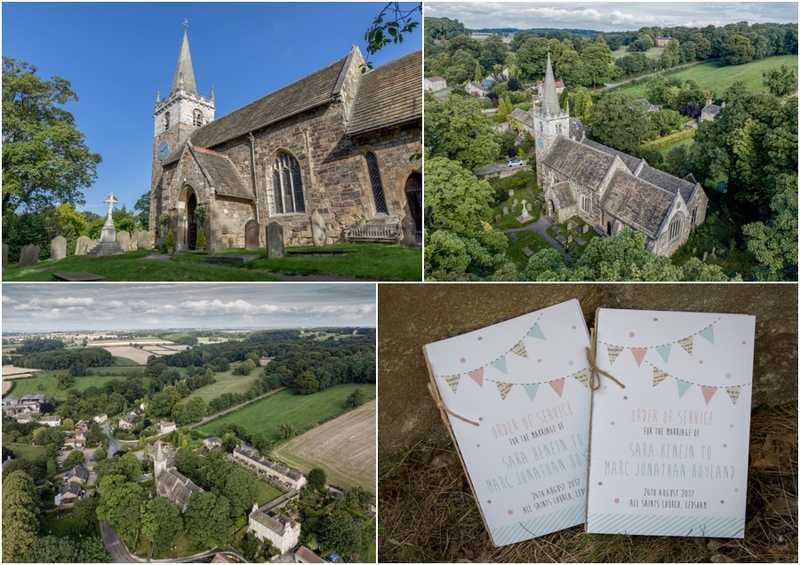 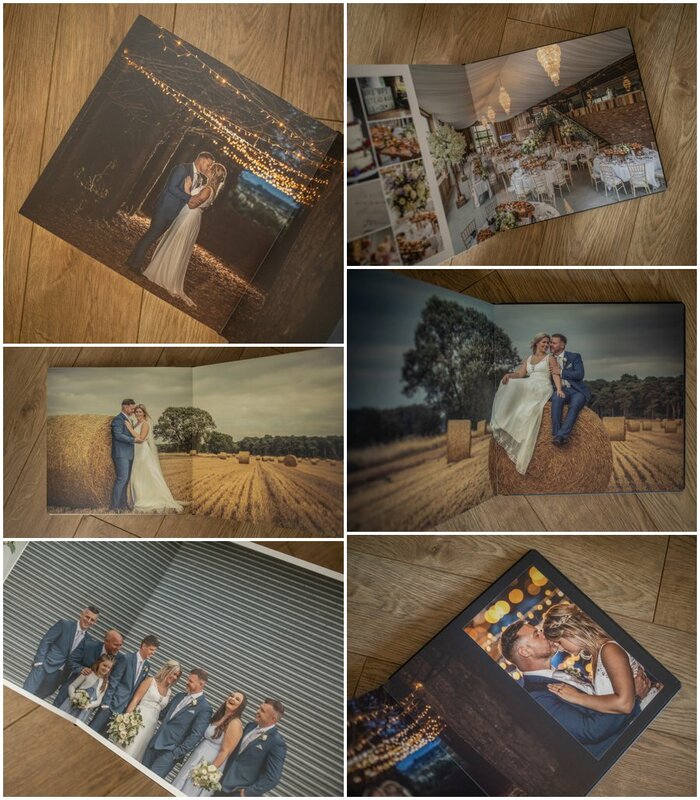 Arriving at the office this week was this stunning 30x30cm Exclusive Storybook wedding album featuring Amber and Andrew’s wedding at Bunnyhill Farm in East Yorkshire. 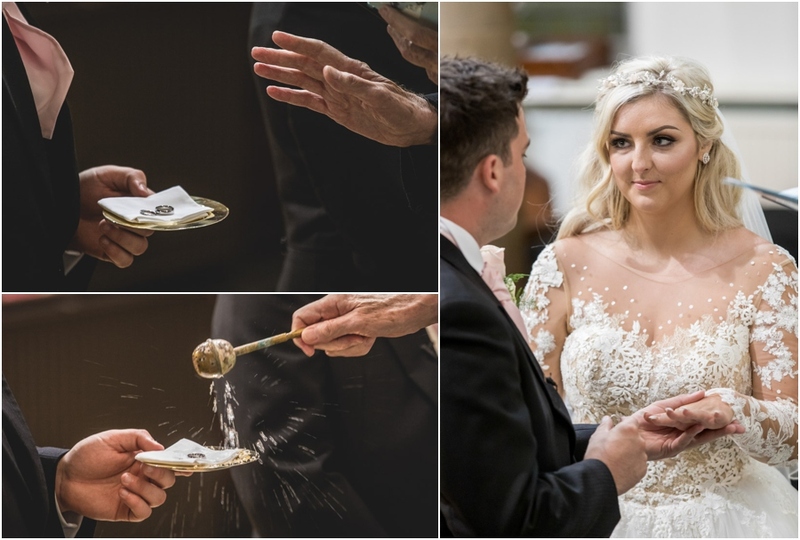 The Italian made wedding photo album features a metal cover with the cover photograph printed direct onto the stainless steel. 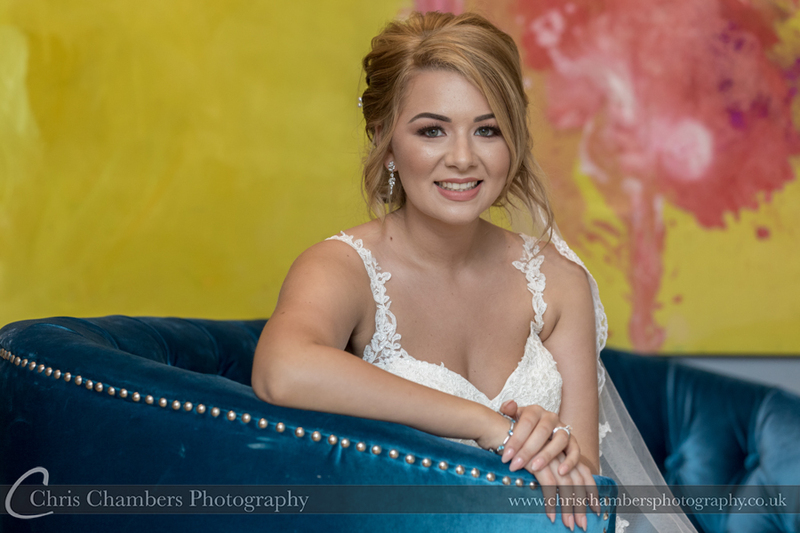 Full page and double page spread images along with mixed image spreads tell the story of Amber and Andrew’s Bunnyhill Farm wedding and will provide a stunning memento of their wedding day. 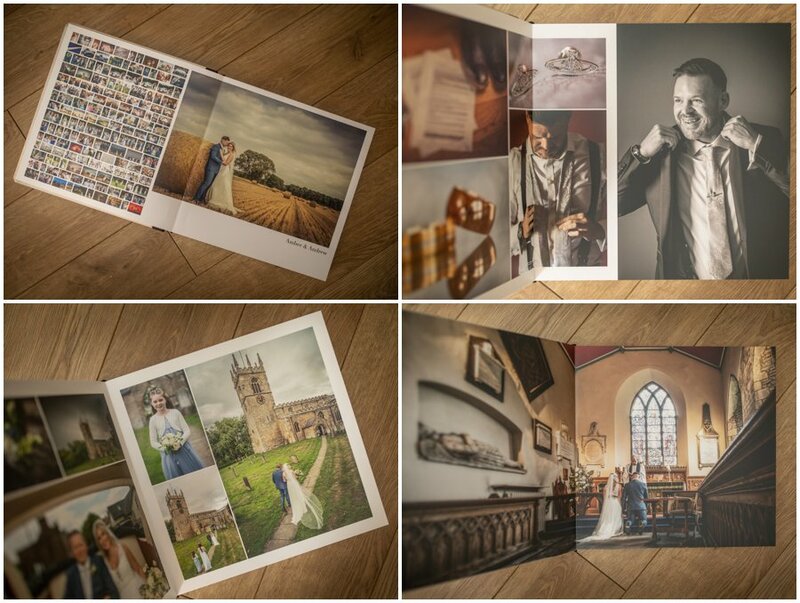 Each page is printed on a deep gloss metallic paper with a soft touch lamination. 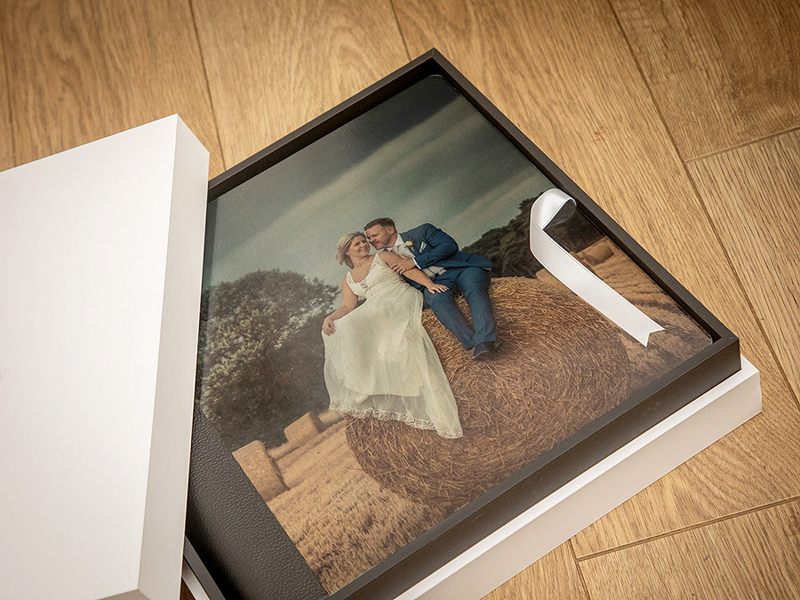 The album was presented in a soft touch white wooden box with contrasting black inside. 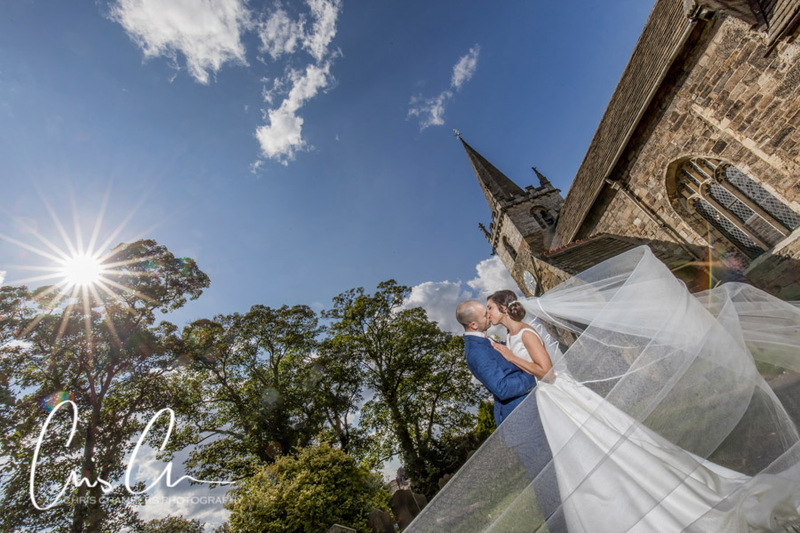 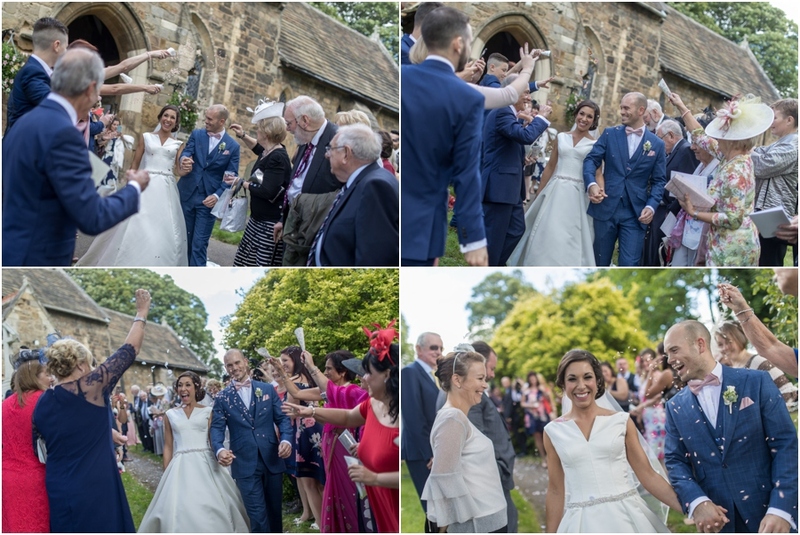 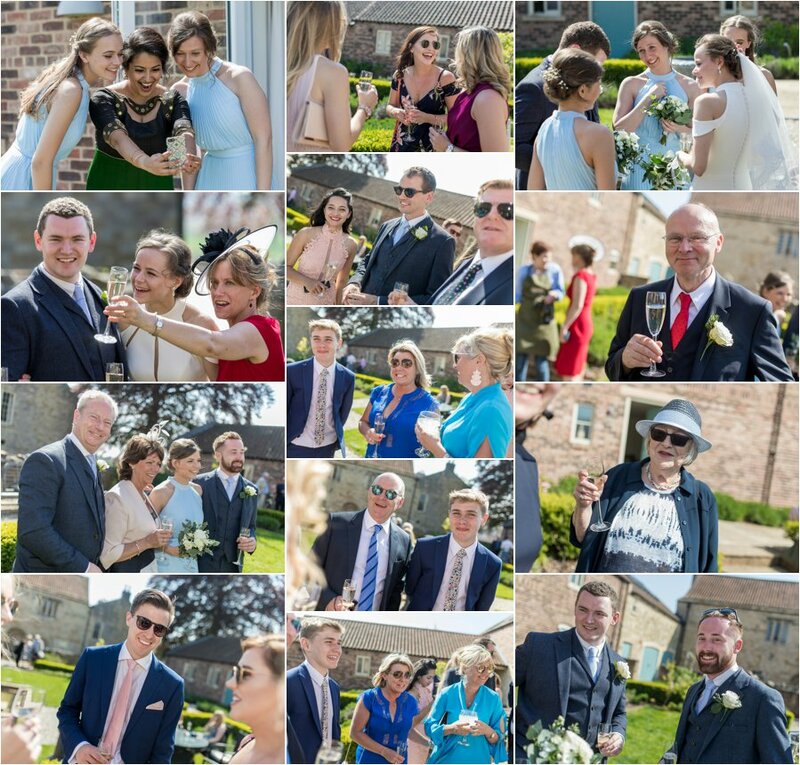 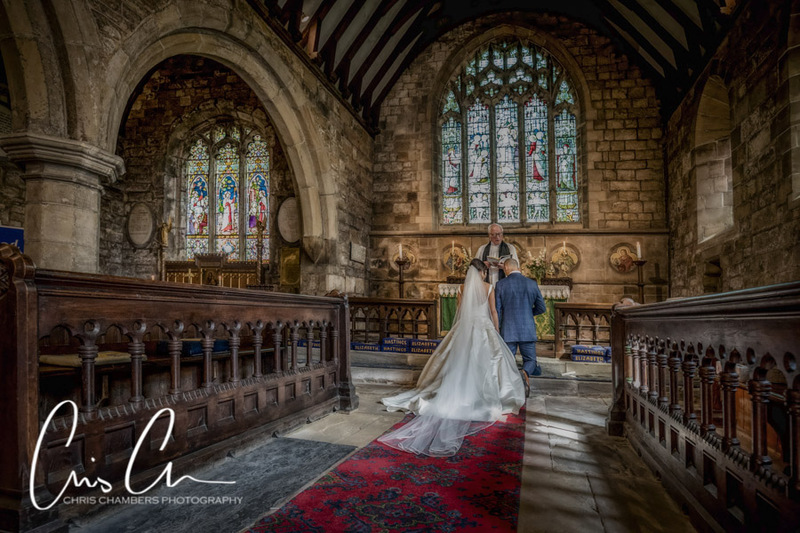 A new wedding venue for us was Priory Cottages near Wetherby, although there have been plenty of wedding photography enquiries for the priory Cottages, this was the first time we were actually available. 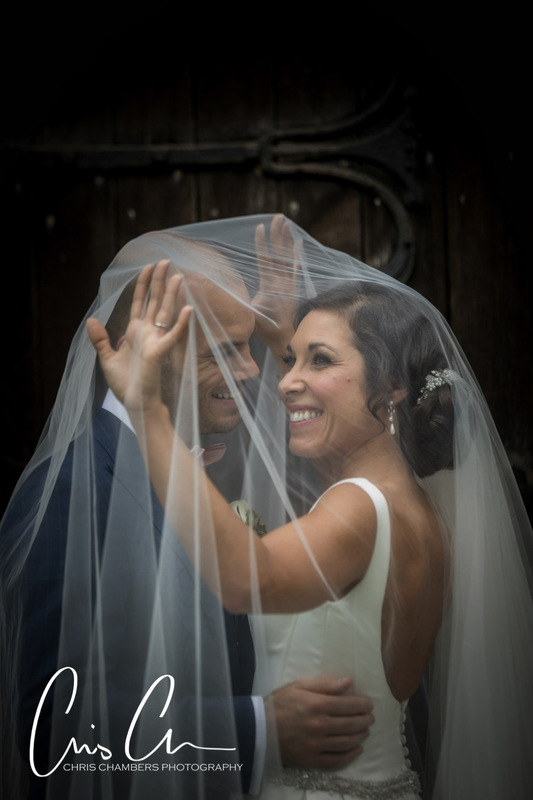 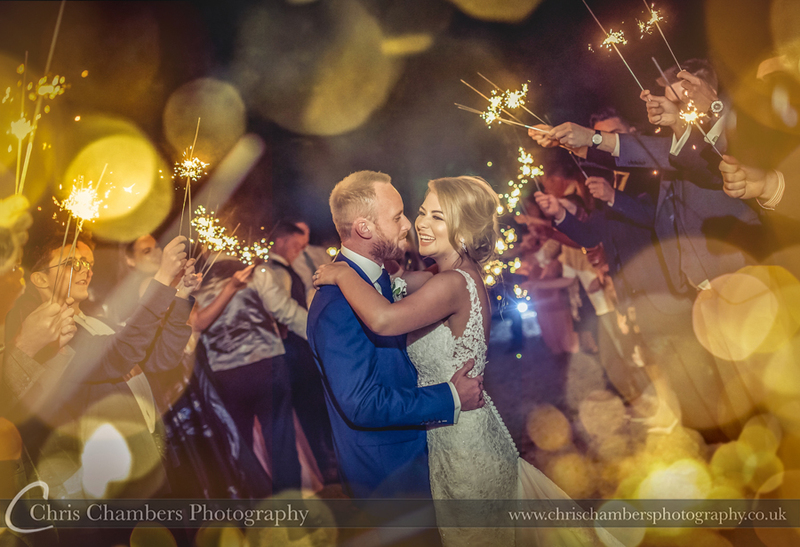 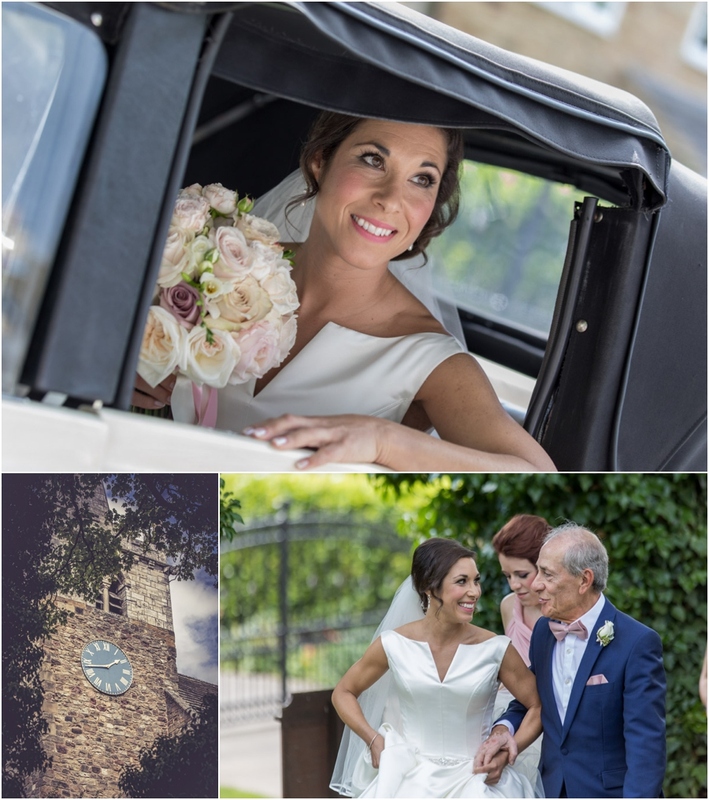 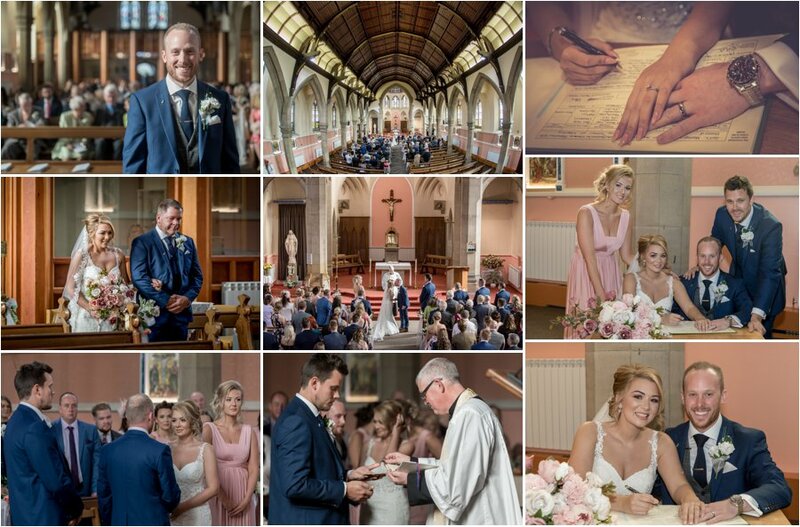 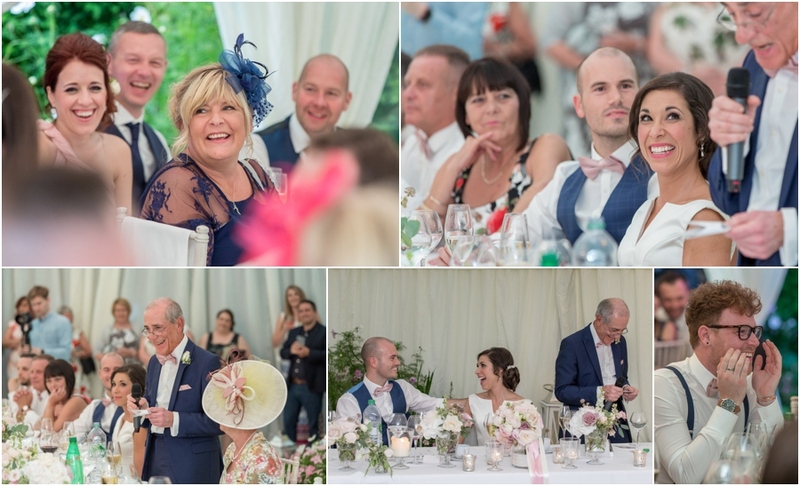 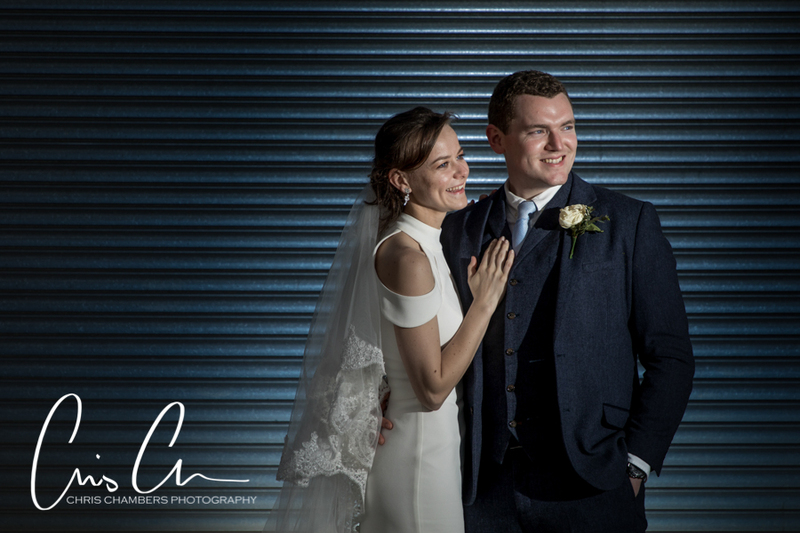 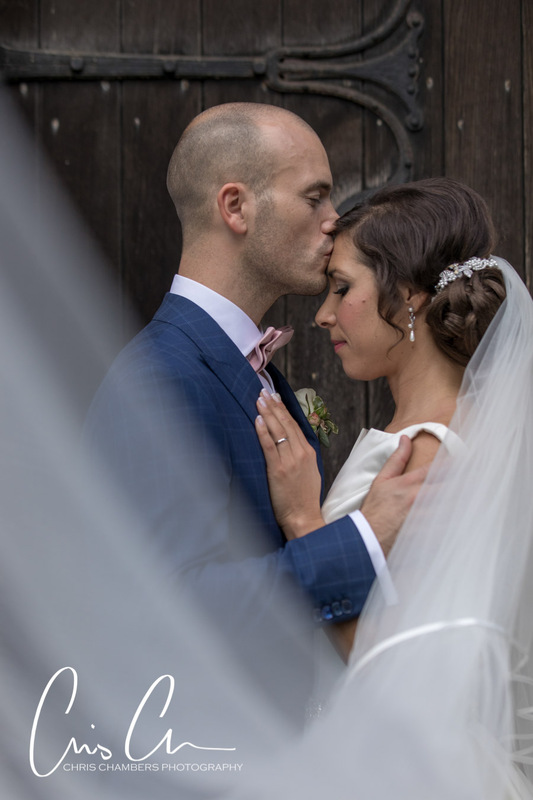 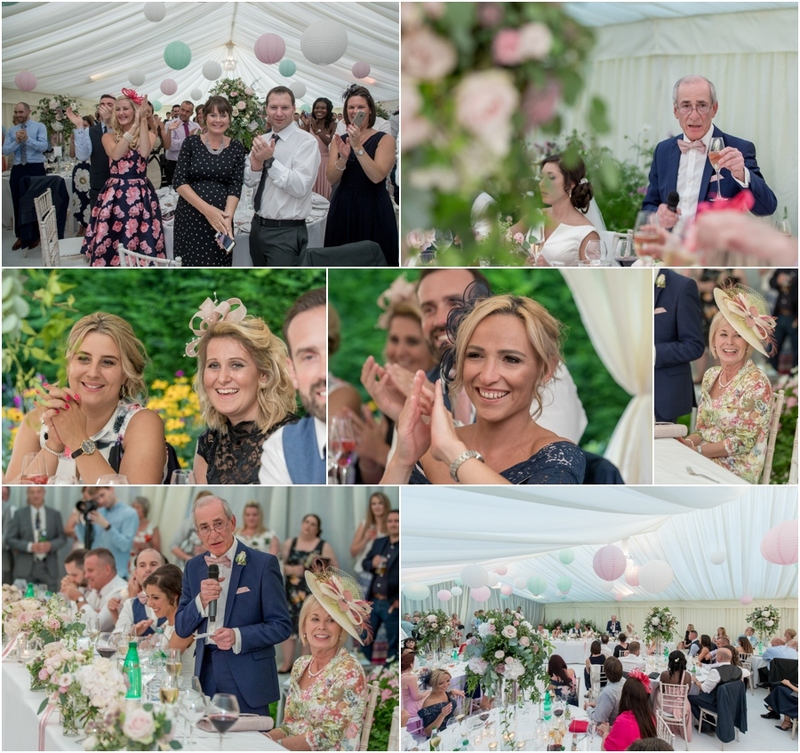 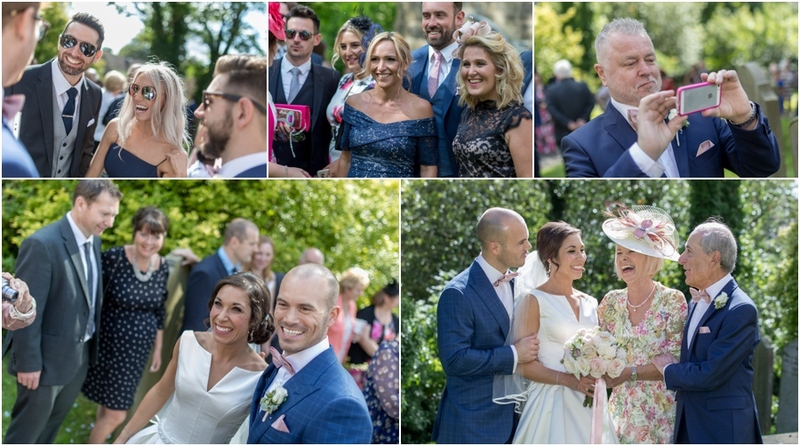 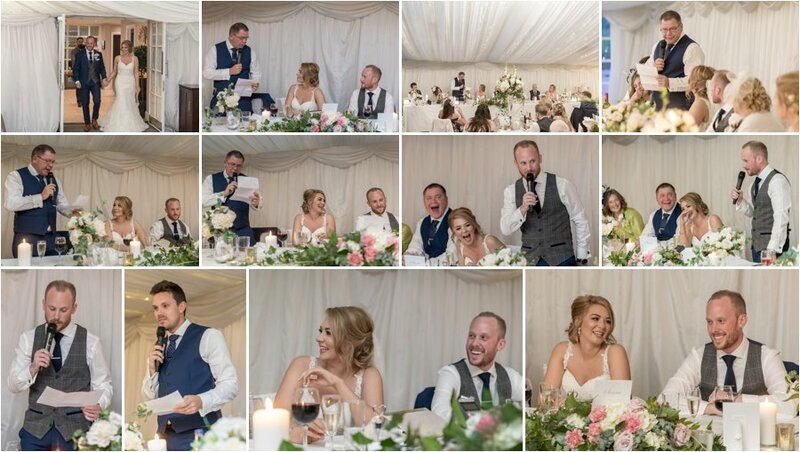 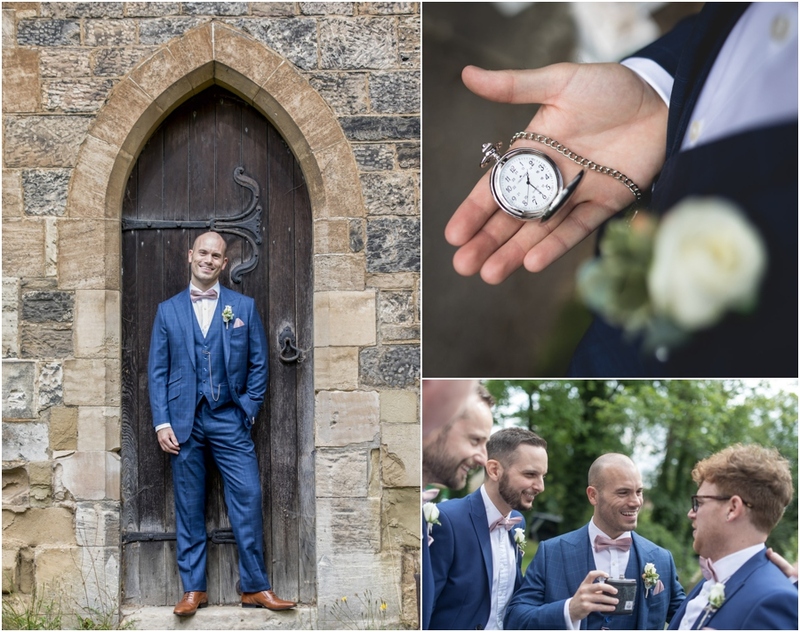 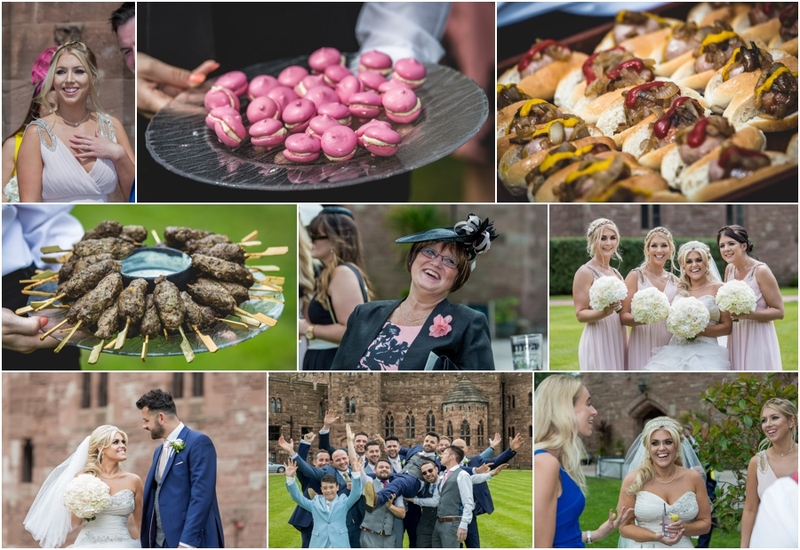 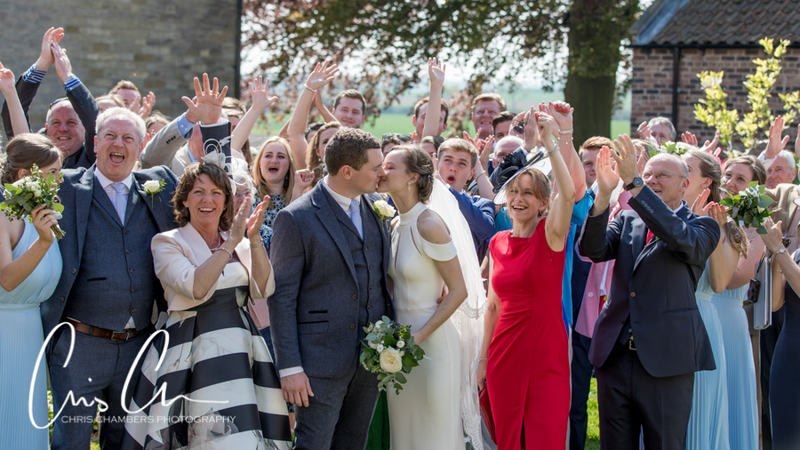 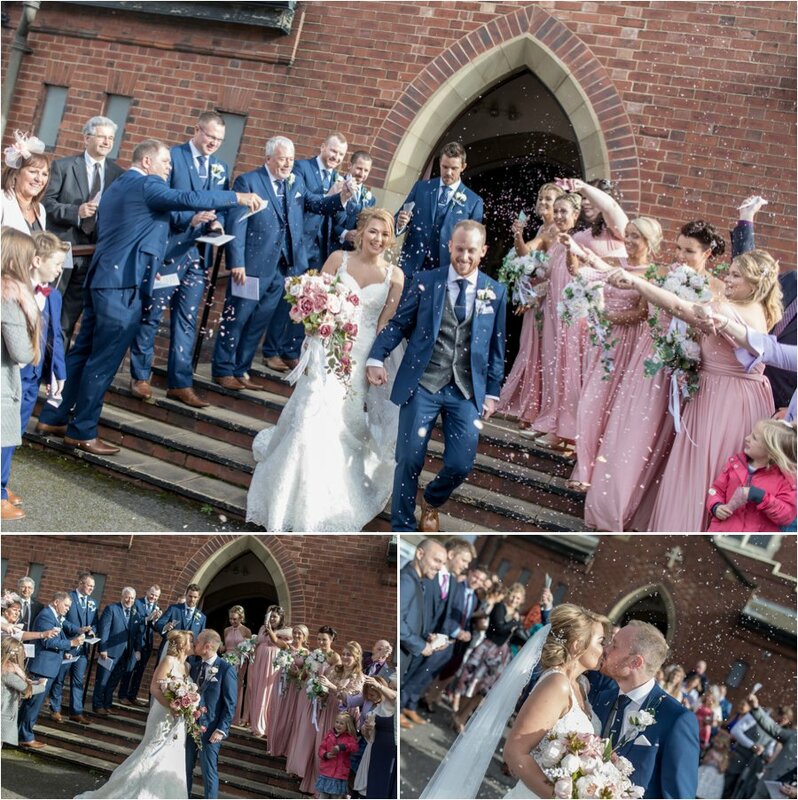 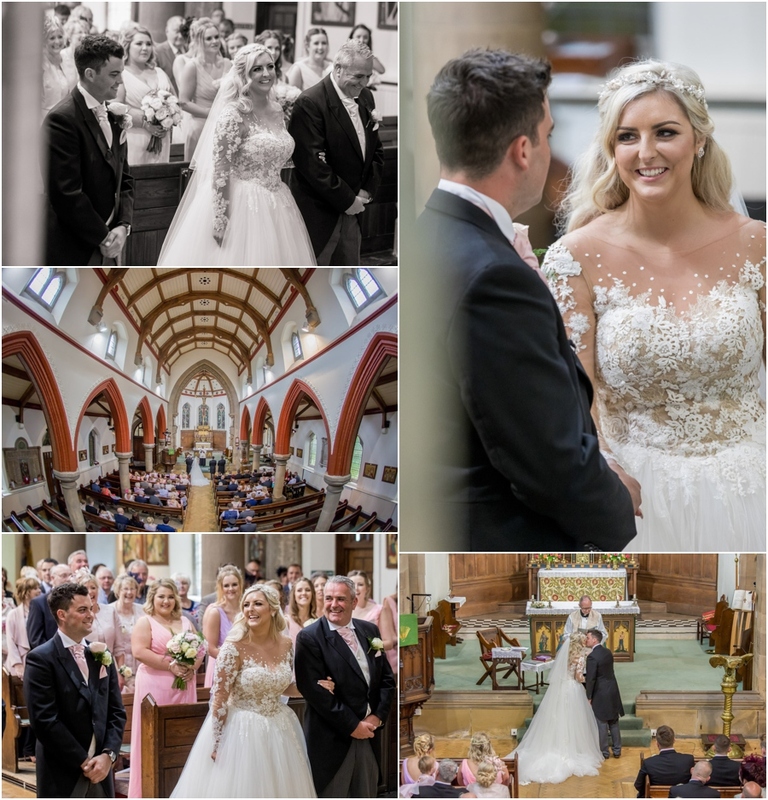 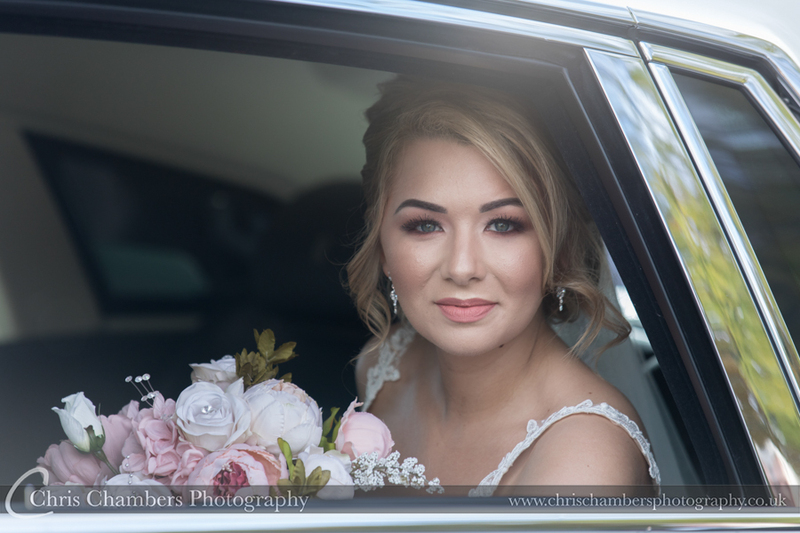 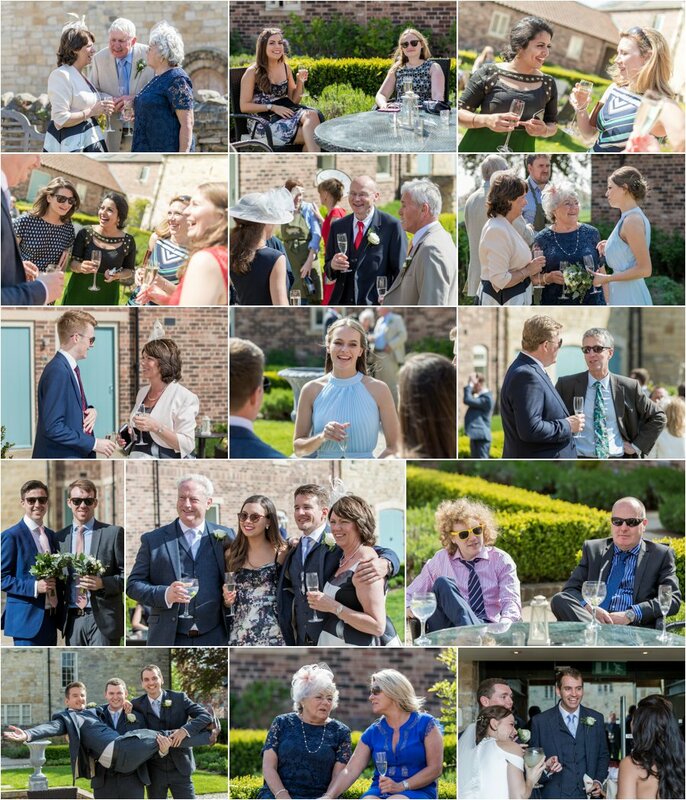 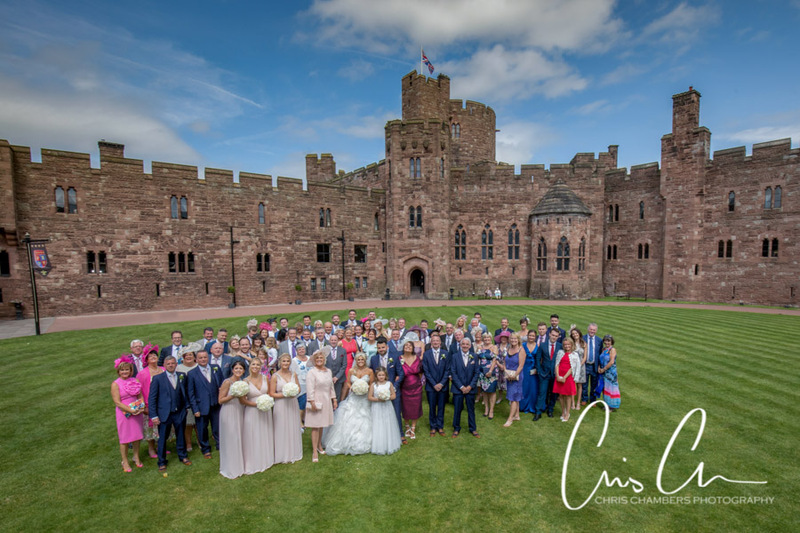 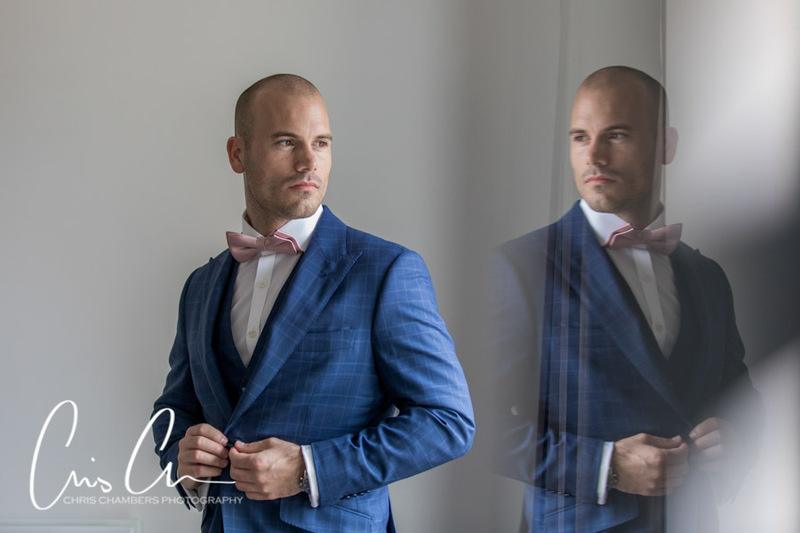 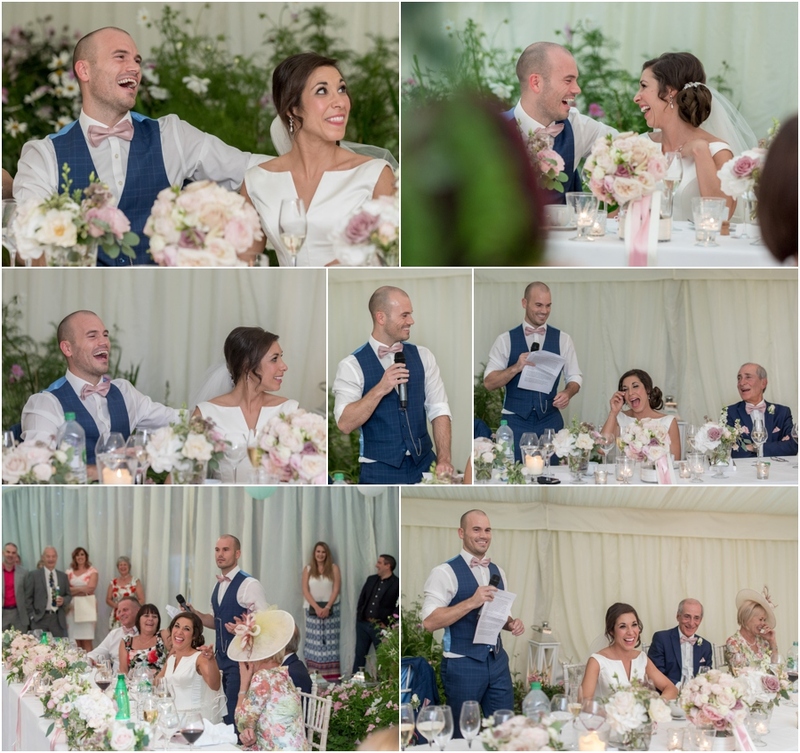 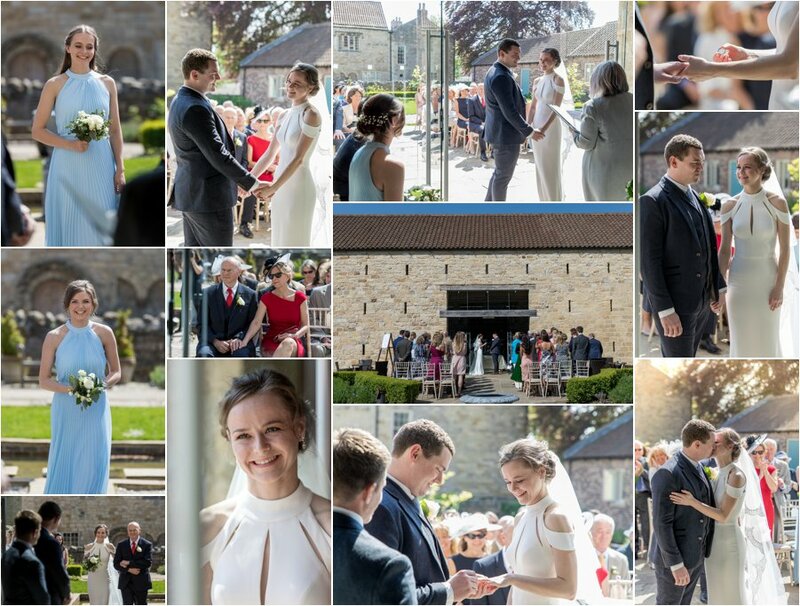 Emma and James were marrying outside, the courtyard structure and open fronted barn allows cvil ceremonies to be almost completely outdoors, just the bride and groom and registrars inside the glass doors and well within sight and ear shot of the intimate wedding party. 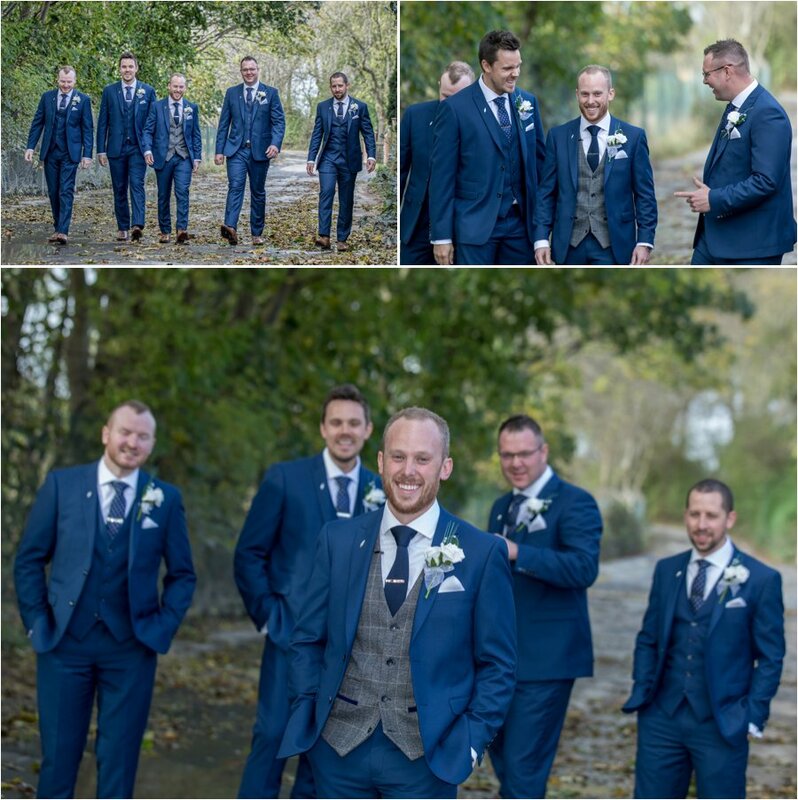 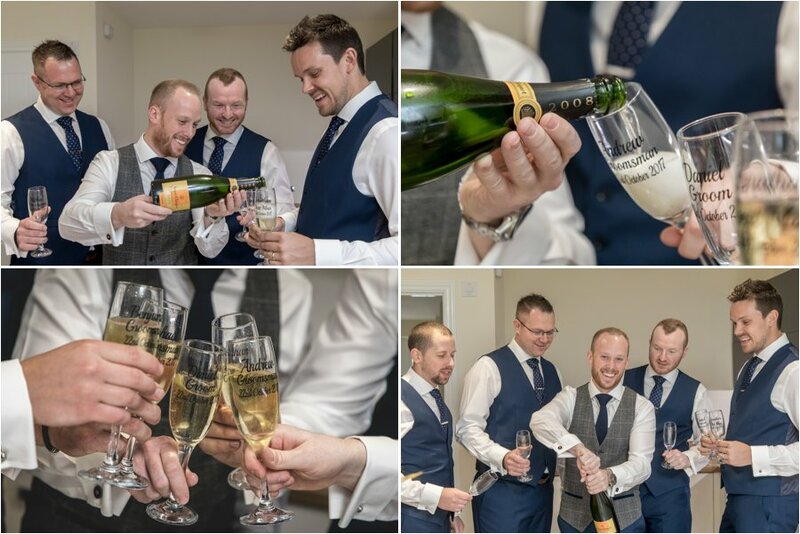 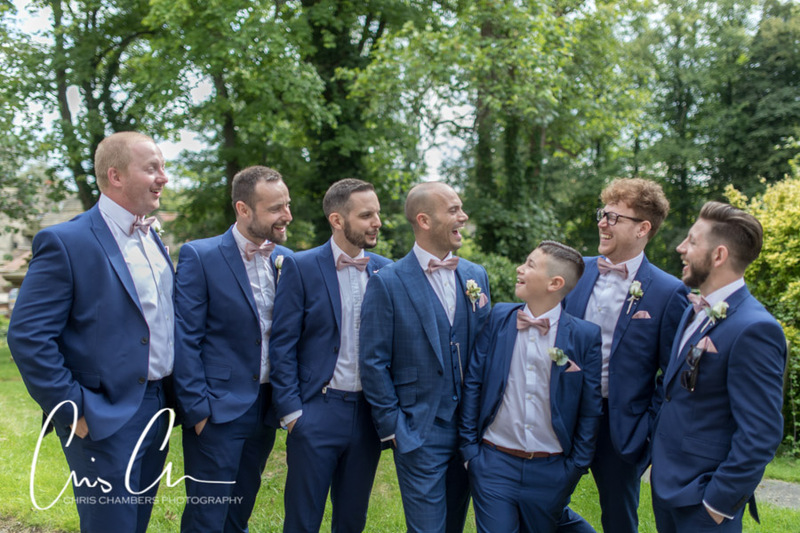 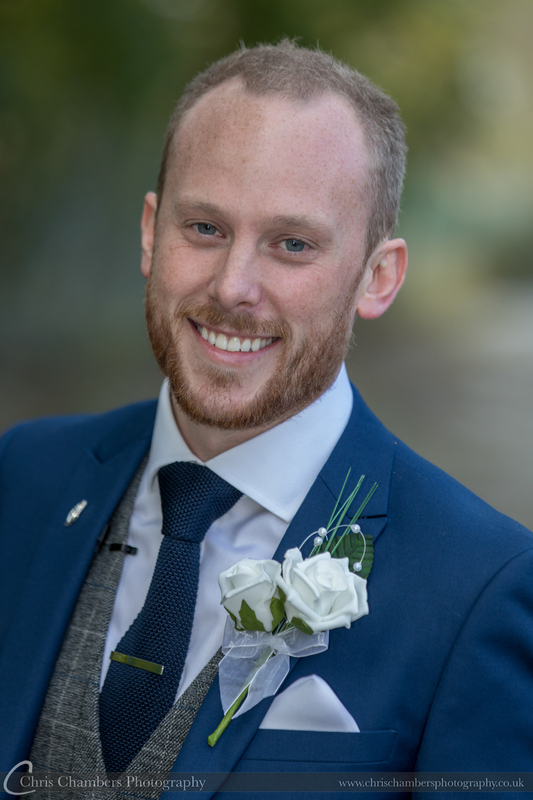 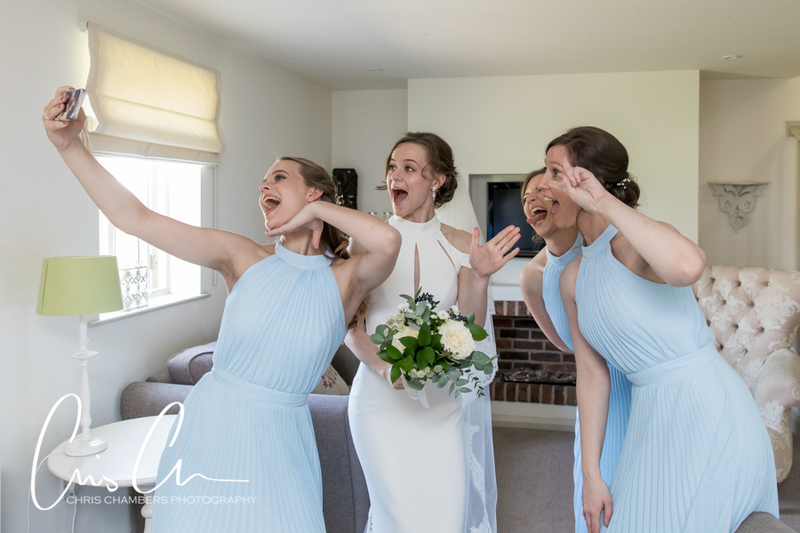 The brief for the day was for a more relaxed and informal set up with a minimal number of group photographs to take, we had plenty of time to create the natural candid wedding photographs that Emma and James had requested. 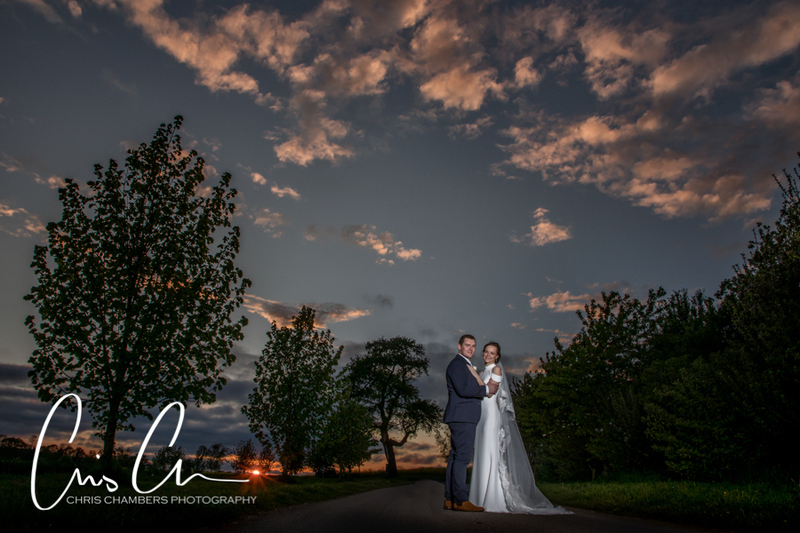 Thankfully in such beautiful surroundings as the Priory Cottages and expansive farmland Emma and James were happy to pop out for a short photo session after the meal, making the most of the glorious evening light and sunset to create a quick set of wedding photographs that will look amazing in their wedding photograph album. 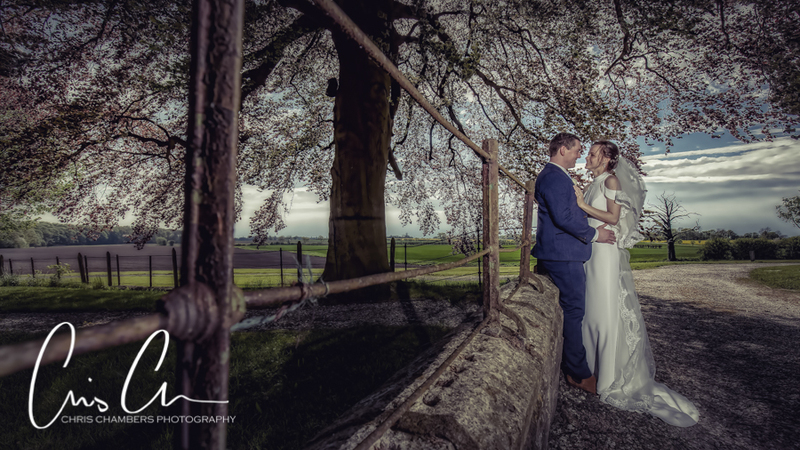 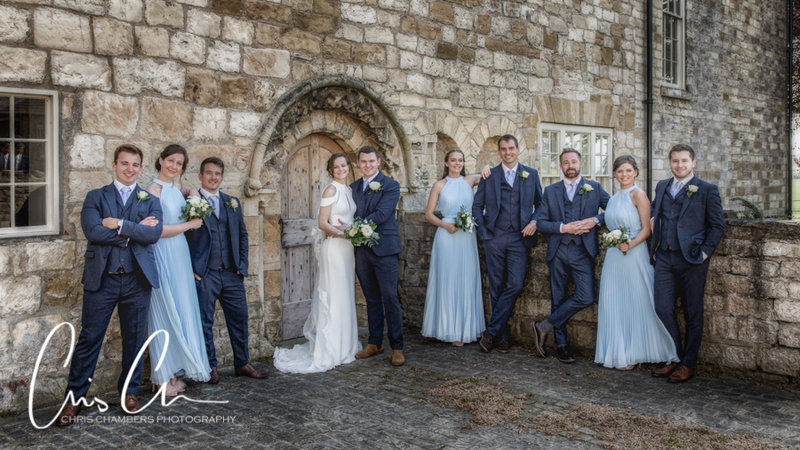 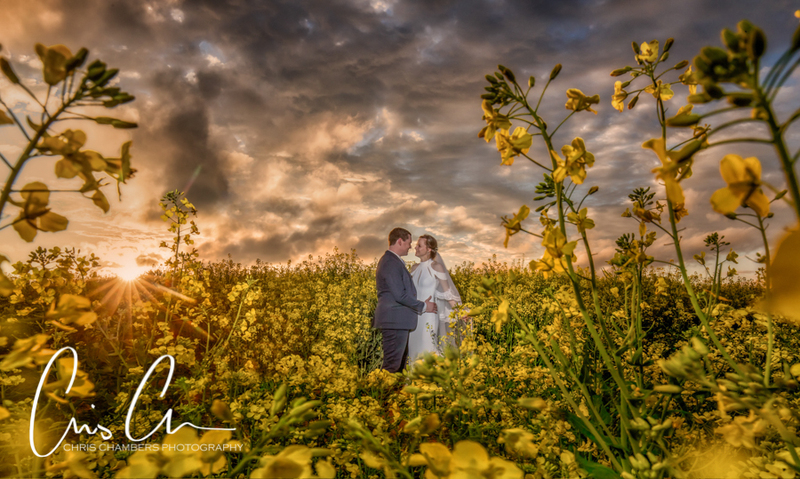 Surrounded by hundreds of acres of Farmland the Priory Cottages are ideally located for country weddings and for bride and grooms willing to make the most of the rural location there are many many photography opportunities. 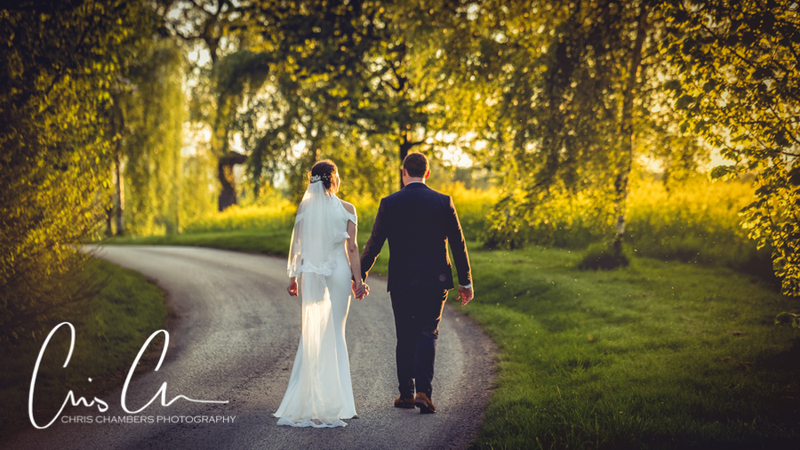 Early evening we took Emma and James for a short stroll to create a set of wedding photographs of just the two of them, The stunning evening light and sunset helped create a superb set of wedding photographs. 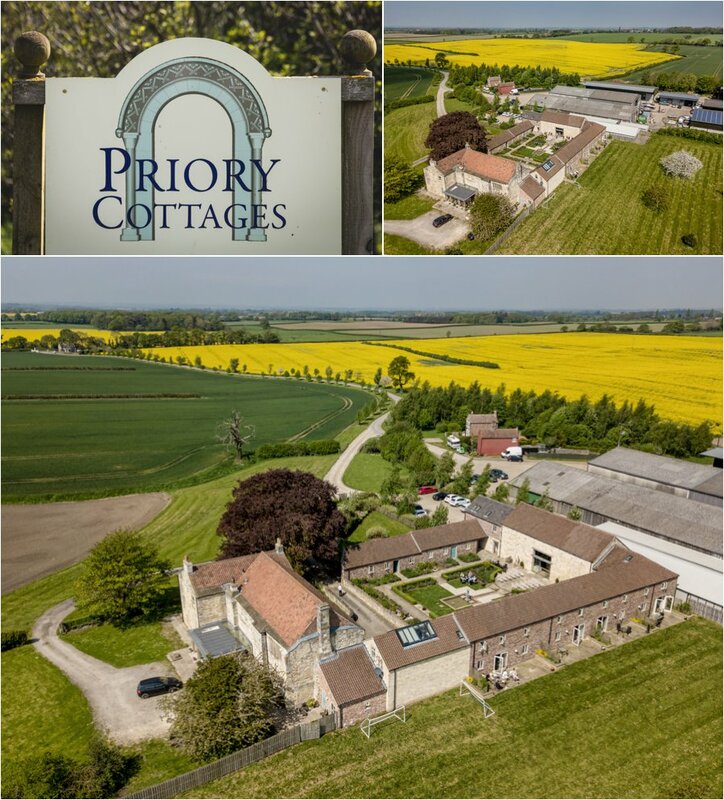 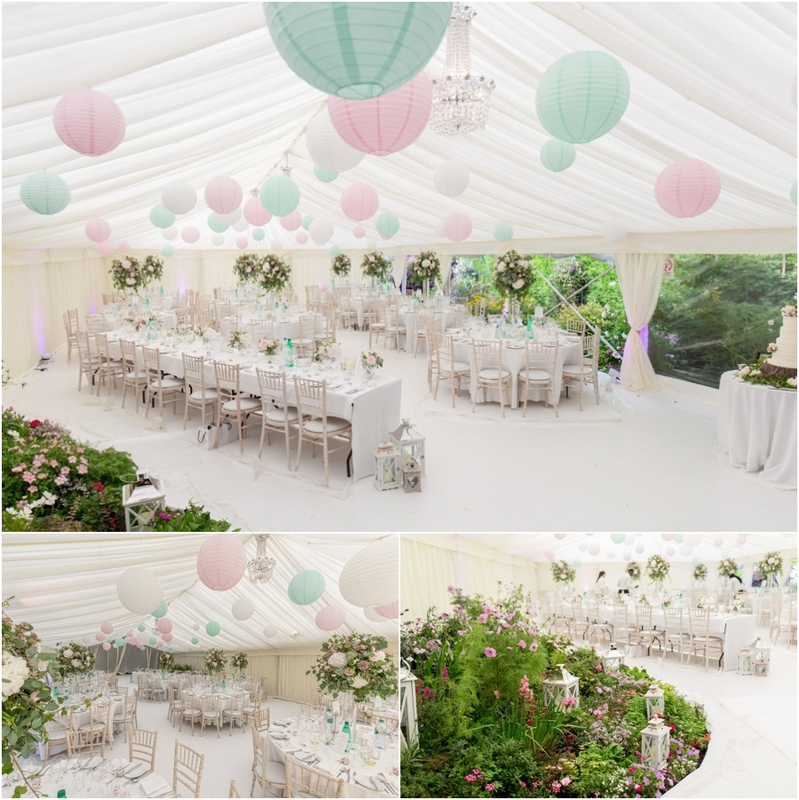 For more information on booking your wedding at Priory Cottages visit their website. 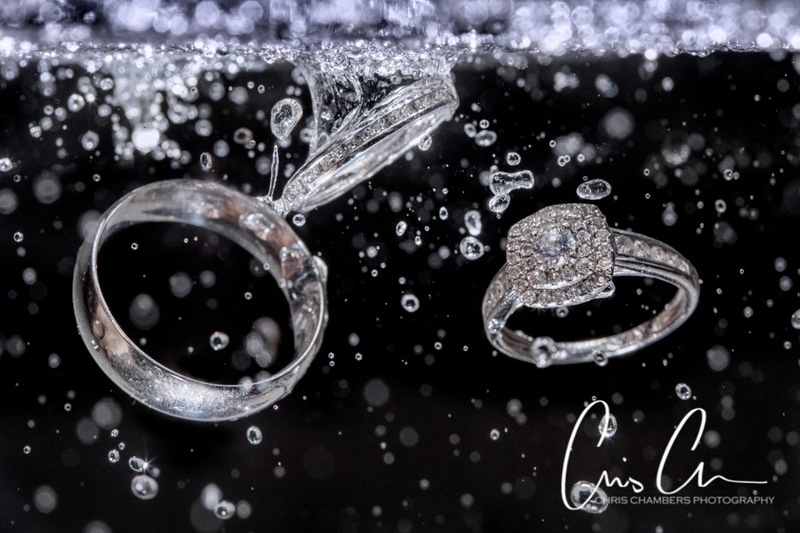 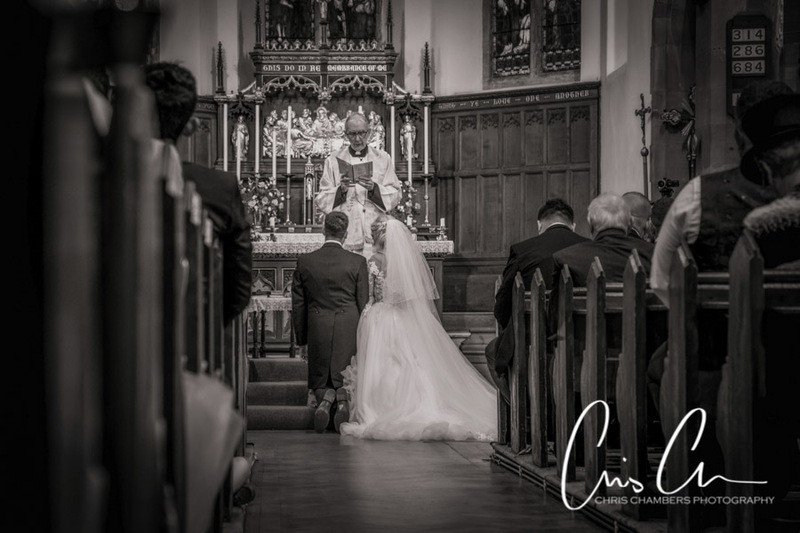 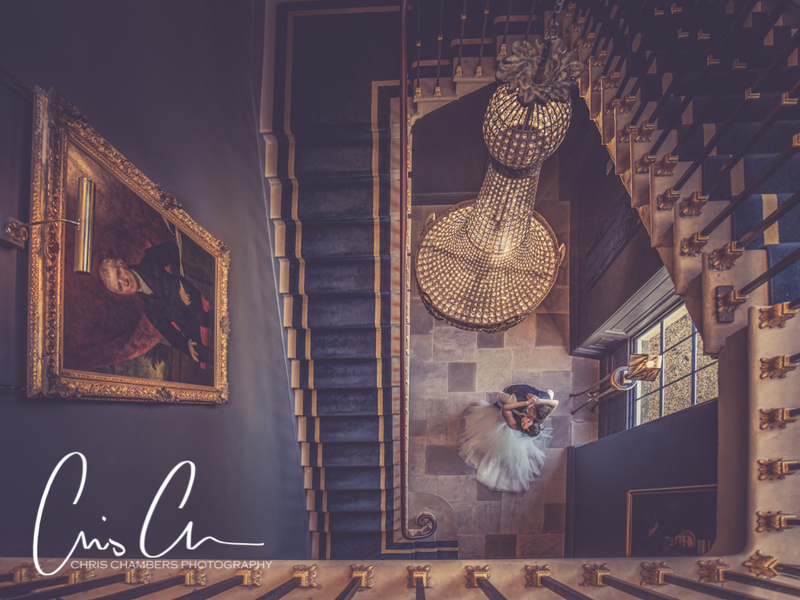 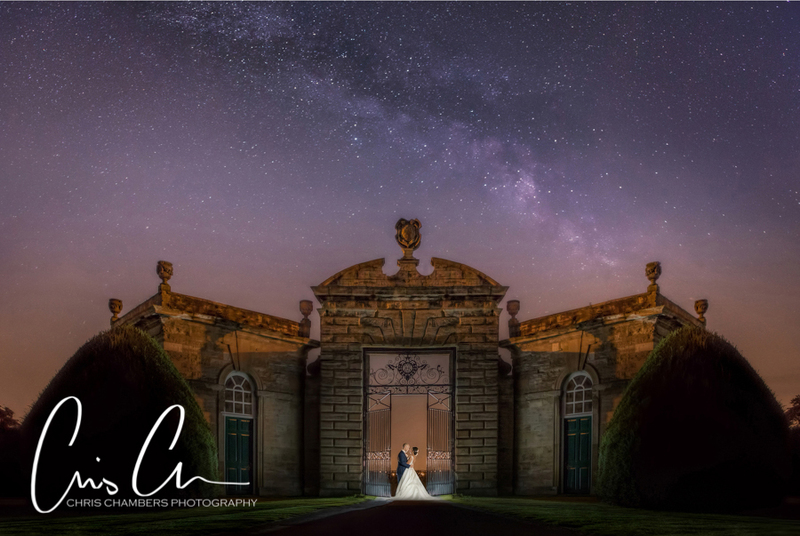 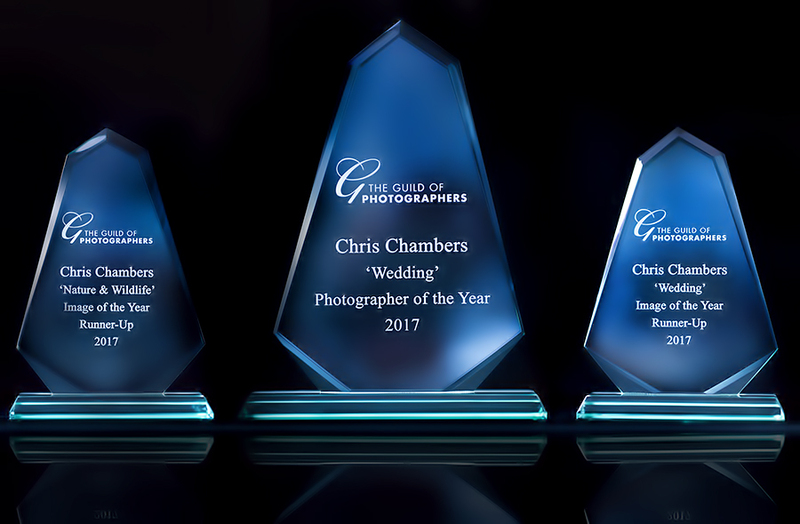 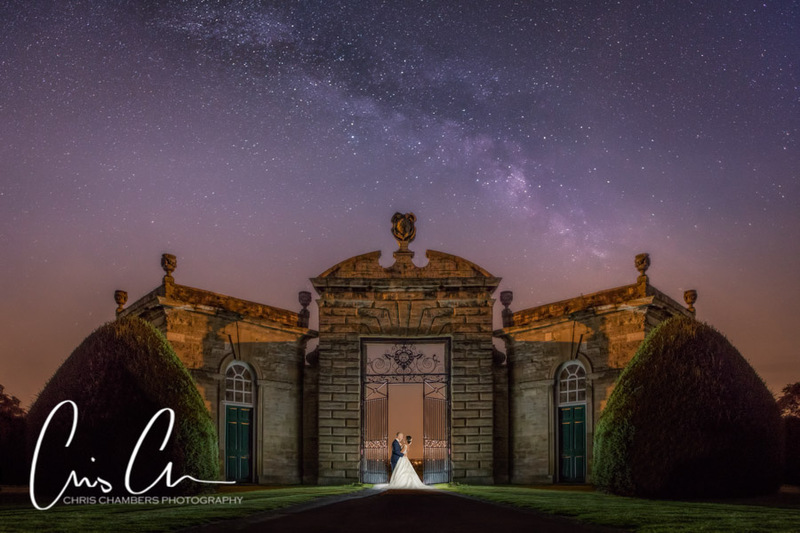 In early 2018 I was awarded the Guild Of Photographers “Wedding Photographer of the Year” the award comes form a year of image submissions, every month submitting three wedding photographs for judging against several thousand others. 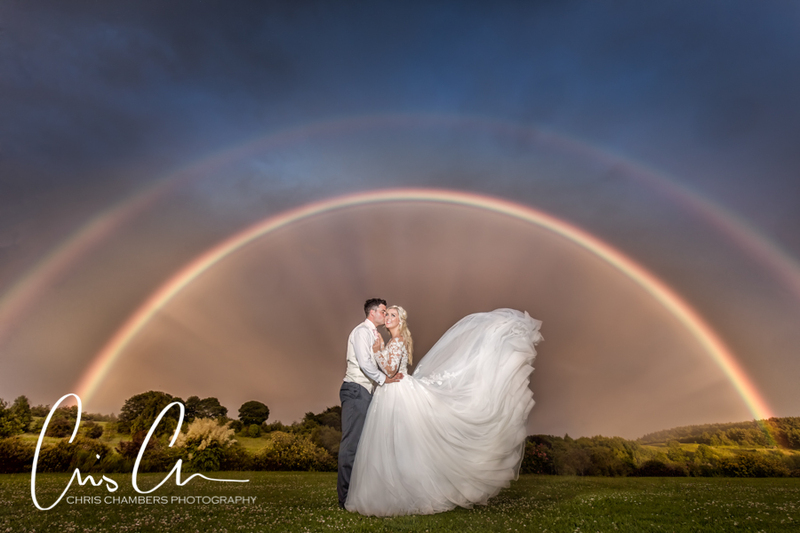 The highest scoring photographer at the end of the year is awarded overall winner. 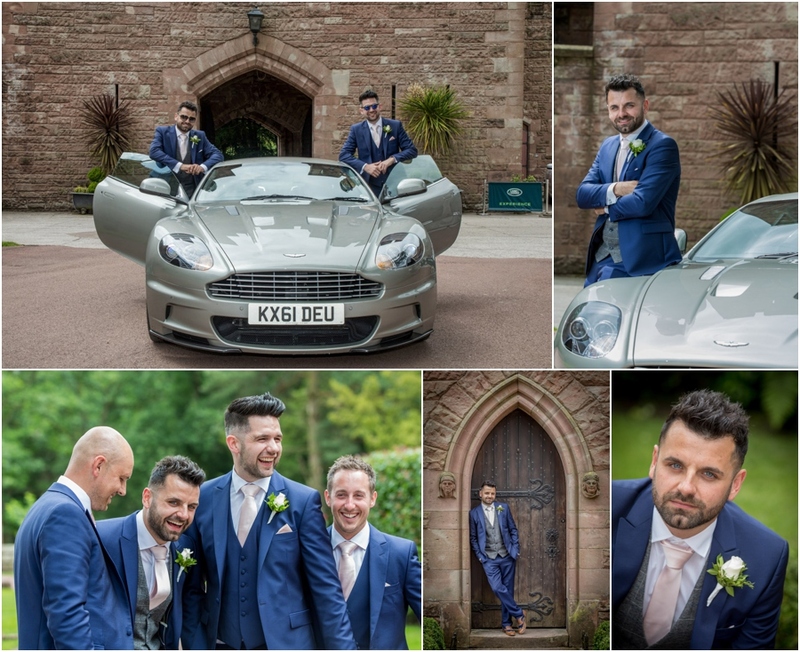 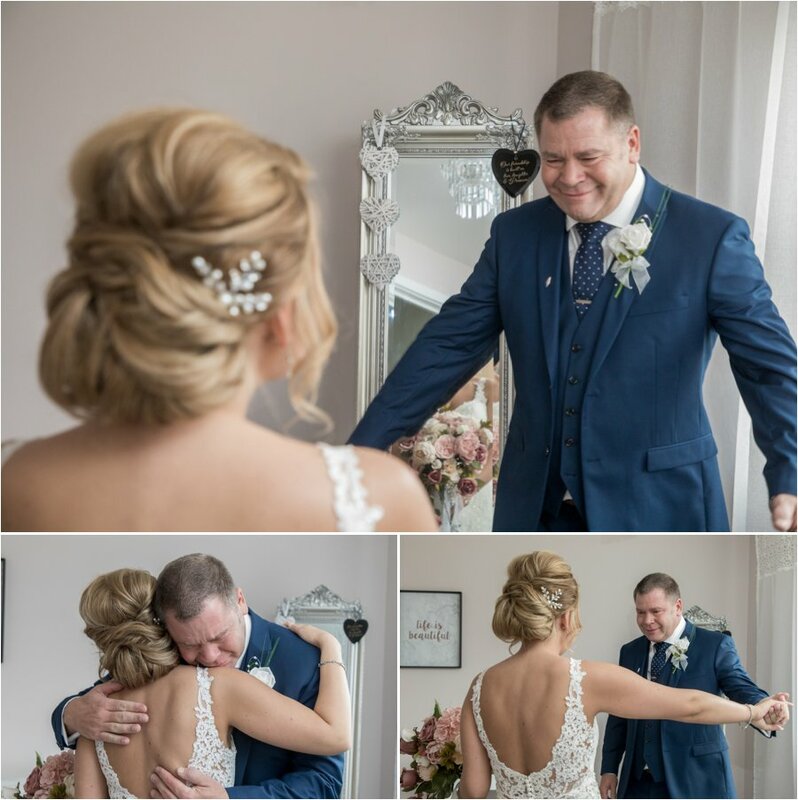 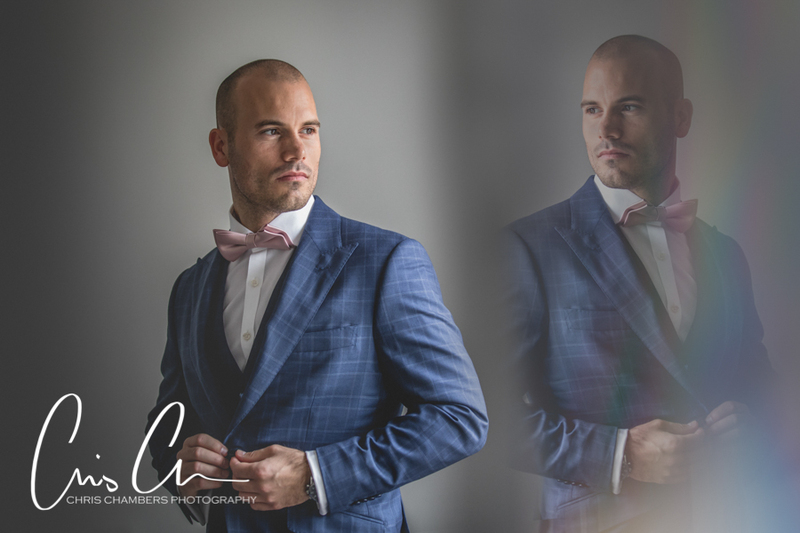 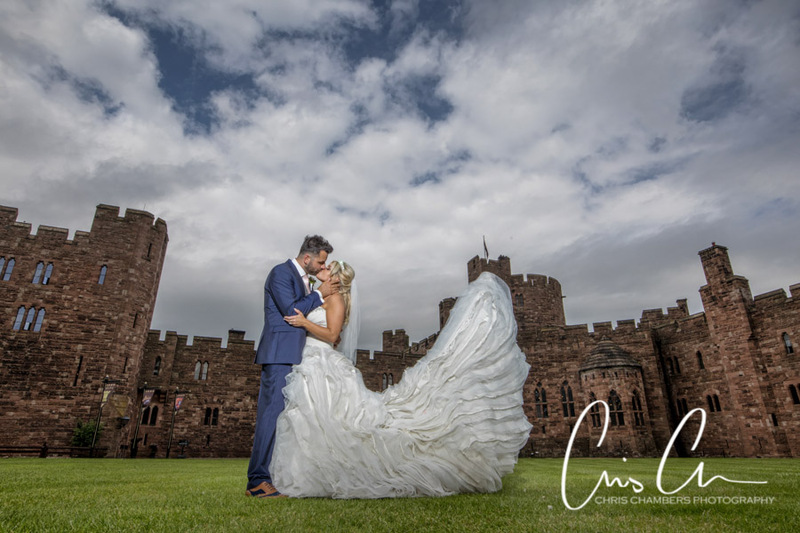 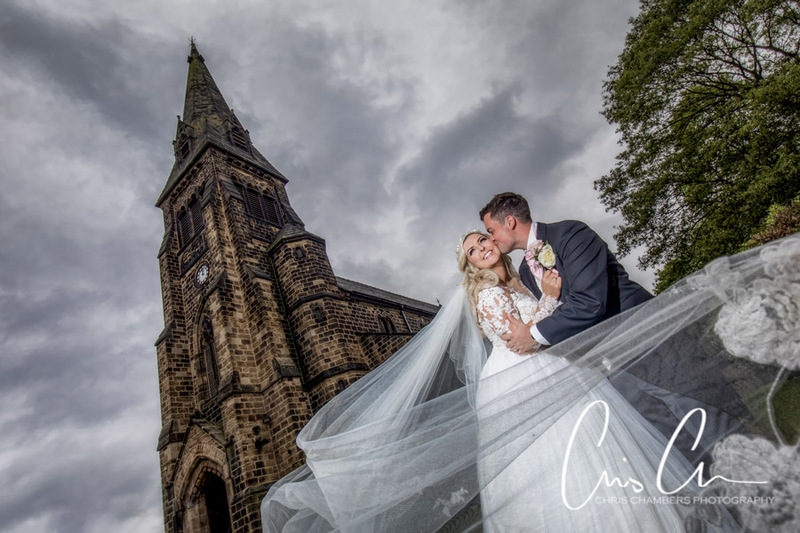 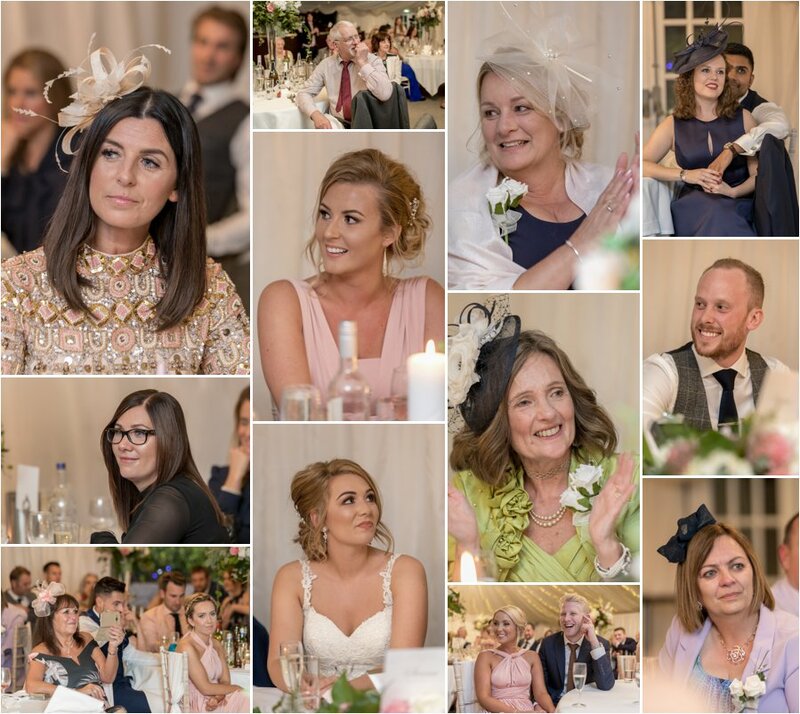 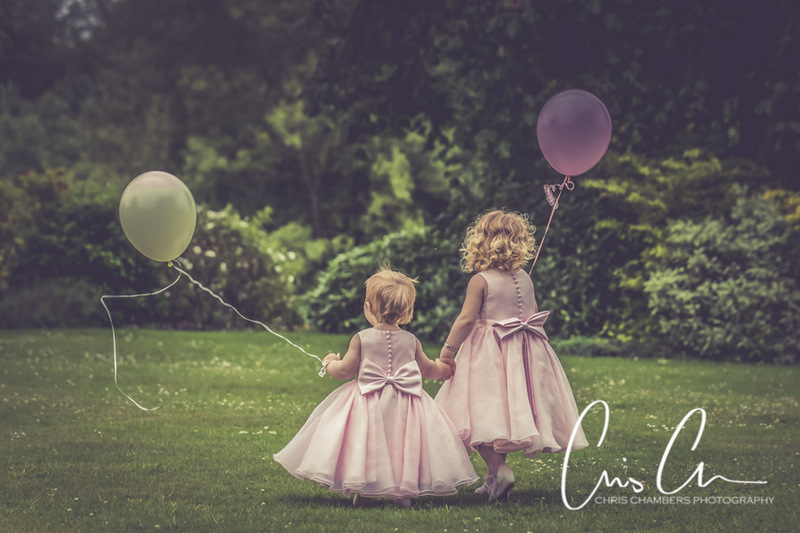 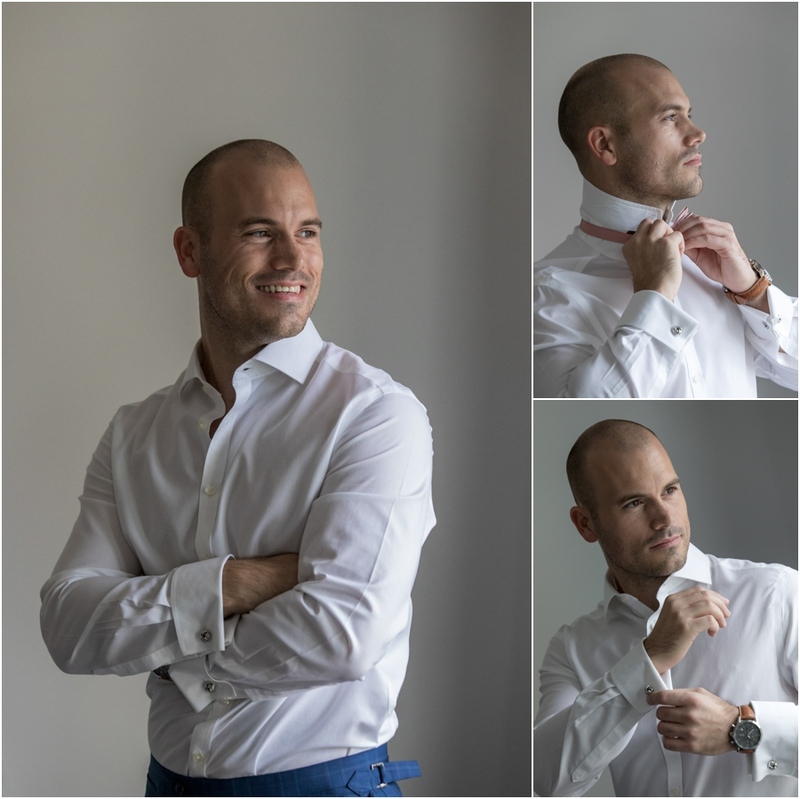 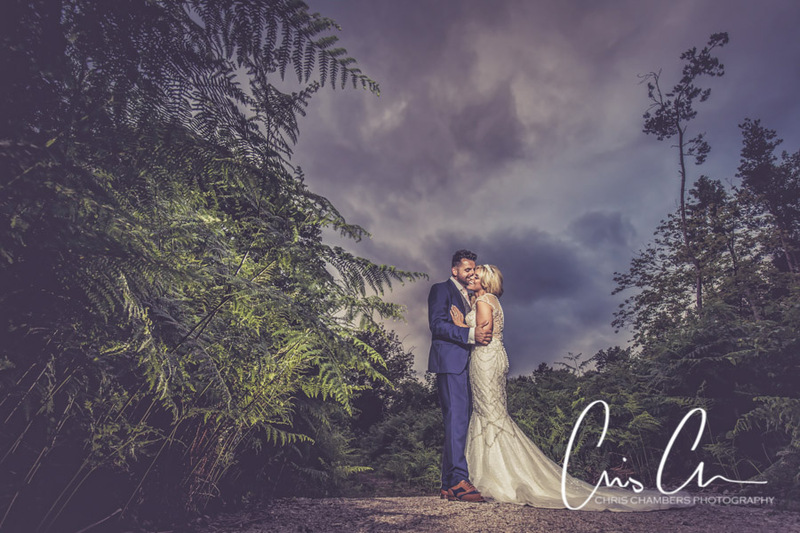 With plenty of amazing bride and grooms that have allowed us to photograph their weddings we’ve not only created wedding photographs that they’ll treasure for the years to come but also plenty of award winning wedding photographs too. 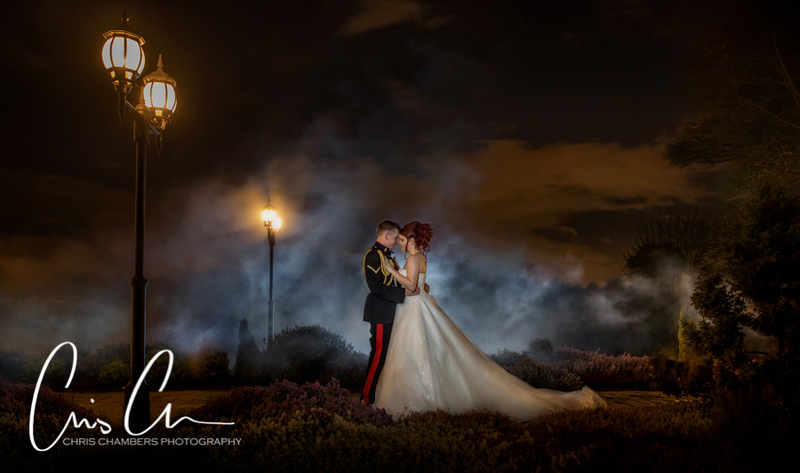 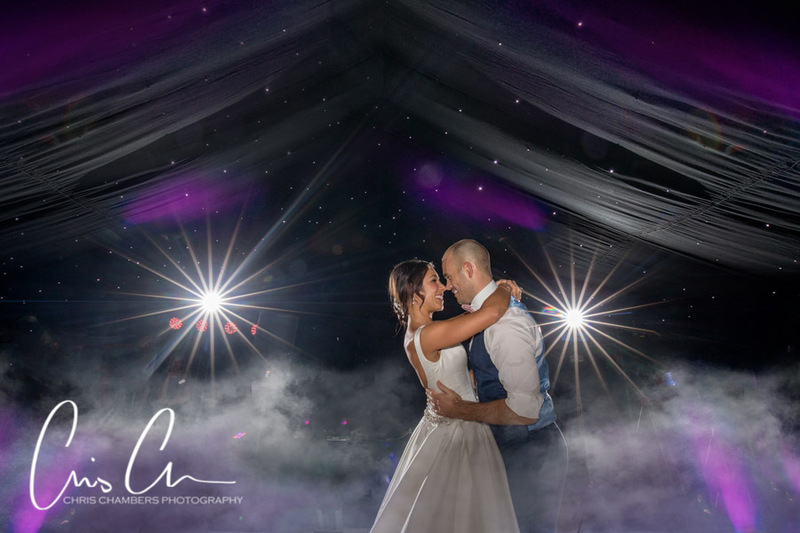 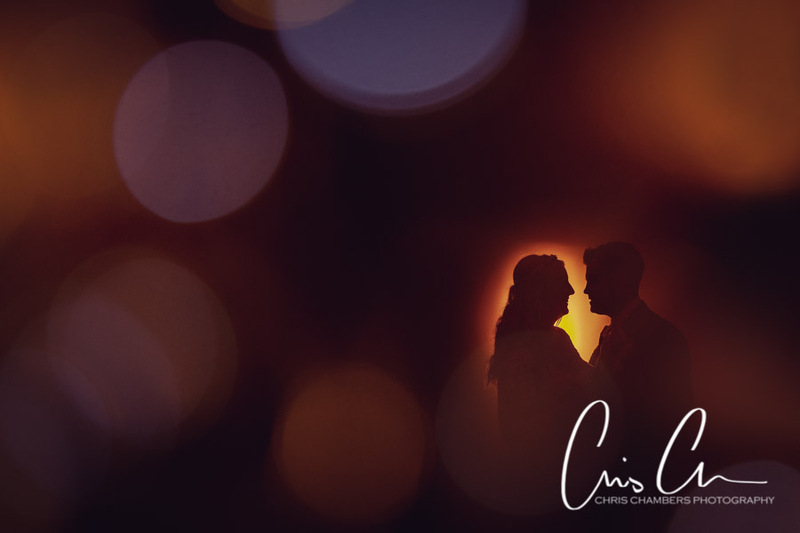 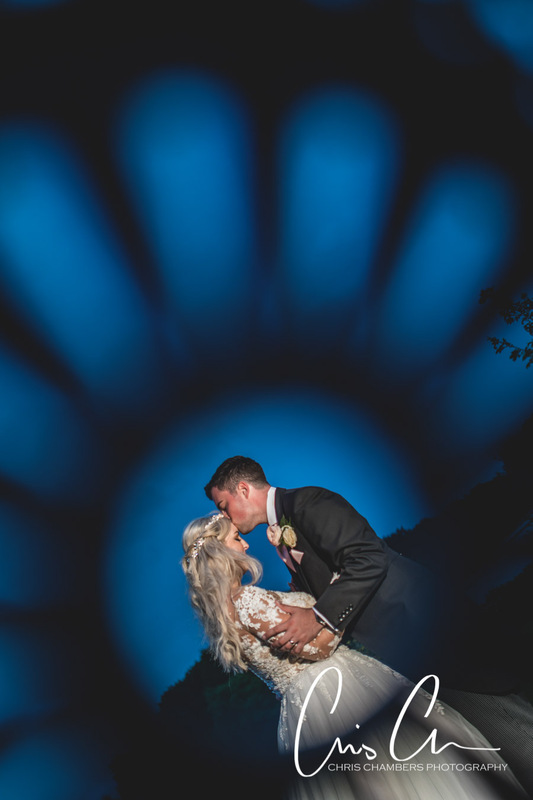 This end of night wedding photograph from Marc and Sara’s wedding near Leeds scored an impressive silver in the awards. 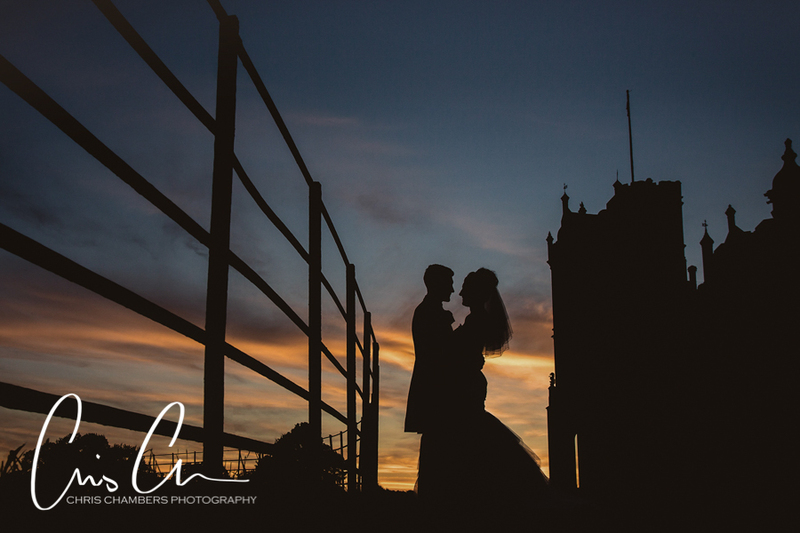 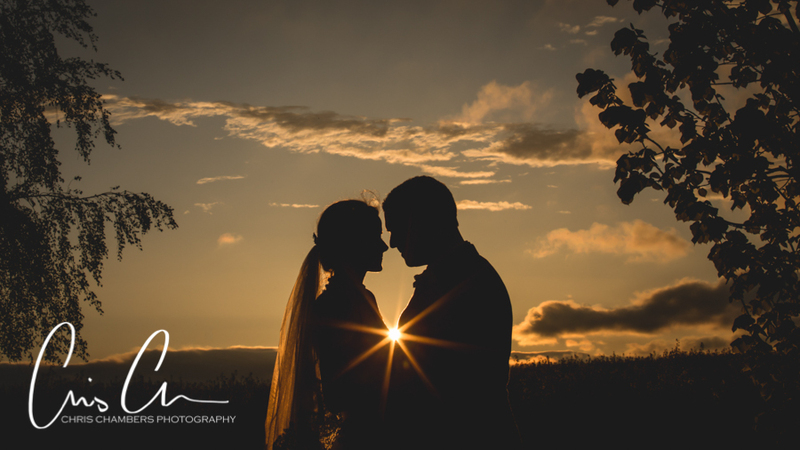 A Bronze for this simple silhouette sunset wedding photograph taken at Allerton castle. 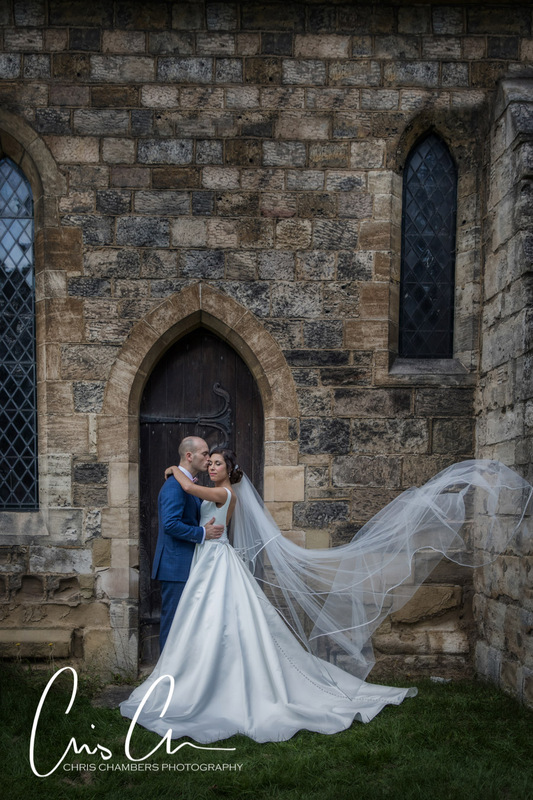 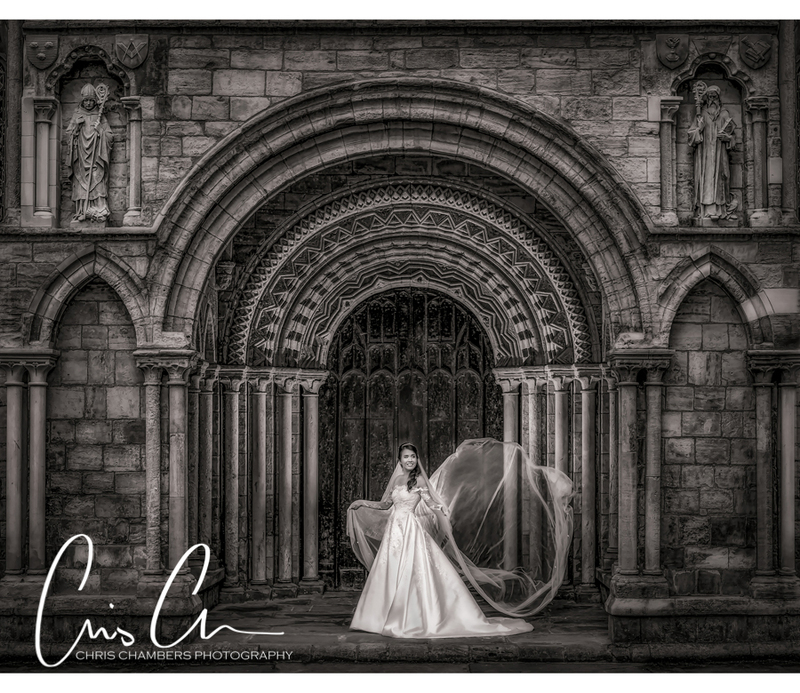 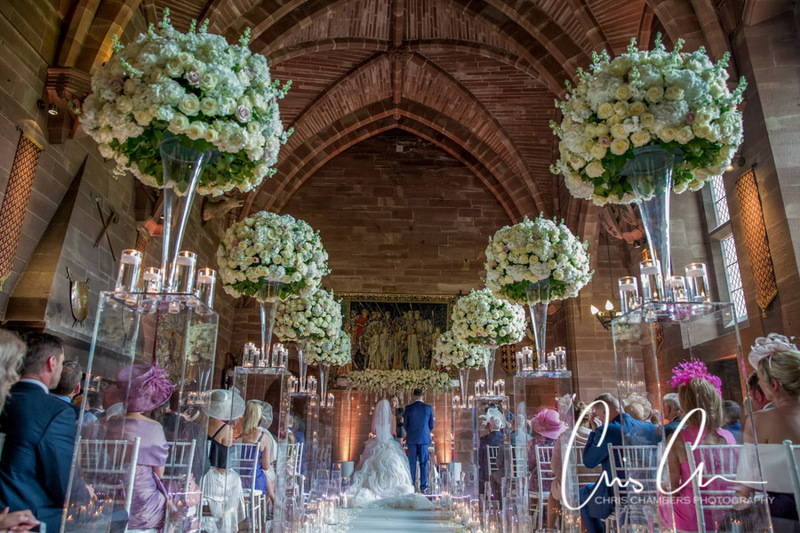 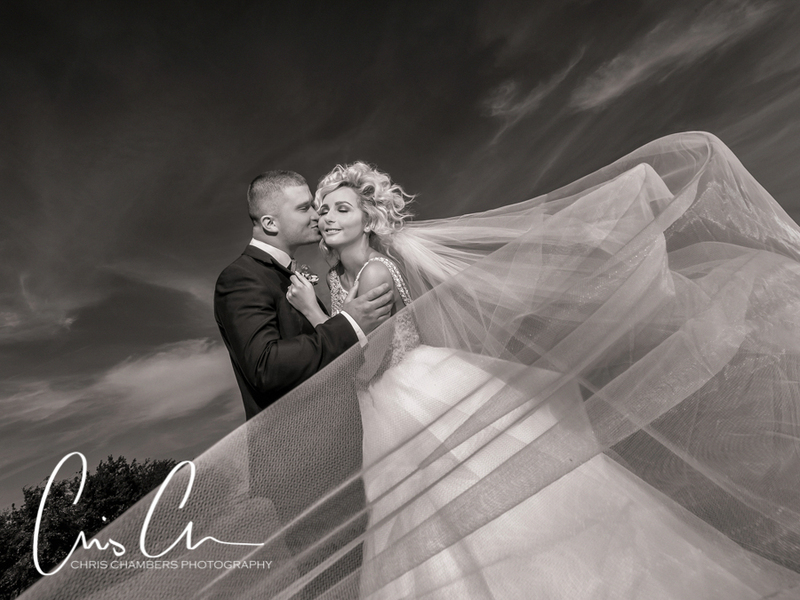 Selby Abbey and a very impressive veil, this wedding photograph of Lisa picked up a Silver award. 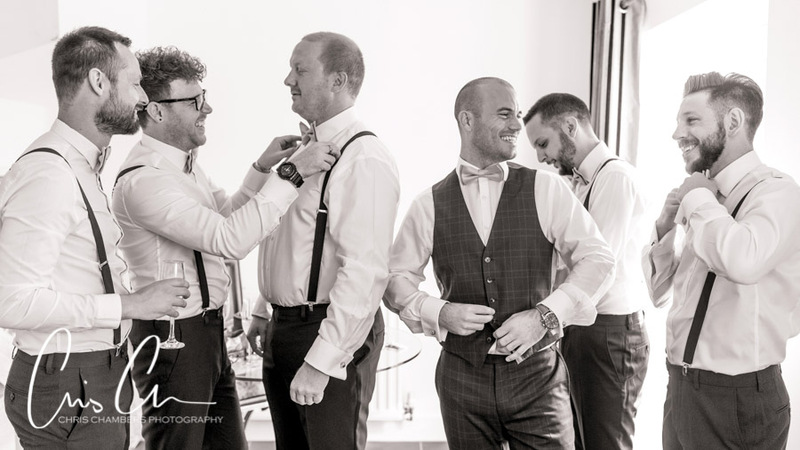 Groom preparation photograph of Marc from late summer, this photograph was also awarded a bronze. 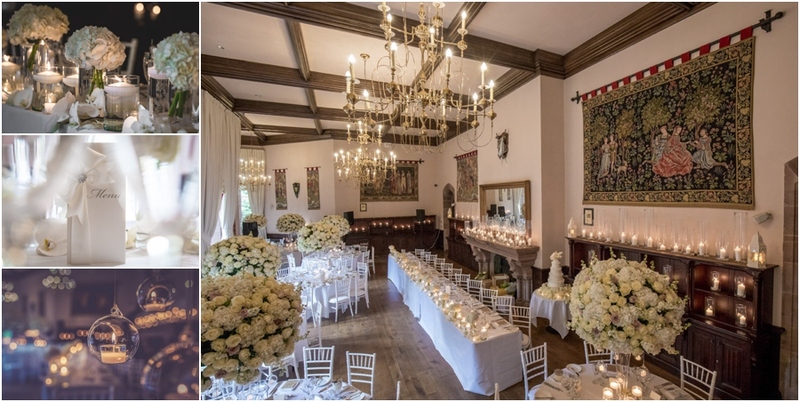 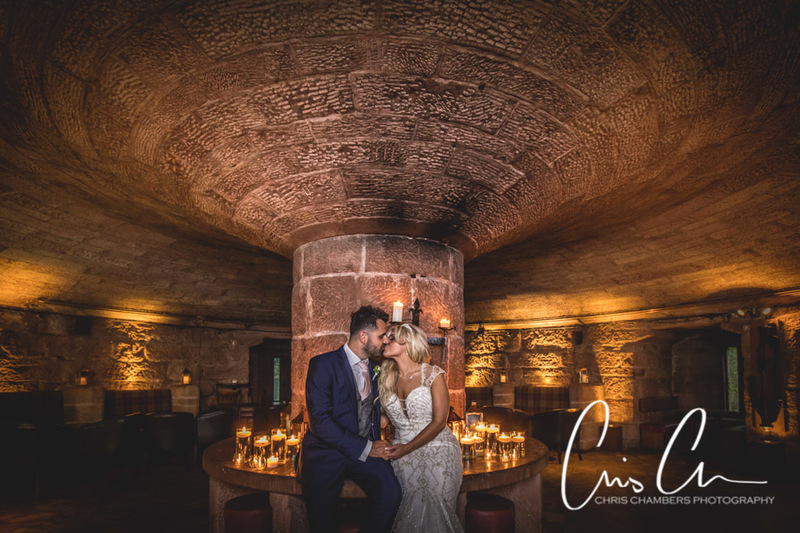 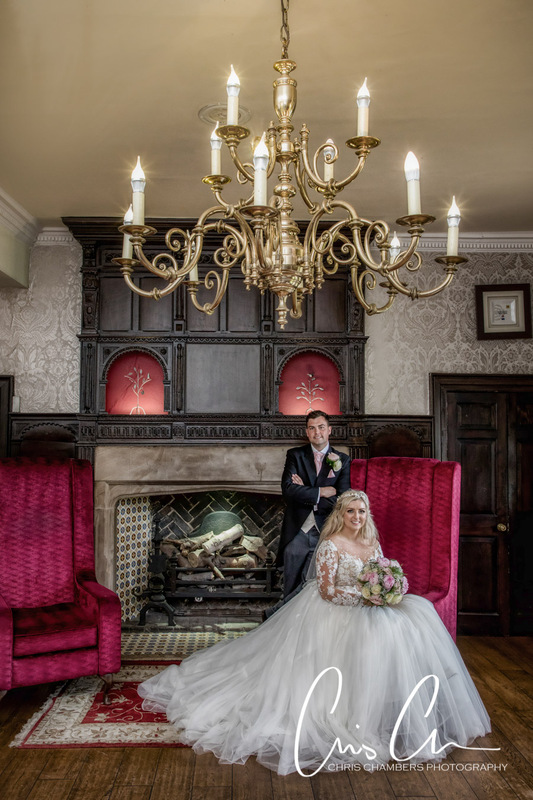 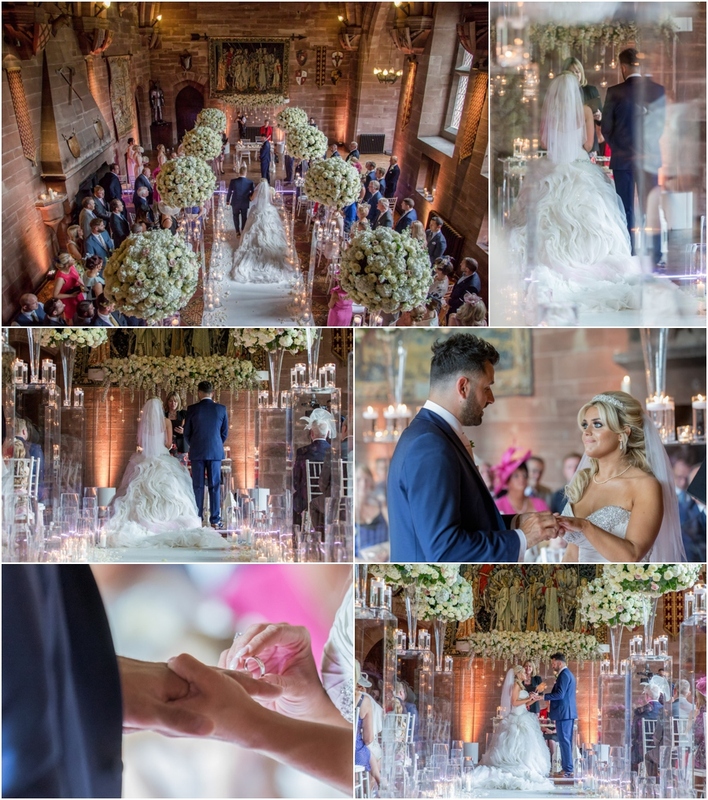 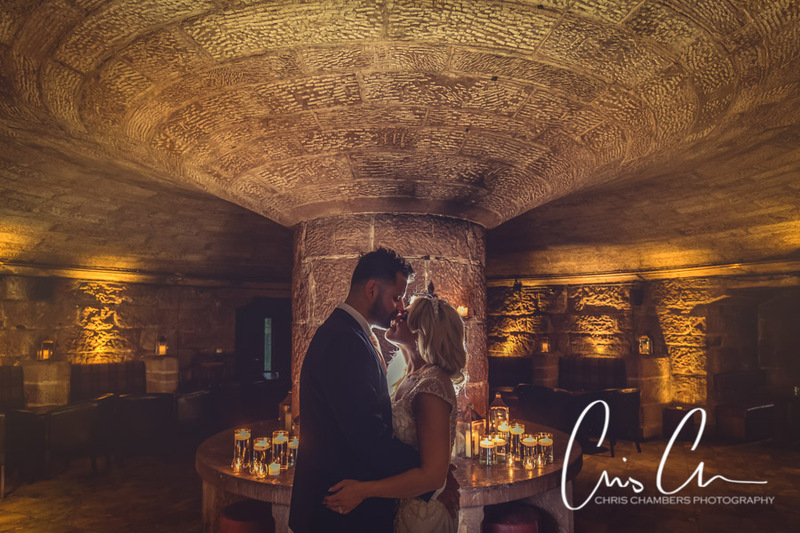 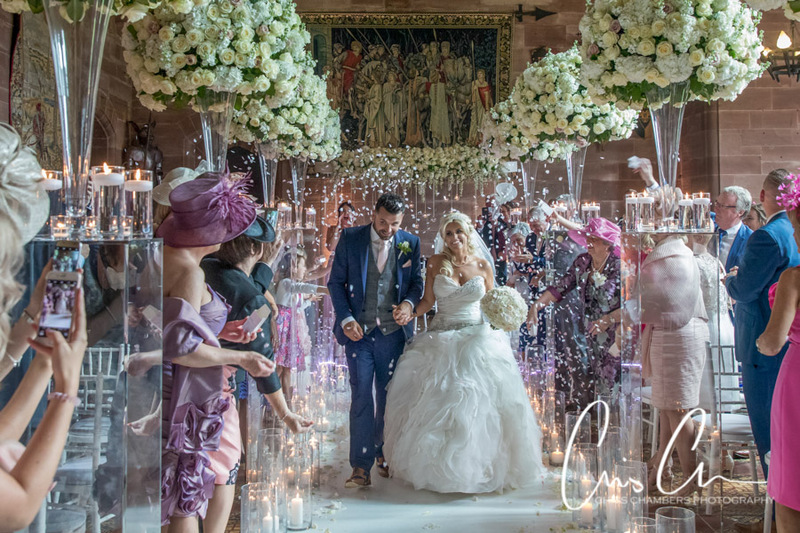 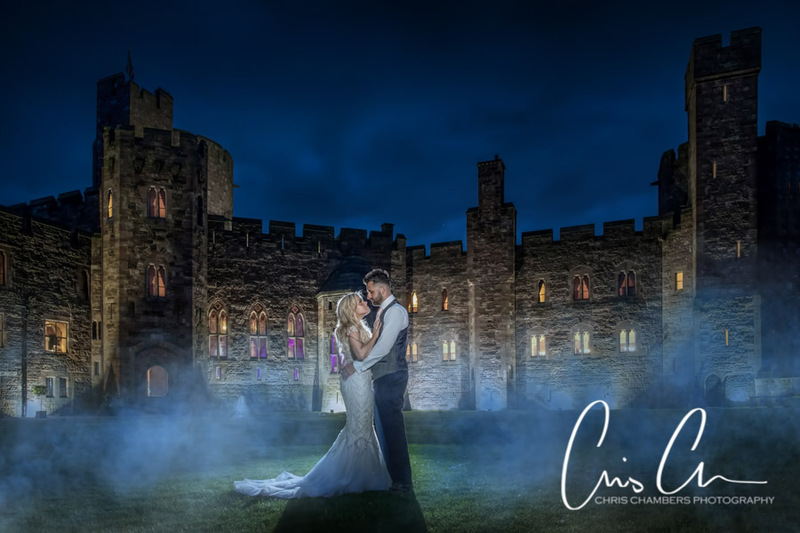 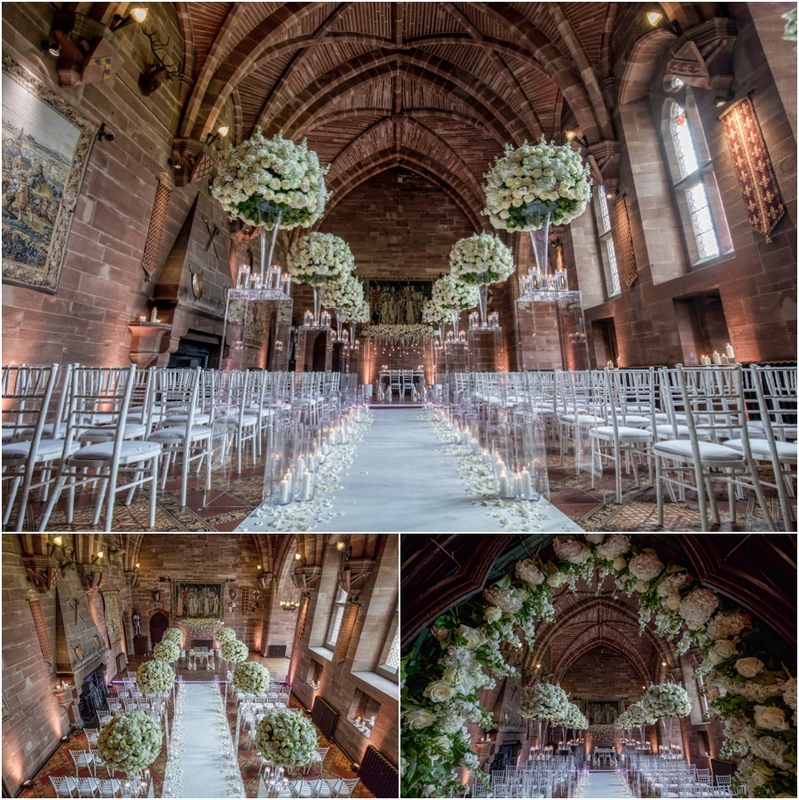 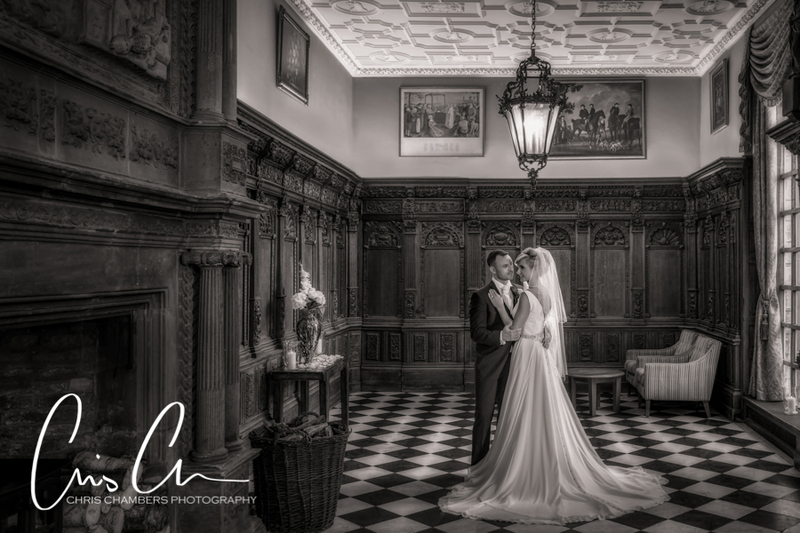 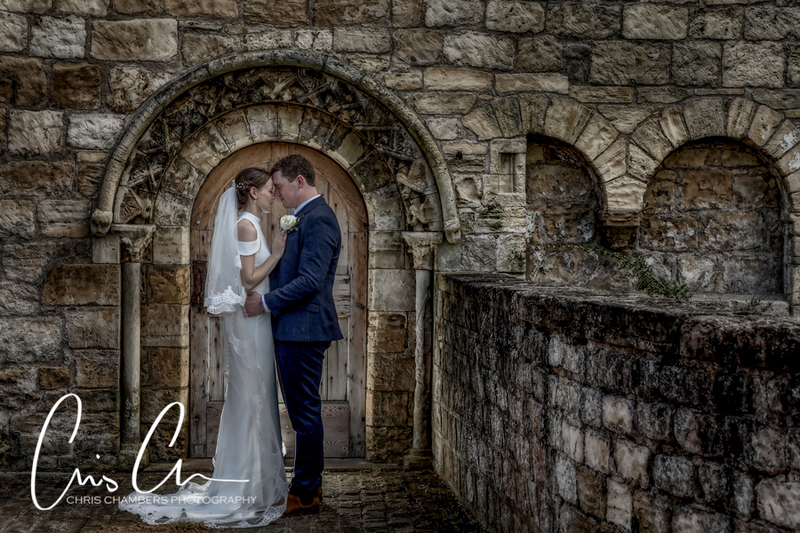 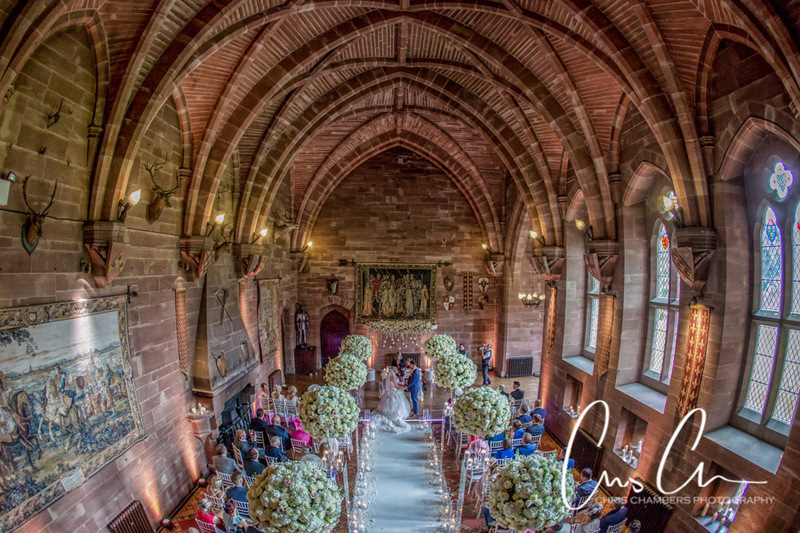 Hazlewood Castle, this wedding photograph taken in the stunning Flemish Hall at Hazlewood Castle was awarded a Silver. 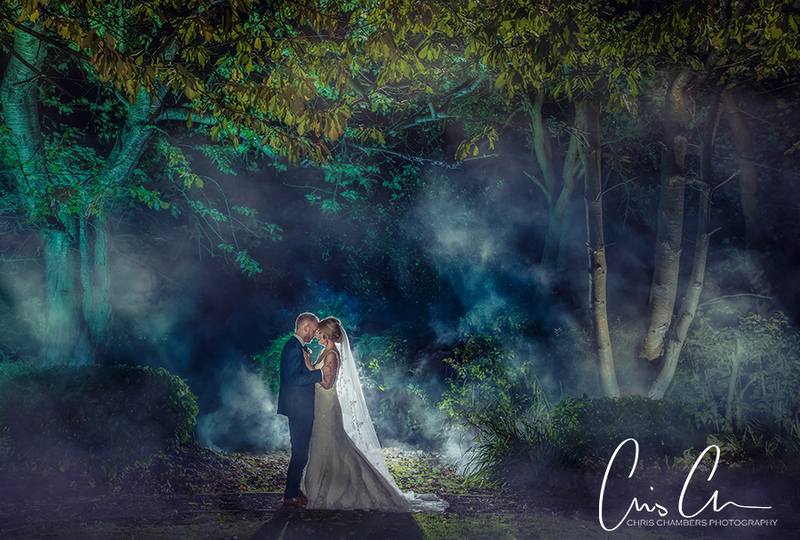 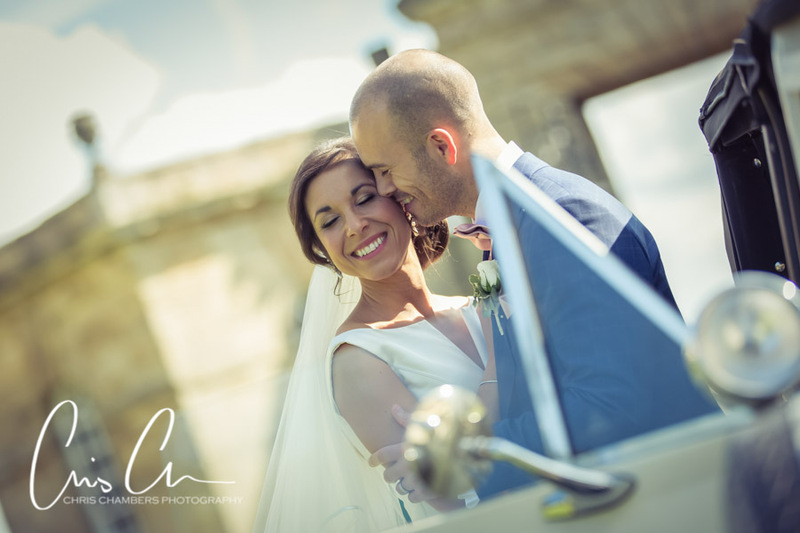 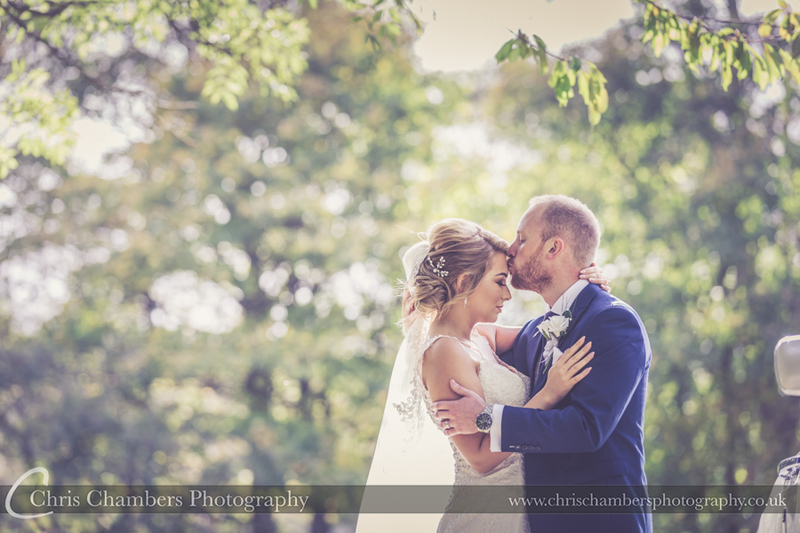 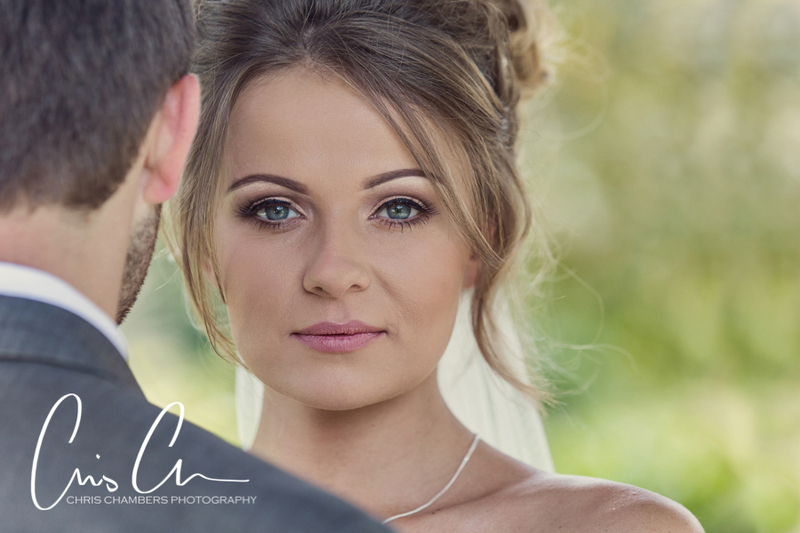 Gemma and Nicks wedding at Sutton Hall in Lincolnshire, this image was awarded a Gold. 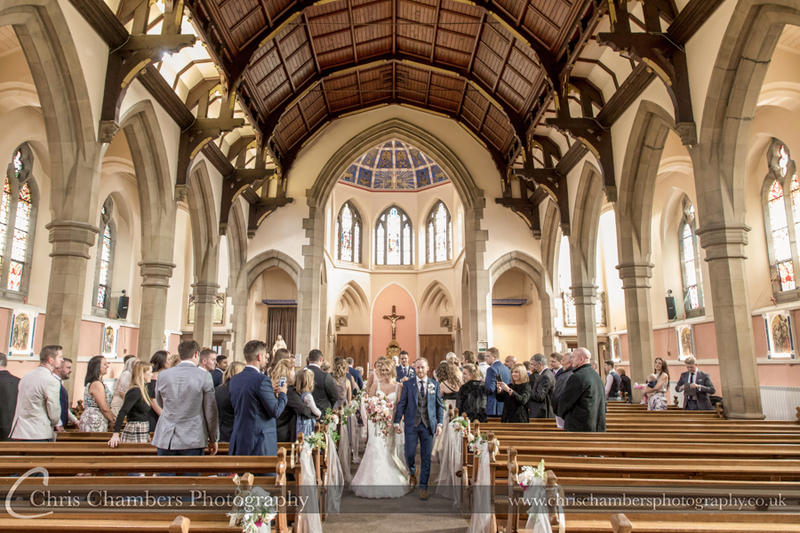 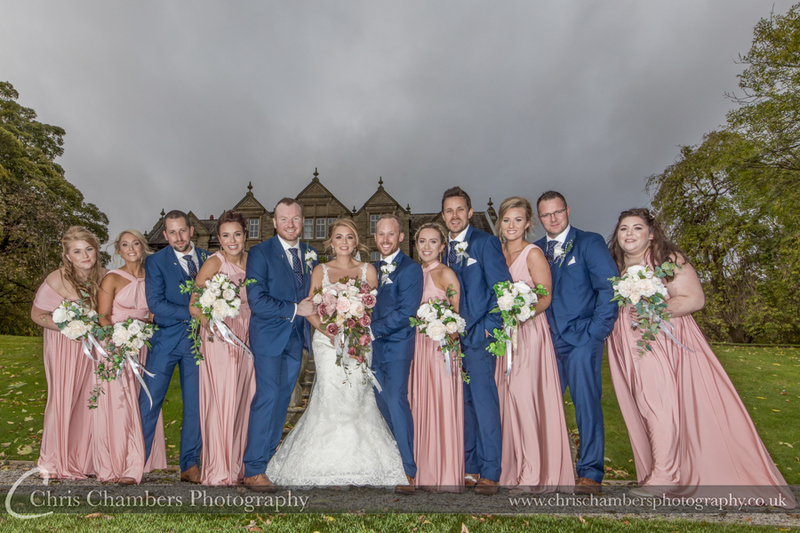 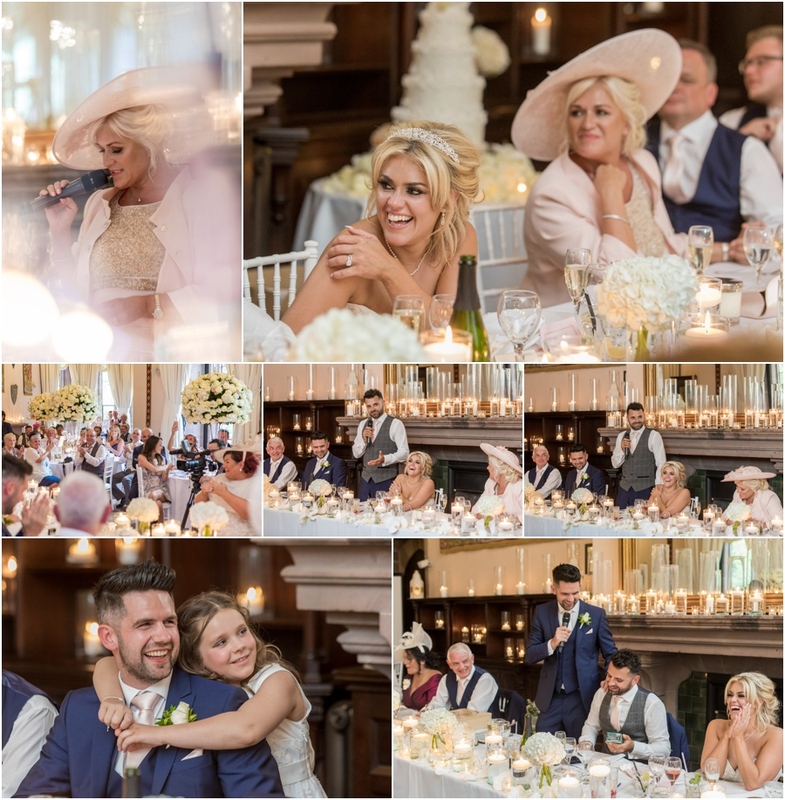 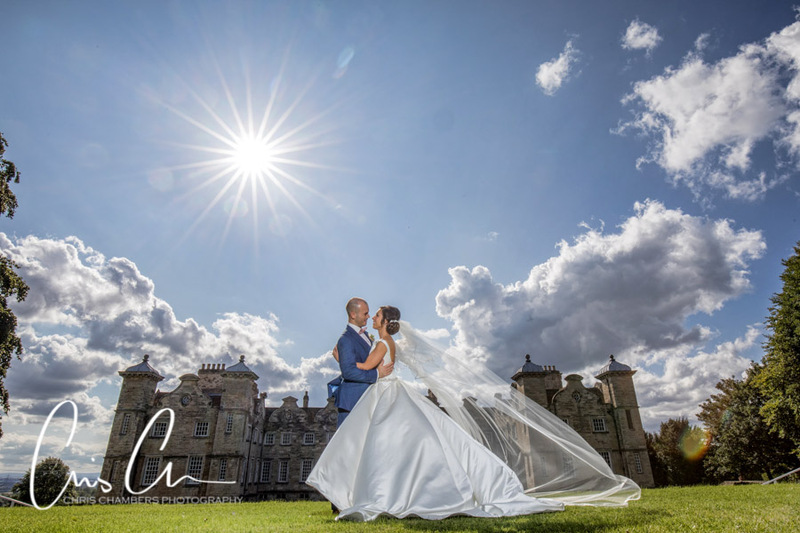 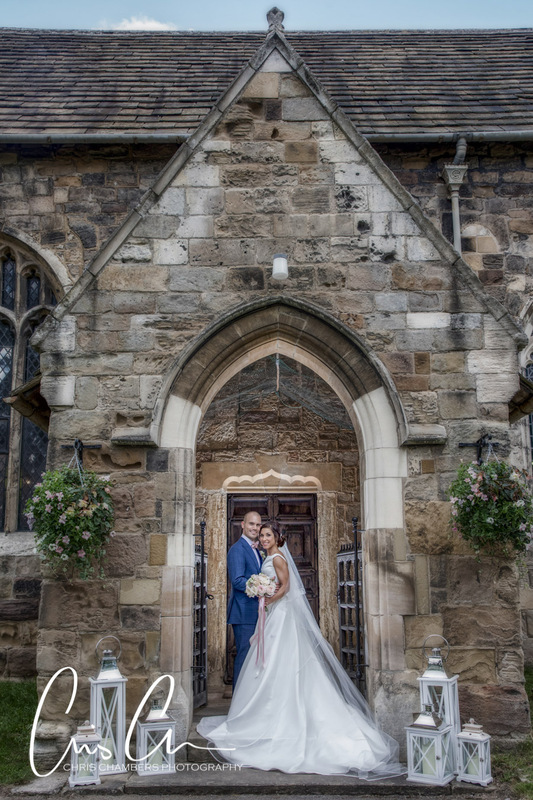 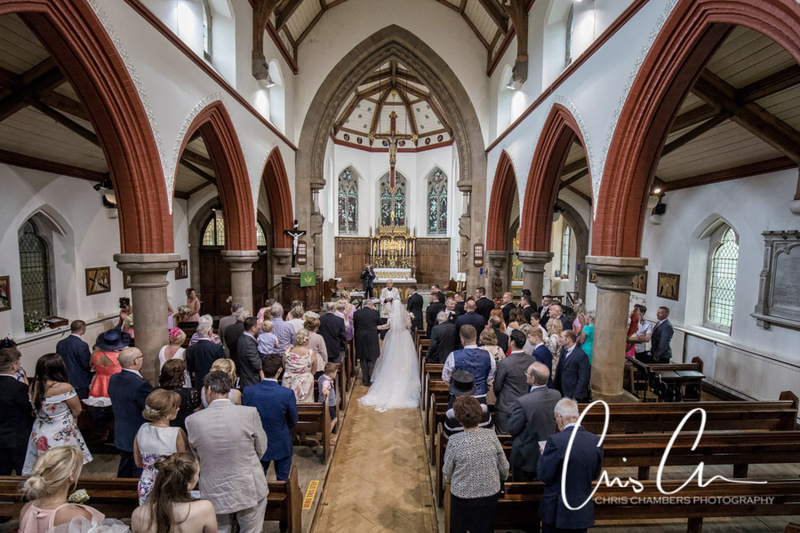 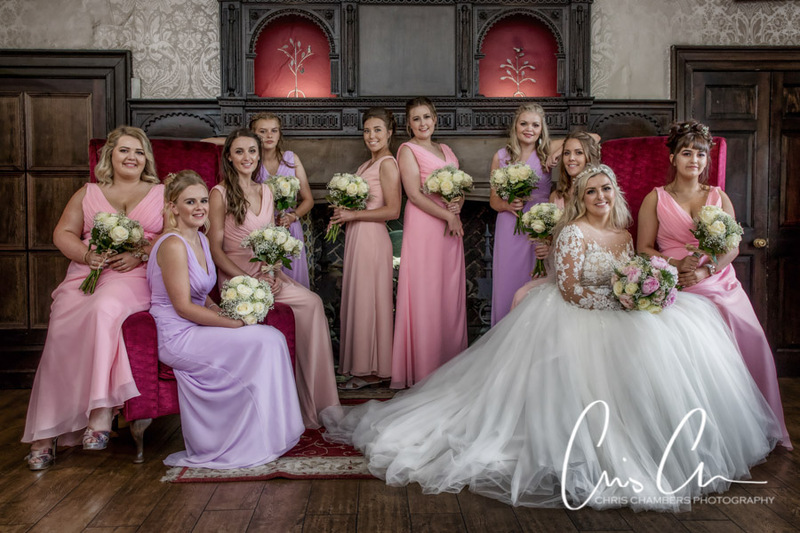 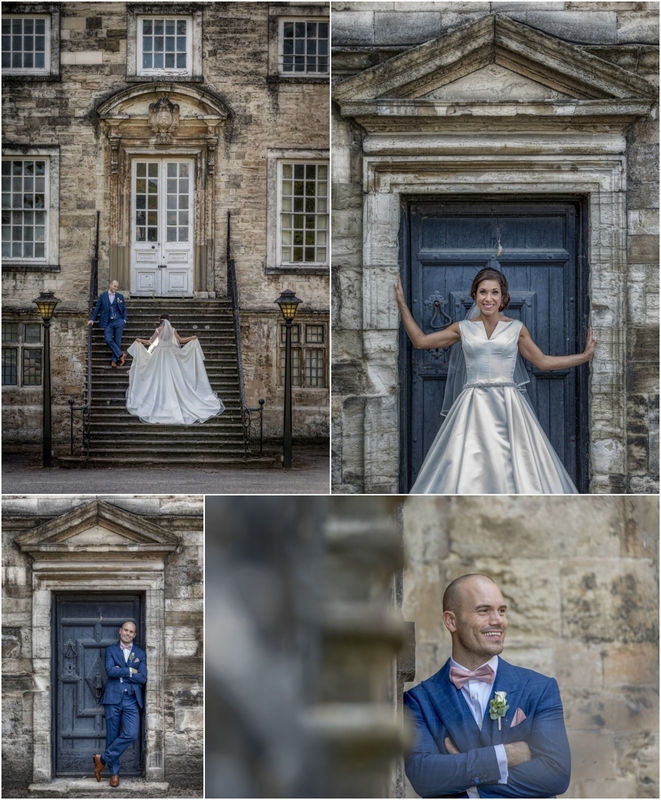 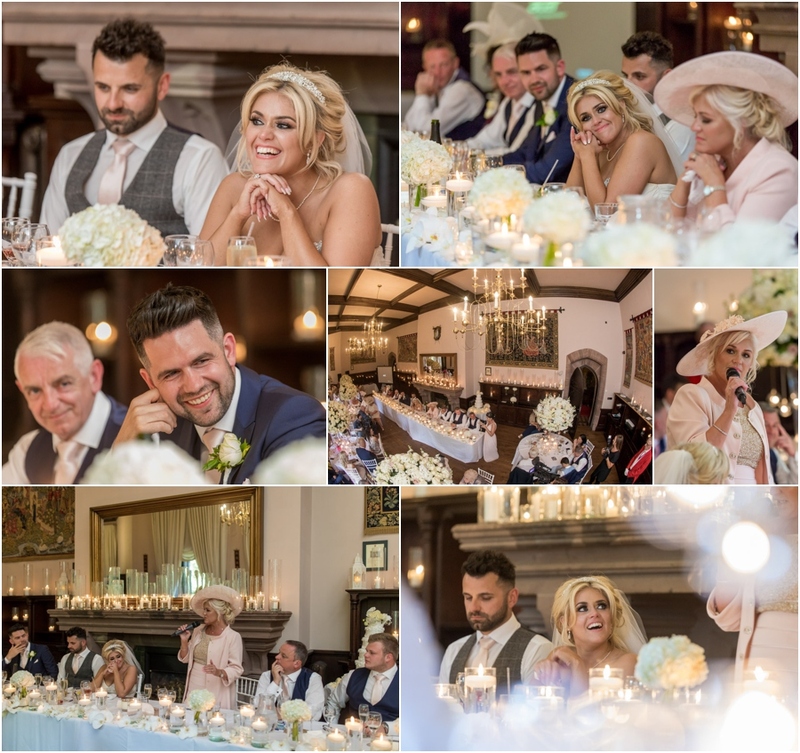 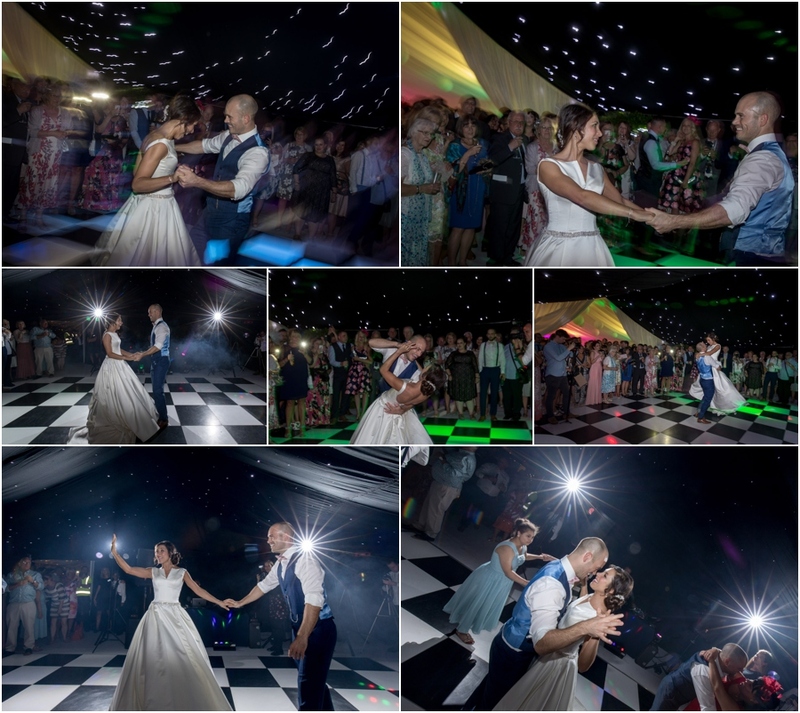 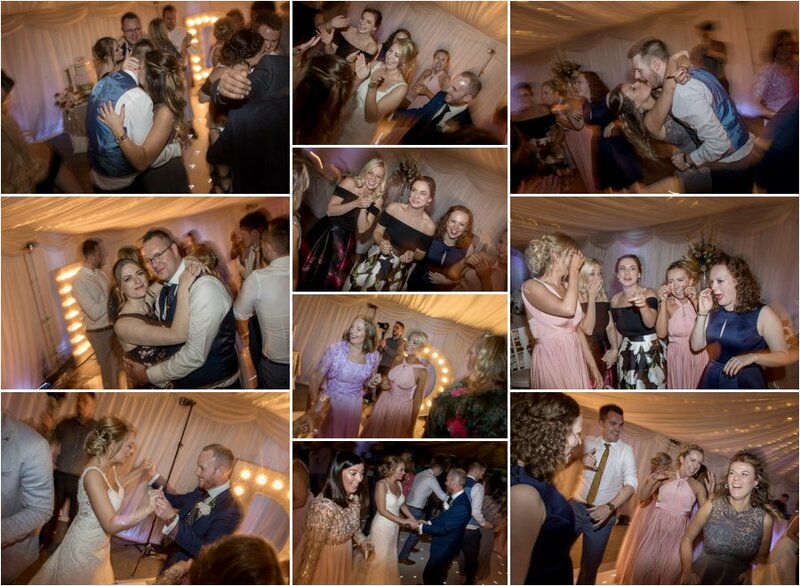 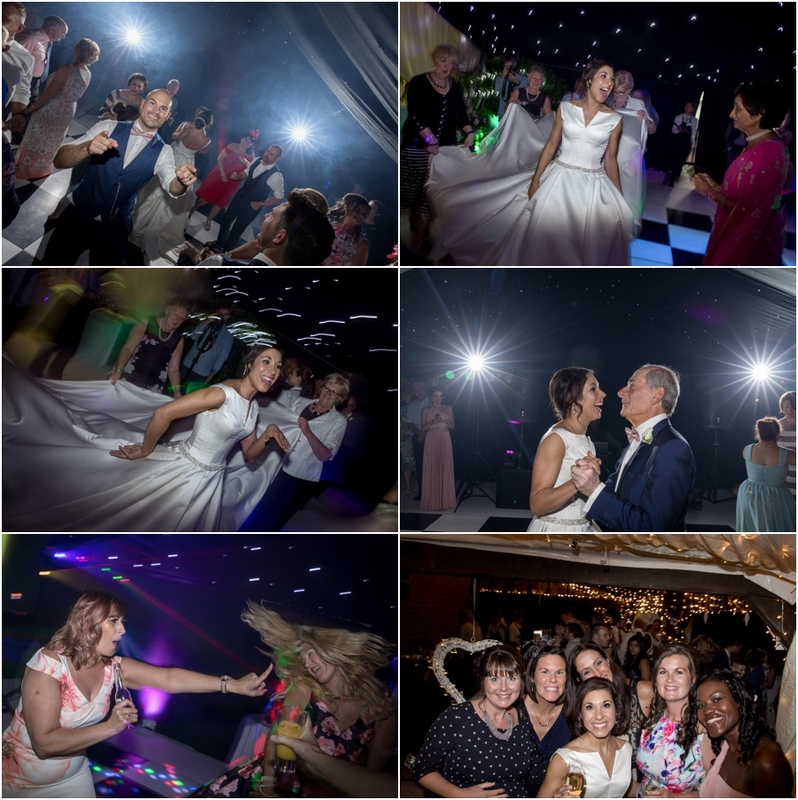 Another from Sutton Hall from the wedding of Gemma and Nick and a photograph inside of Selby Abbey from the wedding of Mike and Lisa. 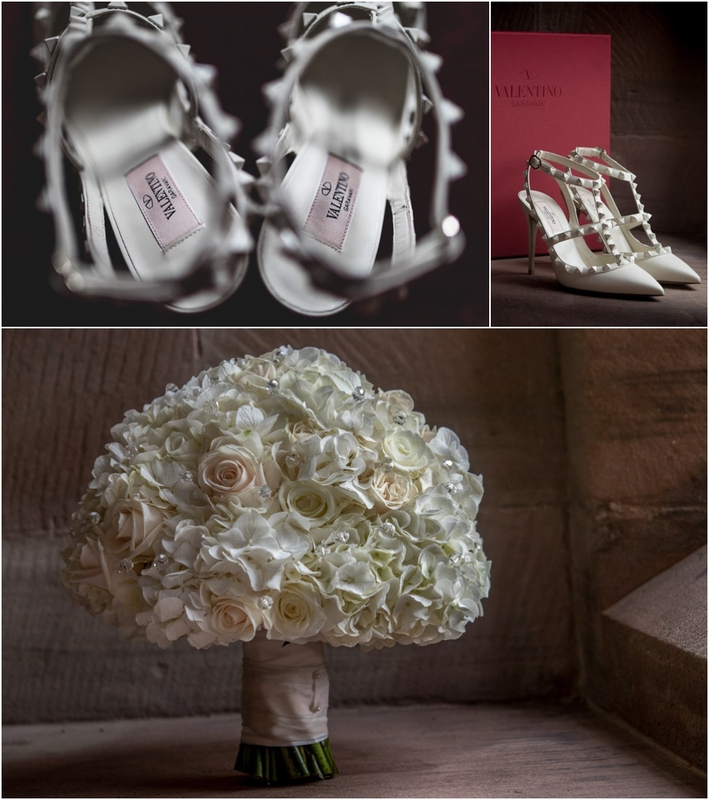 They were scored Silver and Bronze respectively. 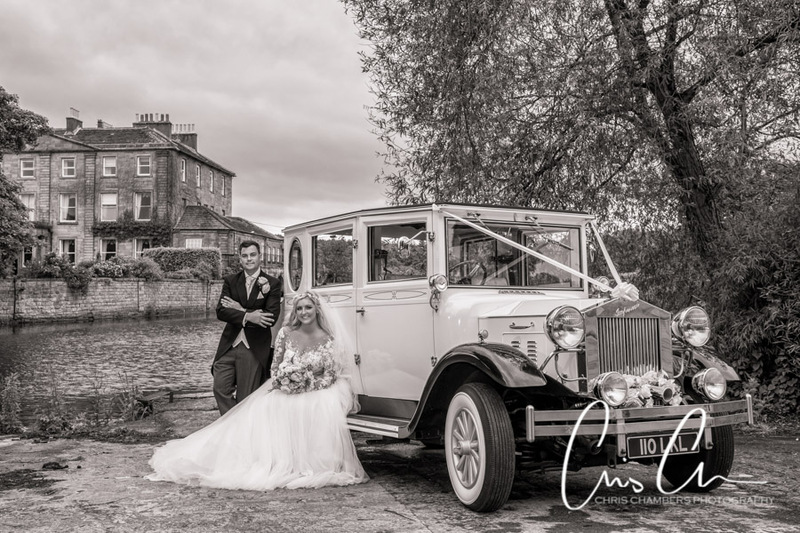 Amy and Aaron’s beautiful wedding at Waterton Hark Hotel in the summer, this black and white wedding photograph scored a silver. 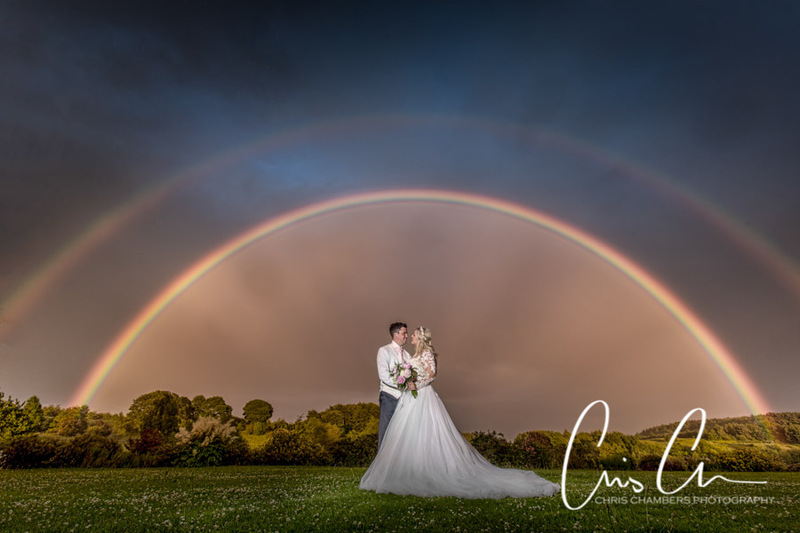 I was lucky enough to catch a double rainbow at Aaron and Amy’s wedding but sadly the photograph only scored a Bronze in the wedding awards. 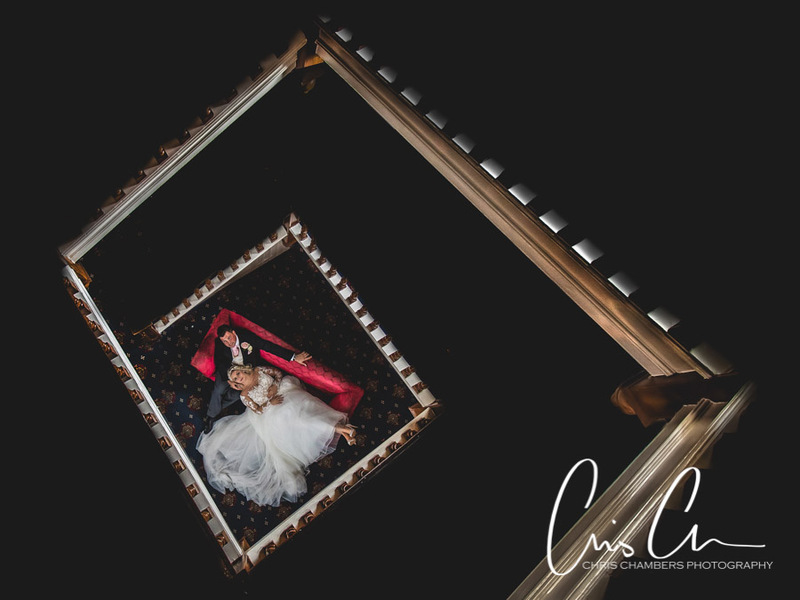 Regardless this photograph taken at Waterton Park Hotel in Wakefield took pride of place in their stunning Italian Storybook wedding album. 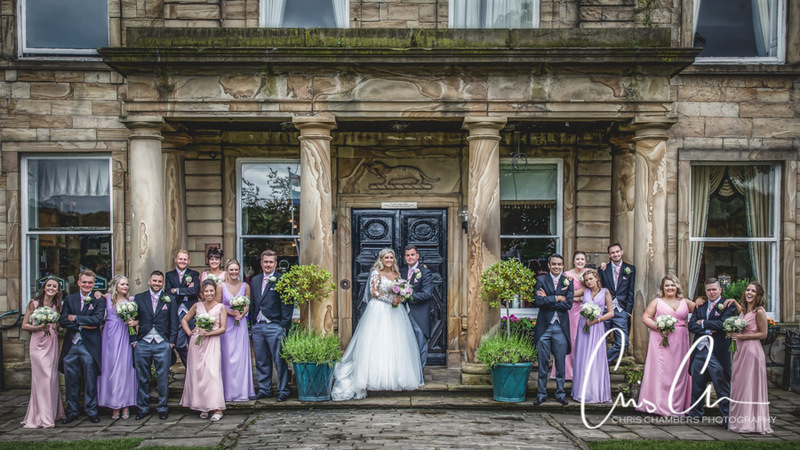 A Bronze for this wedding photograph taken at Wentbridge House early summer. 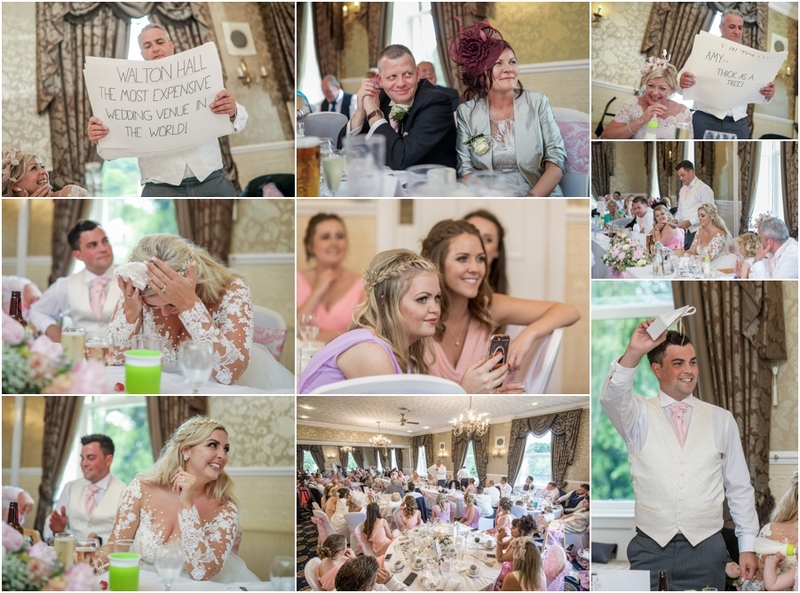 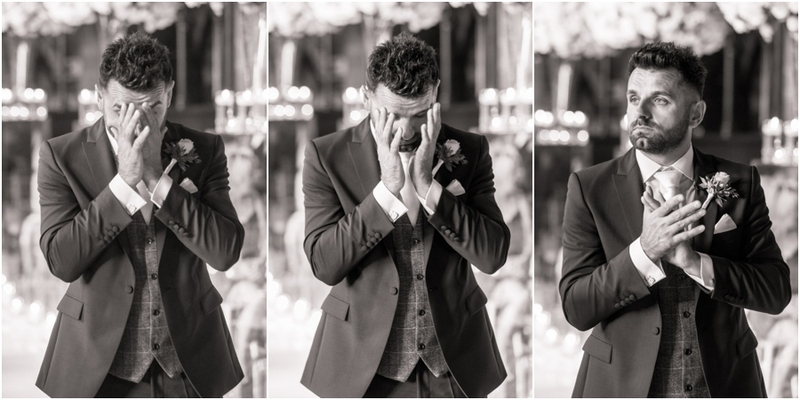 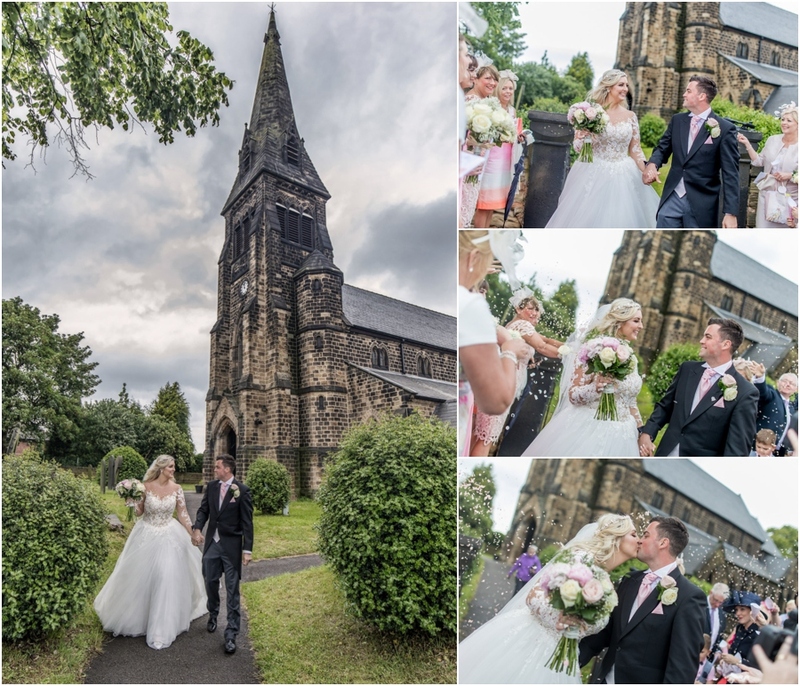 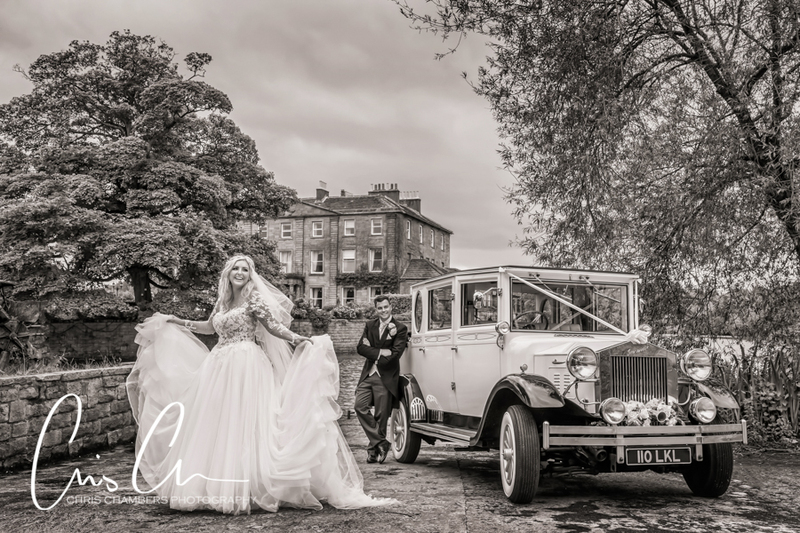 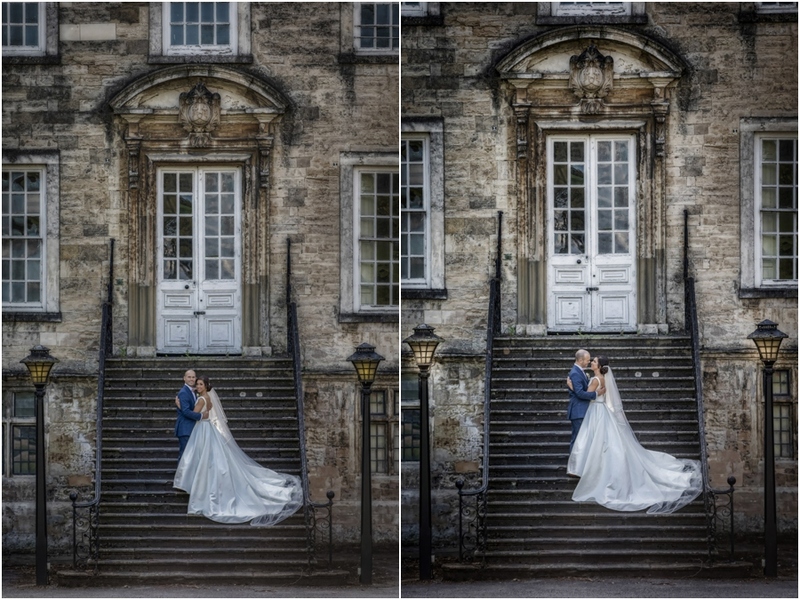 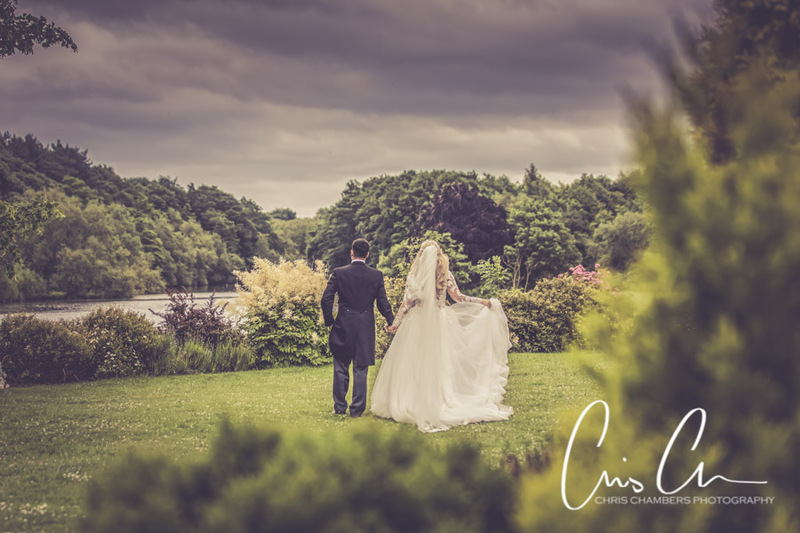 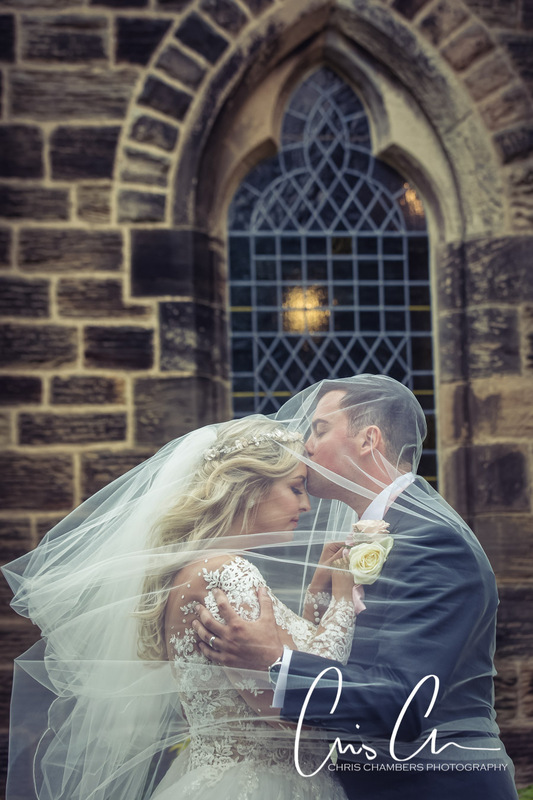 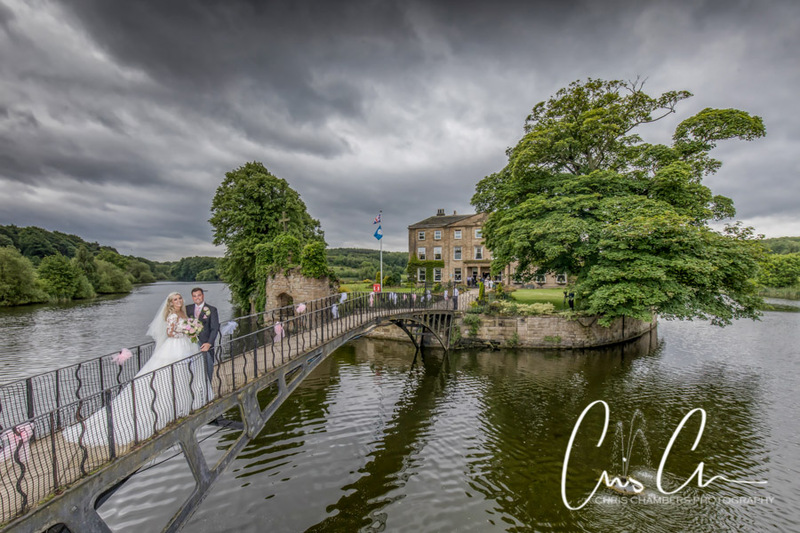 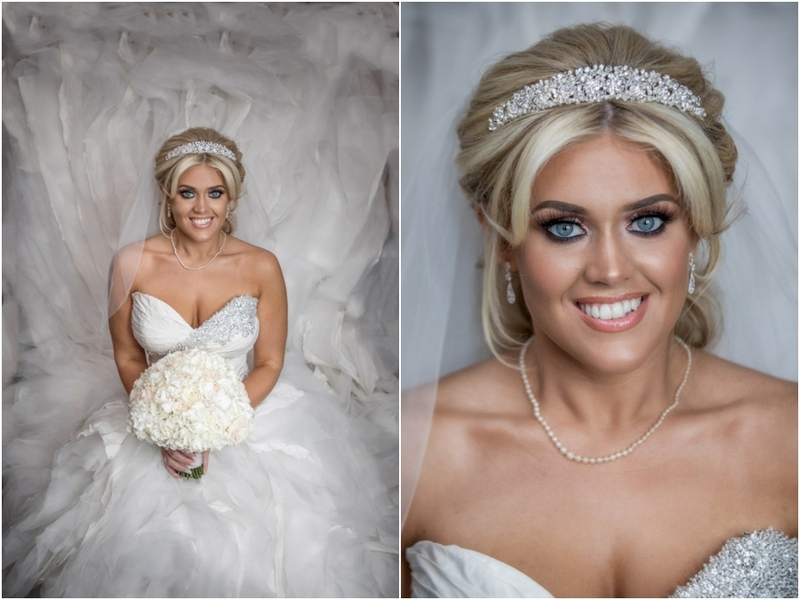 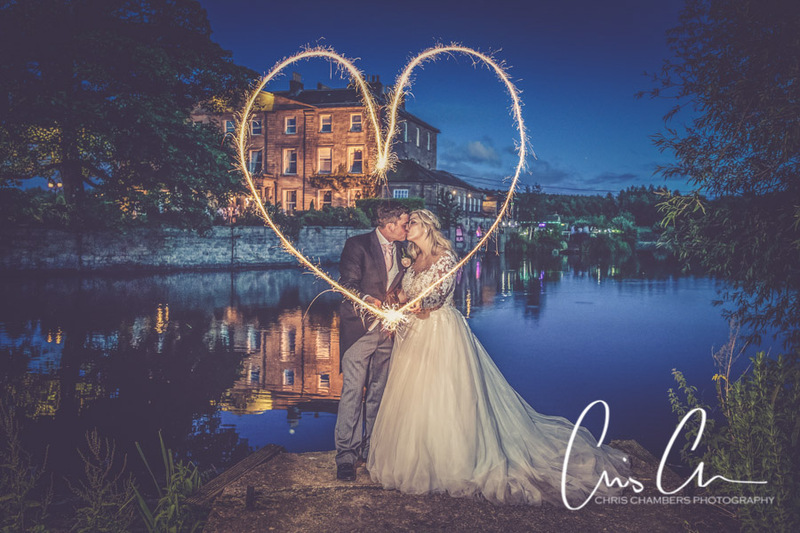 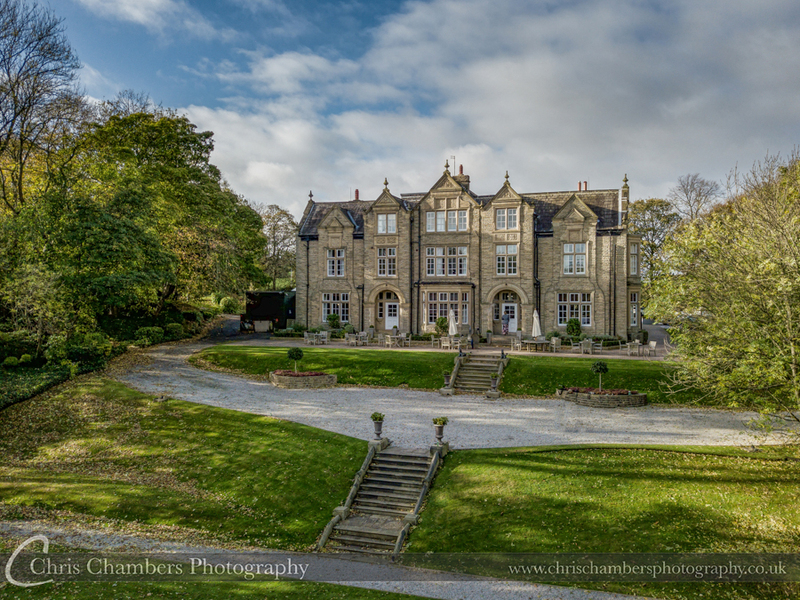 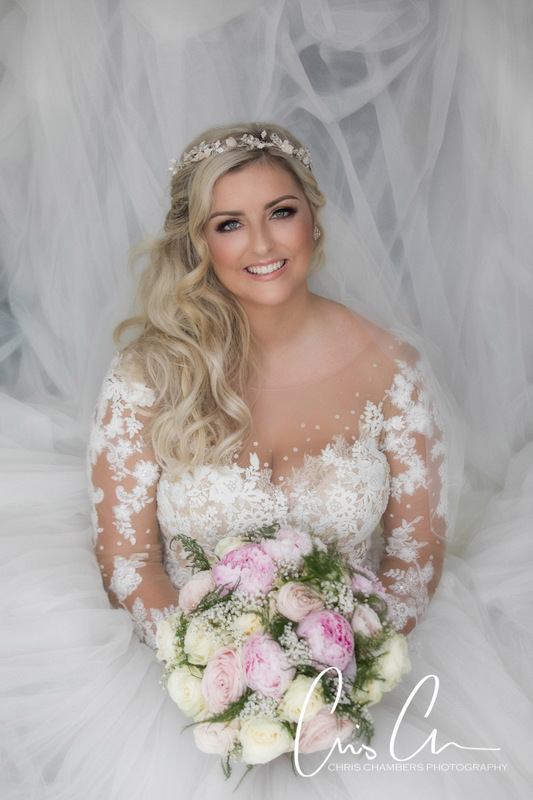 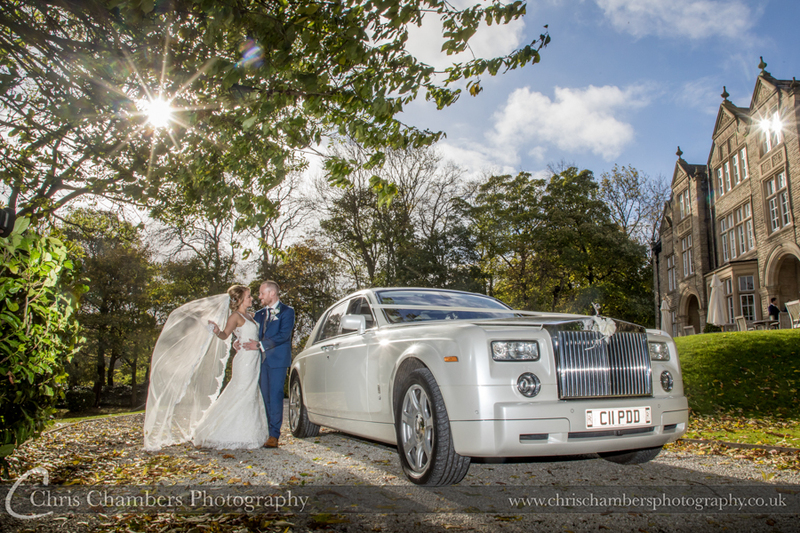 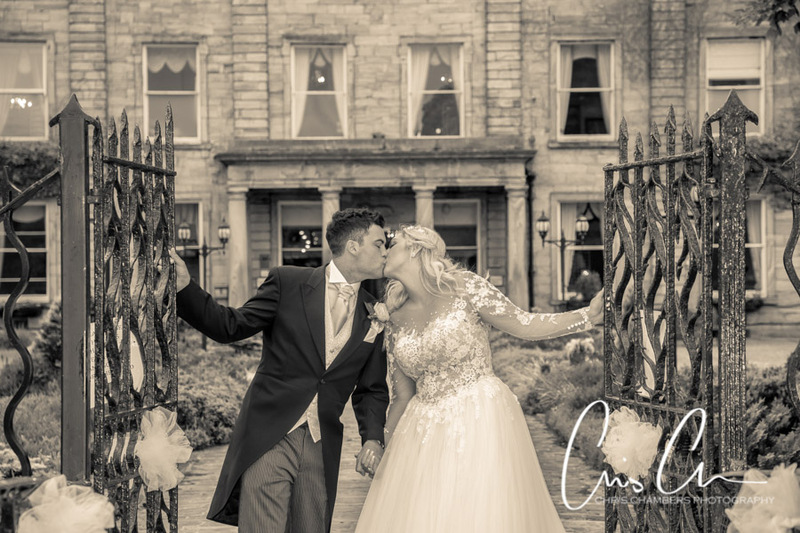 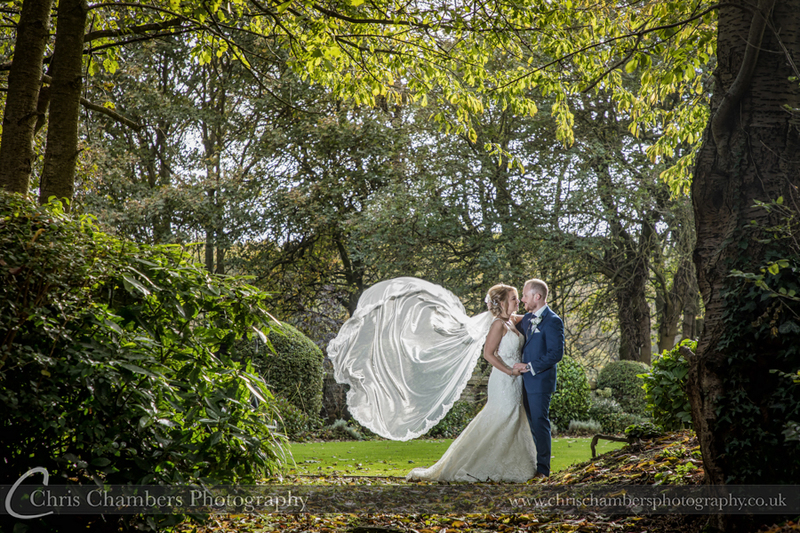 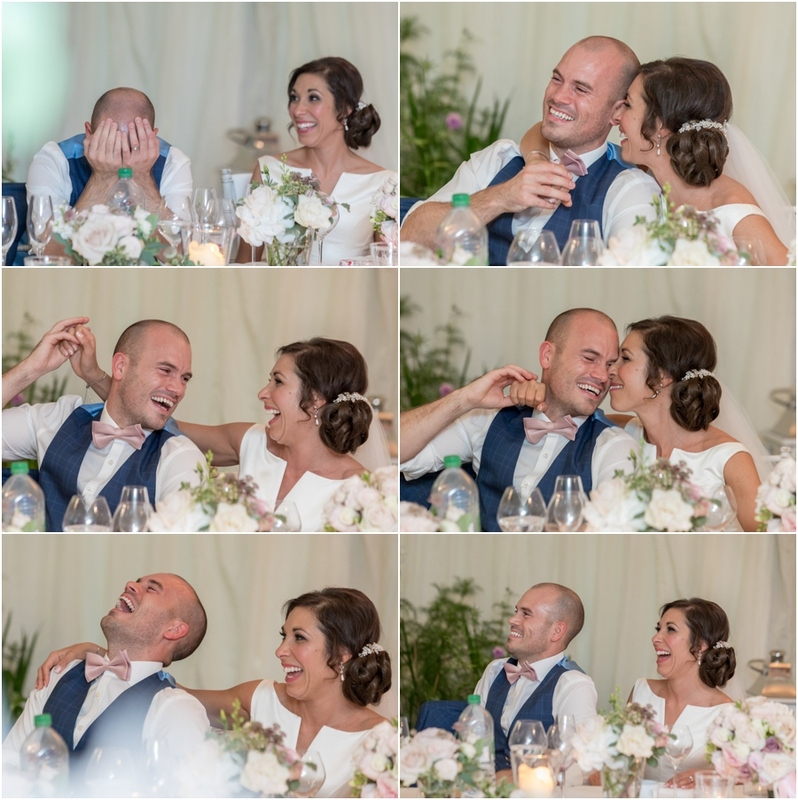 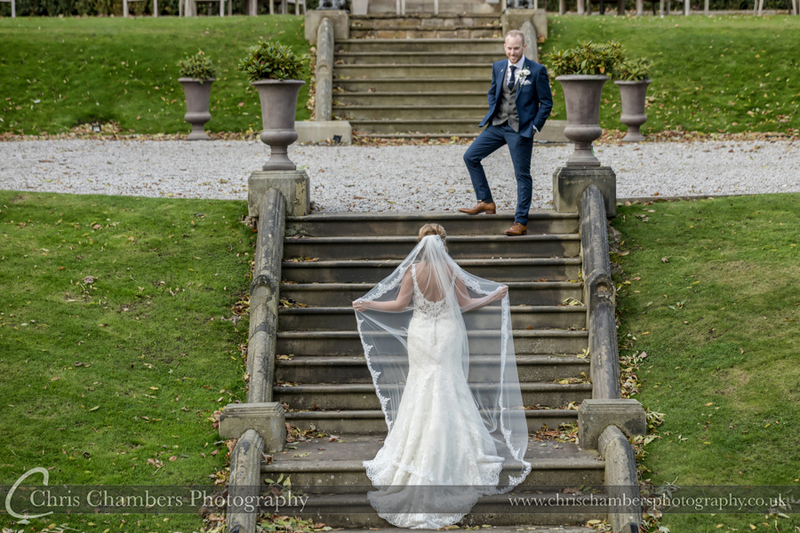 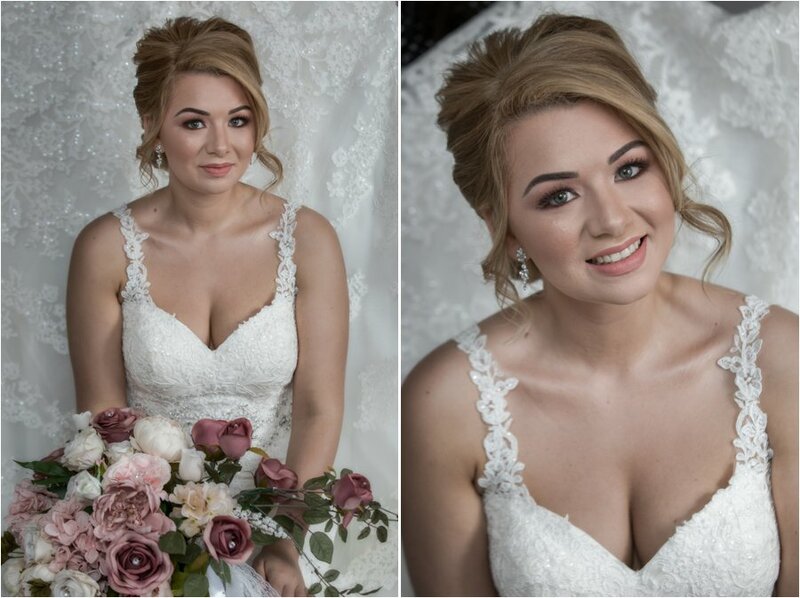 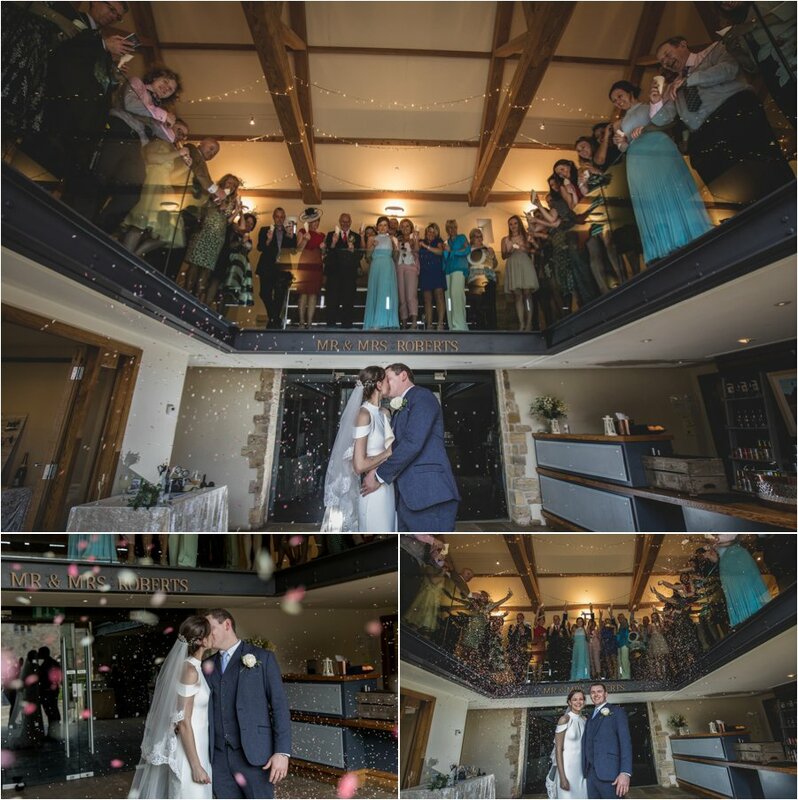 These two wedding photographs from Consiton Hotel in Skipton were both awarded Silvers. 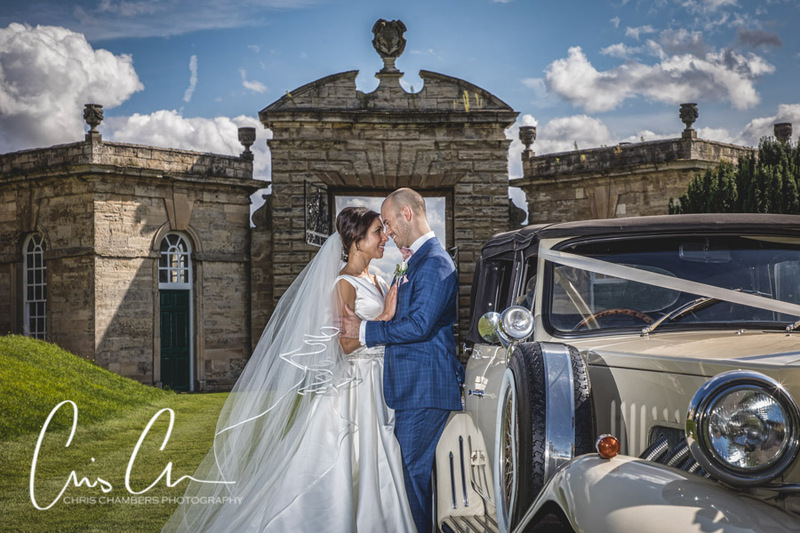 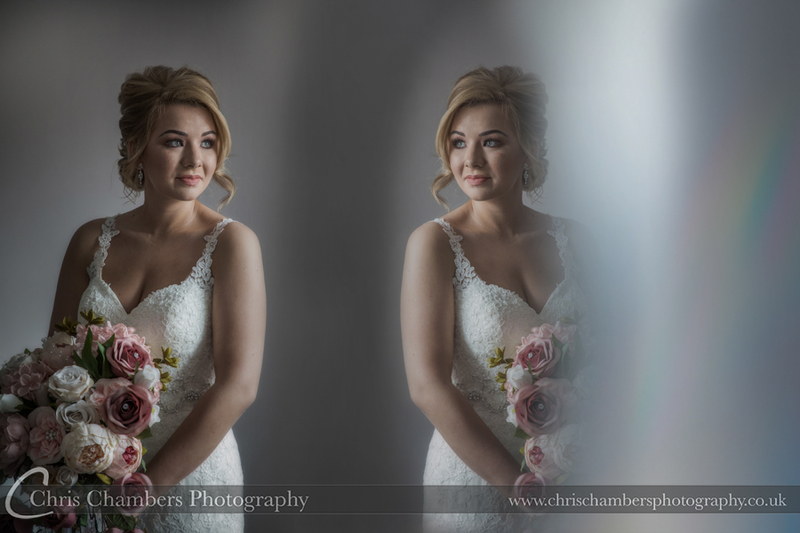 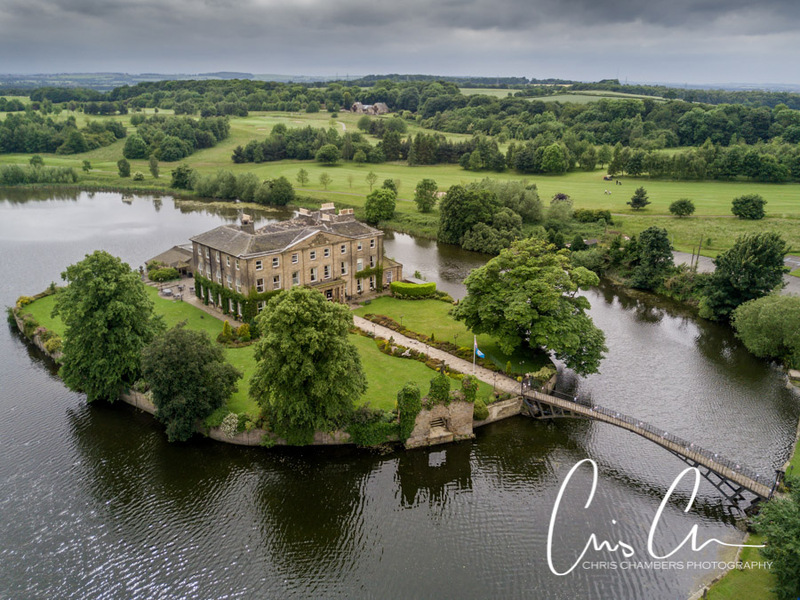 An early 2017 wedding at the stunning Waterton Park Hotel near Wakefield, this wedding photograph scored a silver. 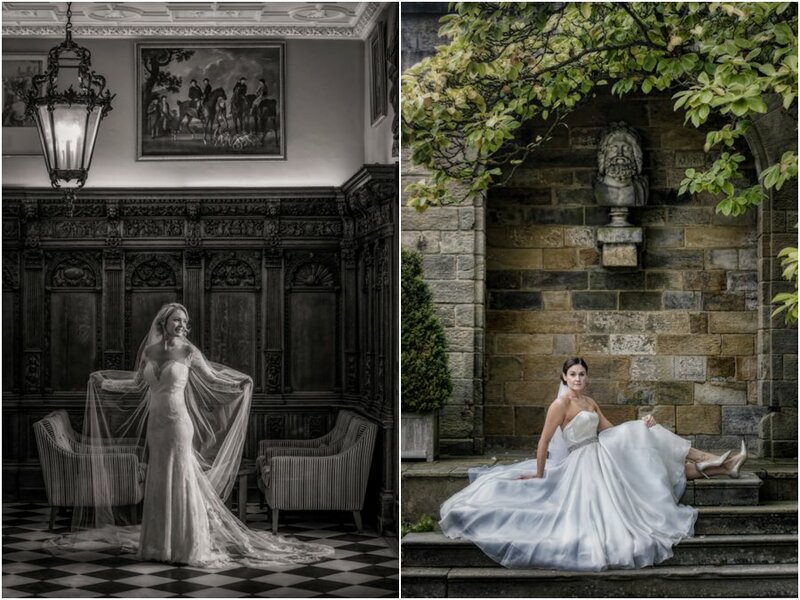 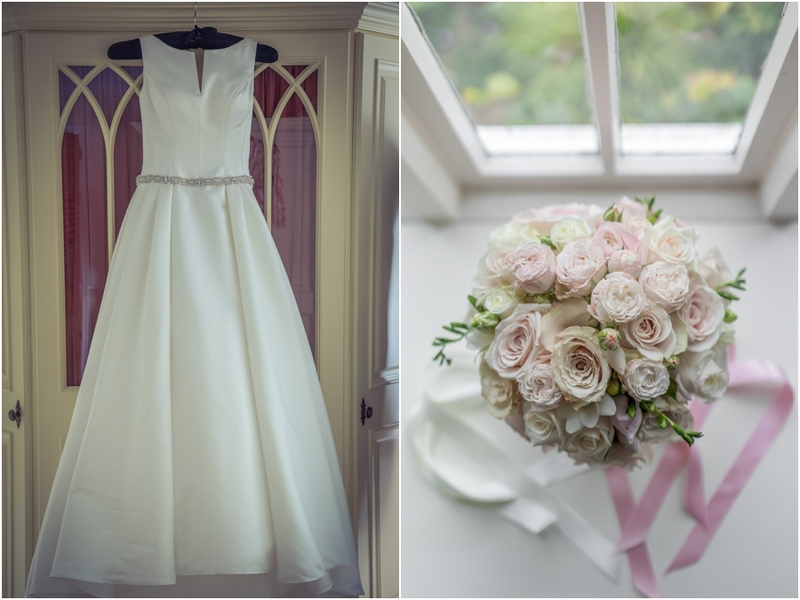 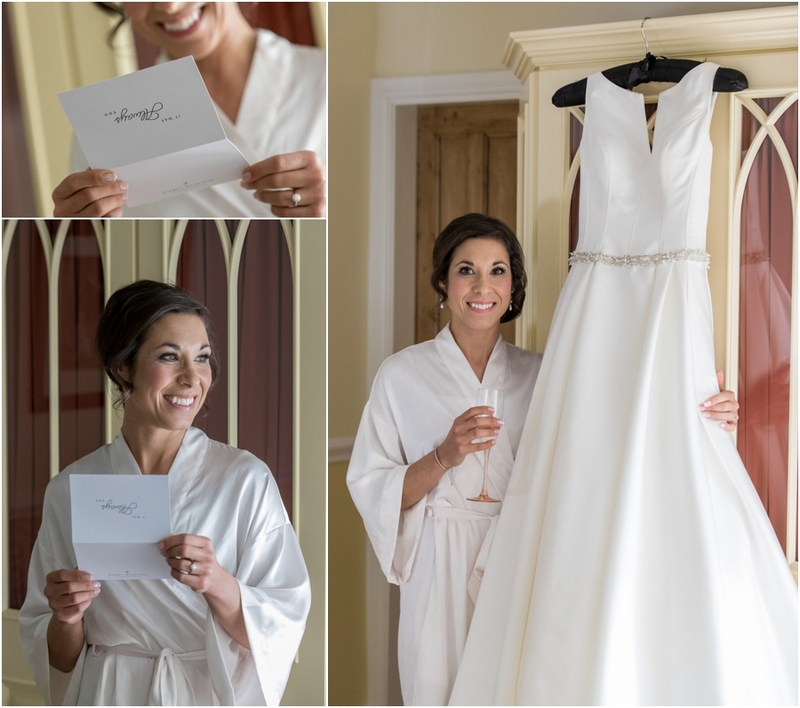 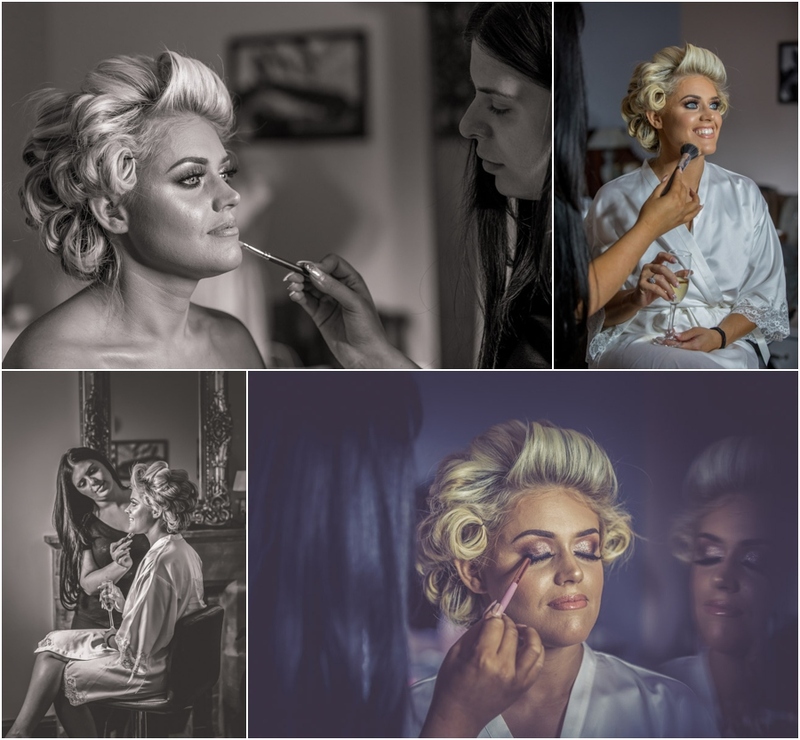 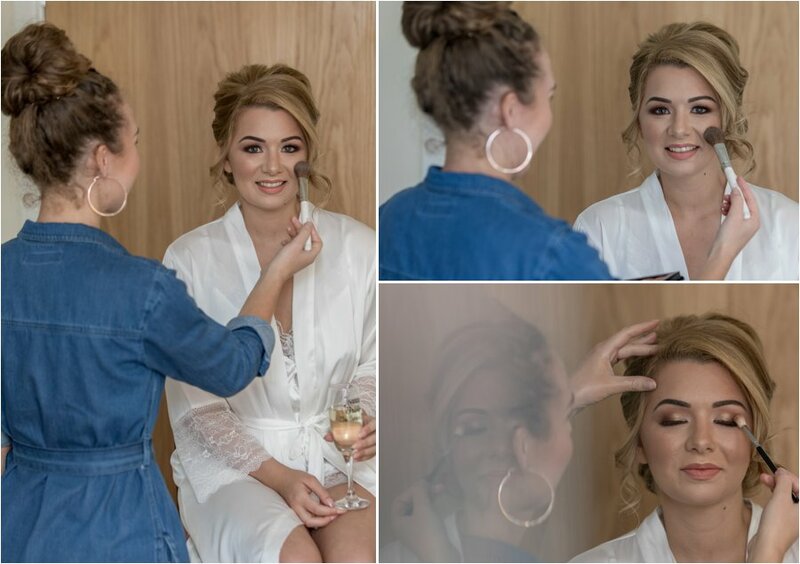 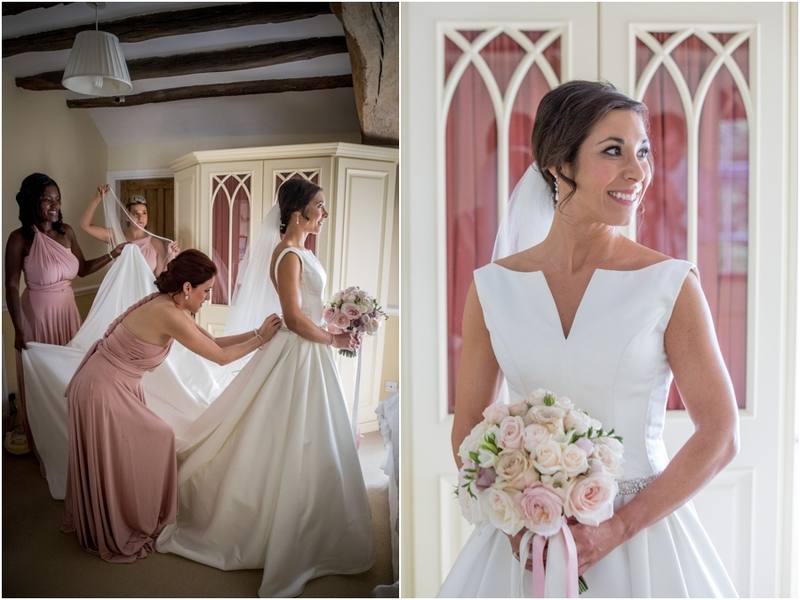 Bridal portraits, Amy at Hazlewood Castle and Ros’ wedding at Rudding Park Near Harrogate. 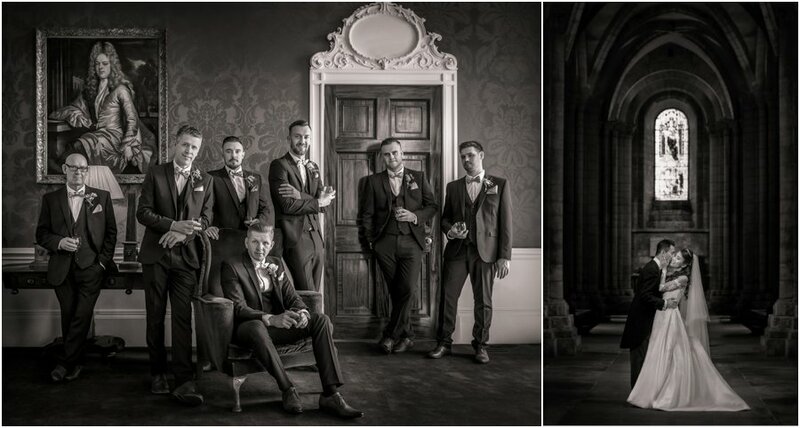 Both of these wedding photographs scored bronzes. 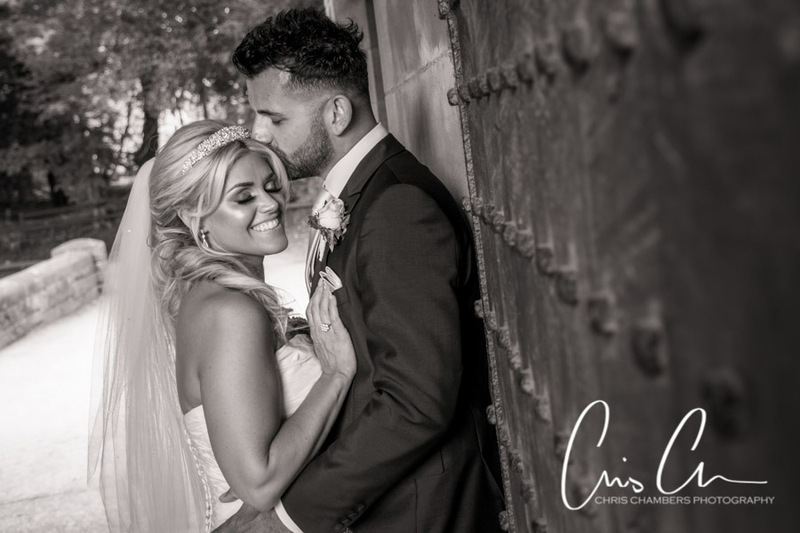 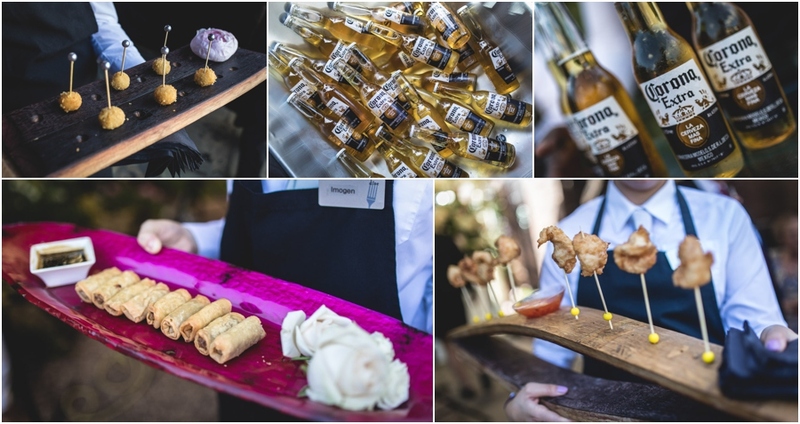 Jonny and Amy’s blistering hot summer wedding at Burntwood Court hotel, this black and white wedding photograph was awarded a Silver. 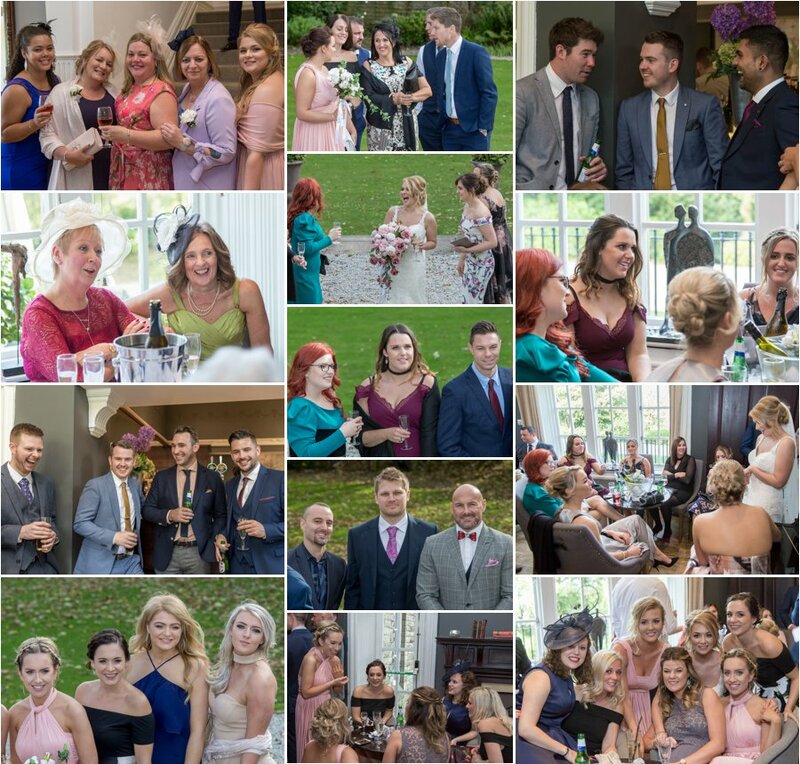 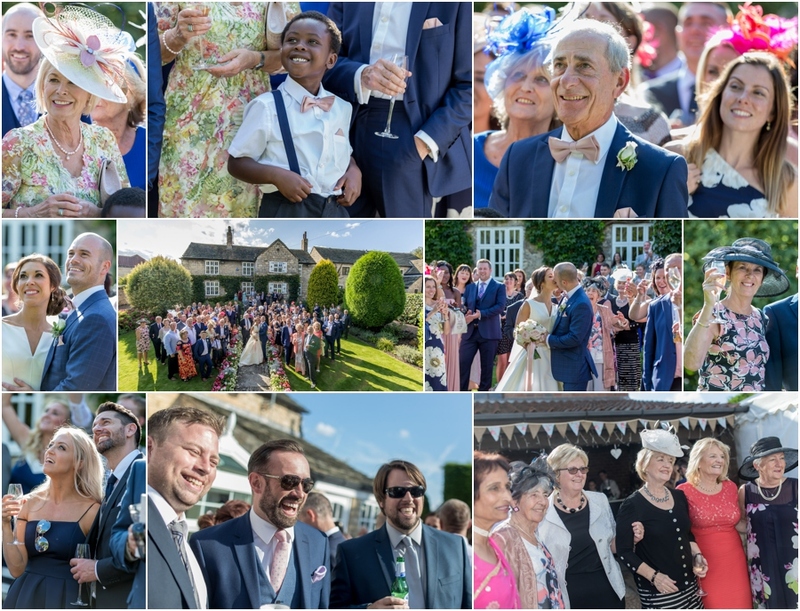 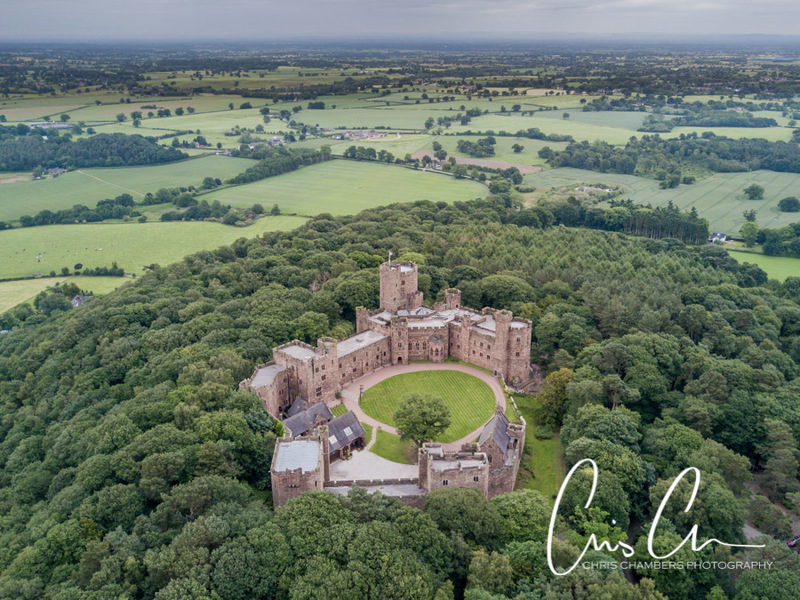 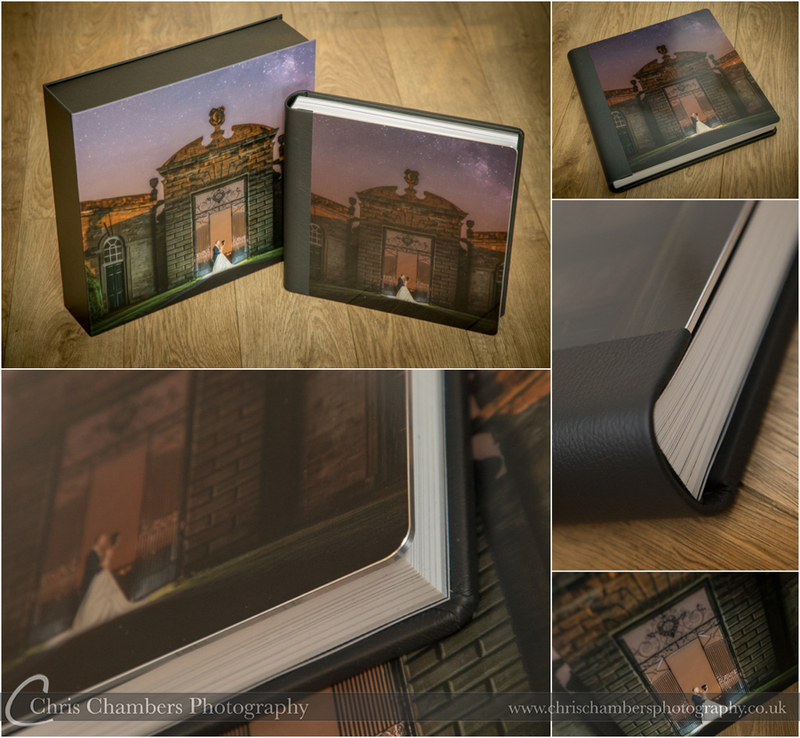 An exciting recent delivery from our Italian album manufacturer Graphistudio included a new and improved EROS hand made wedding photo album presenting Julian and Hayley’s wedding at Allerton Castle. 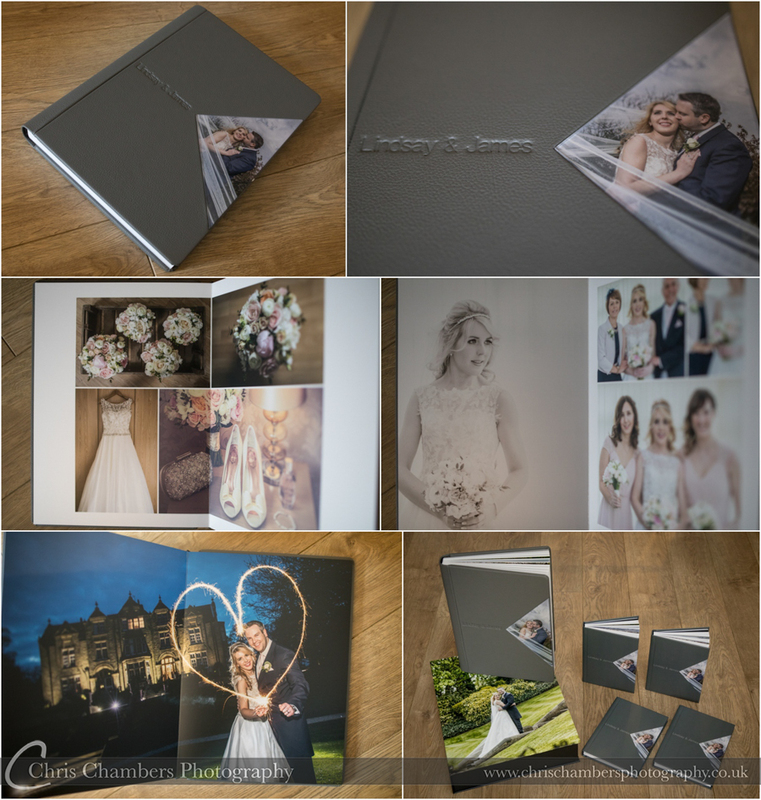 The Eros is one of our most popular wedding photograph albums and the new and improved version is sure to cement that status. 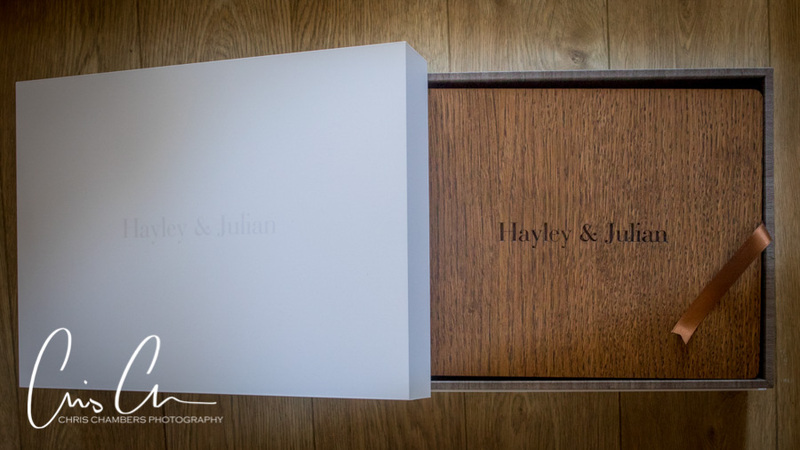 The landscape album featured a dark oak wooden cover with laser engraving and a Sequoia leather spine and back in mokka, all encased in a white wooden box with clear gloss varnished names. 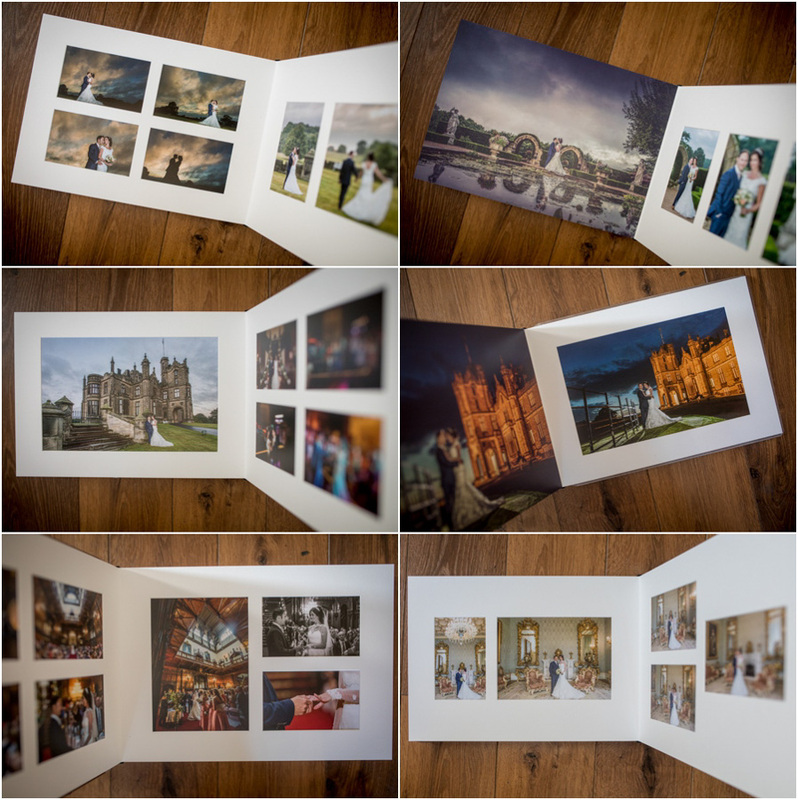 The EROS album features a mix of classic style overlays and flush mounted full page images. 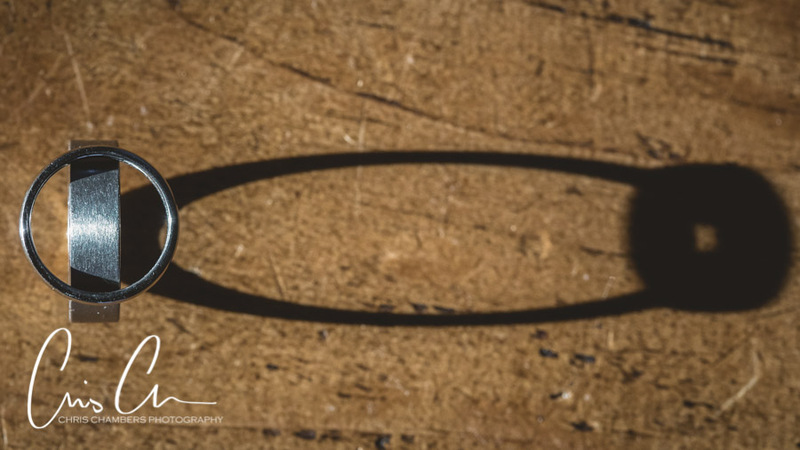 Our latest sample of this album due to arrive shortly. 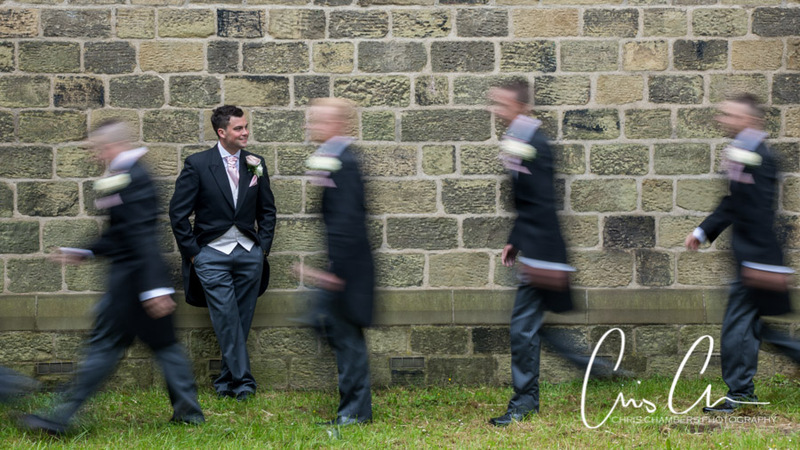 Click here to view our wedding albums, packages and pricing information. 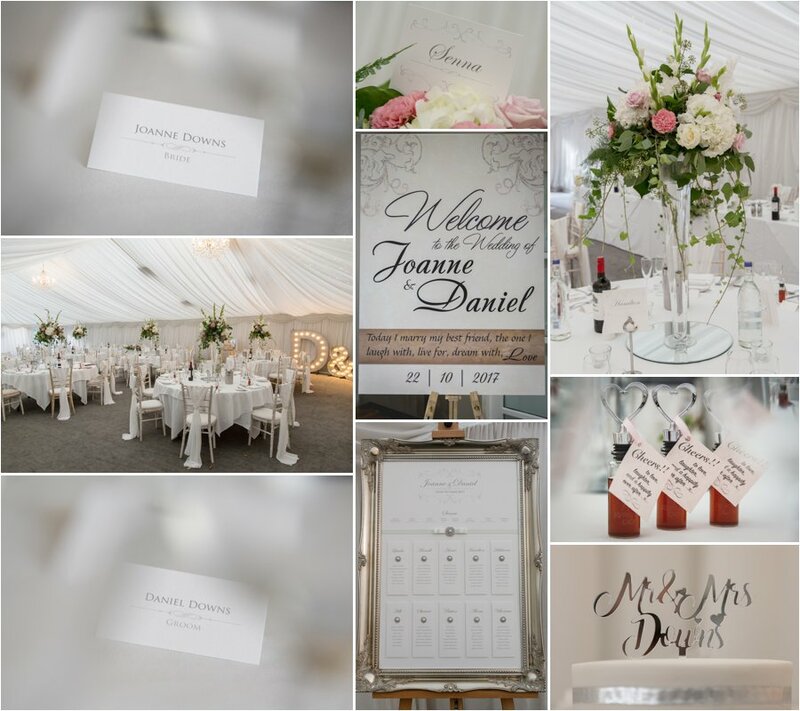 The white box features a maple interior and has the bride and groom names added to the lid with raised clear gloss varnish. 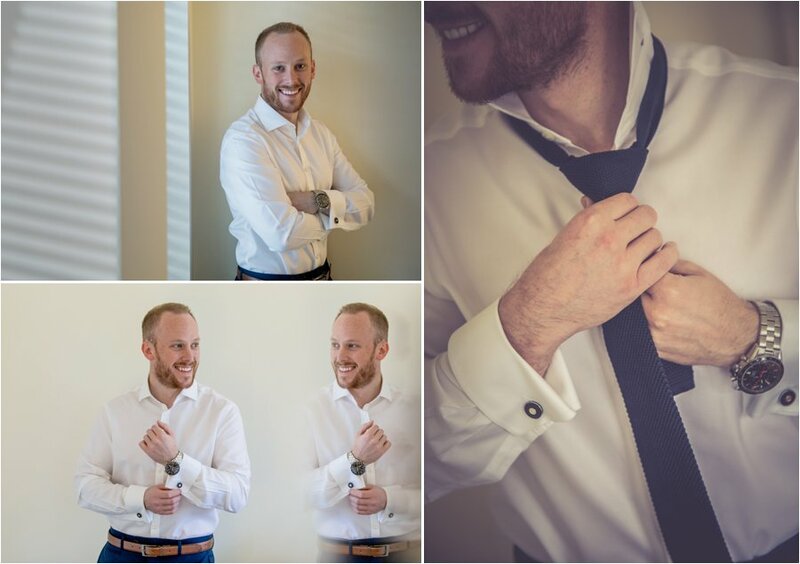 Very subtle and stylish. 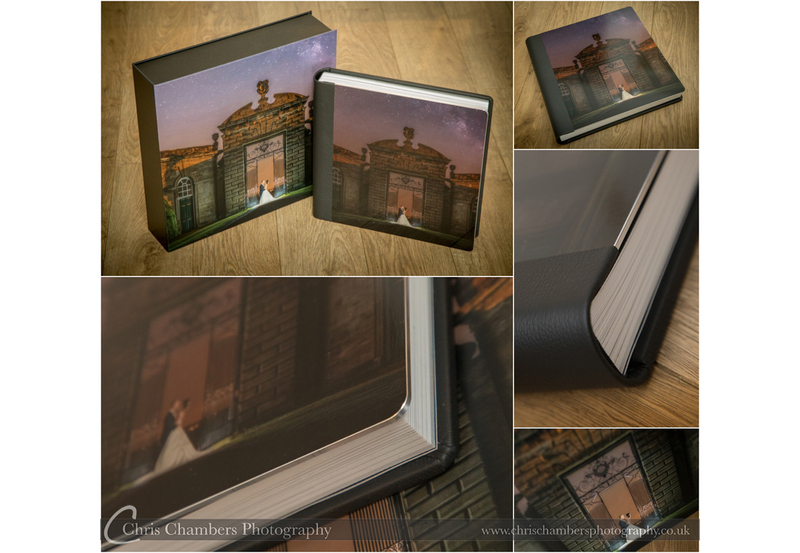 The album cover is a dark oak and sequoia leather back and spine in mokka. 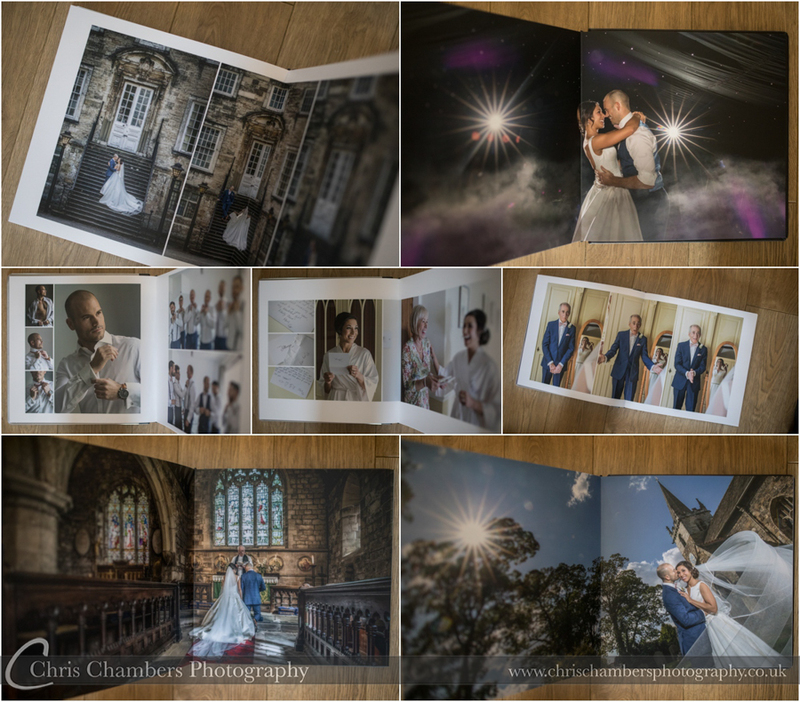 The mix of overlays and flush mounted pages works brilliantly in landscape format.